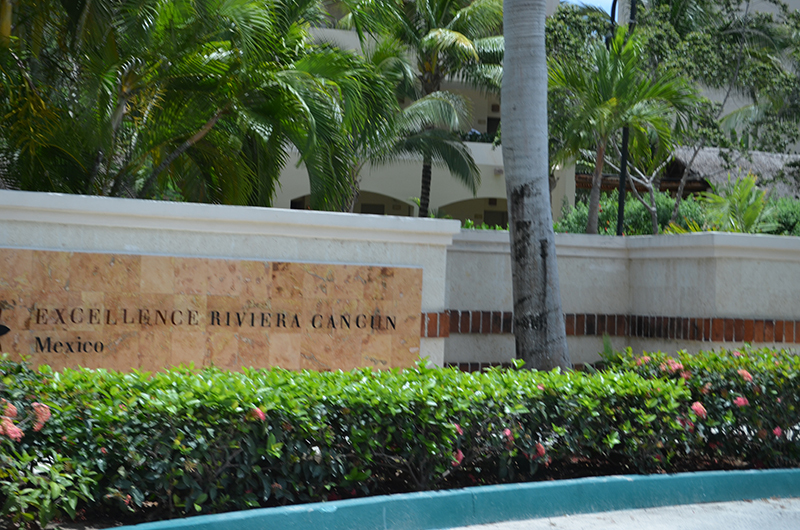 If you have a taste for romance and relaxation, the all inclusive luxury of Excellence Riviera Cancun is waiting to welcome you. 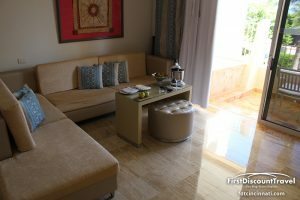 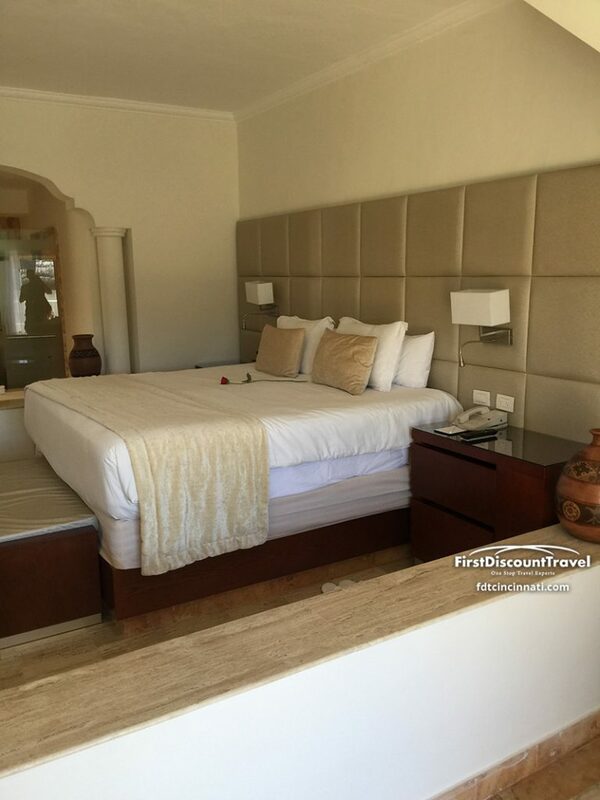 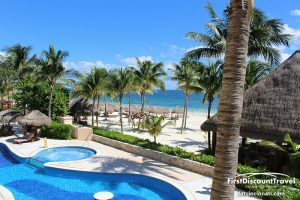 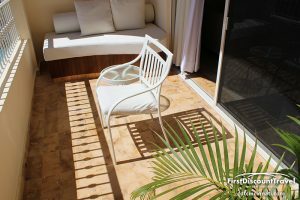 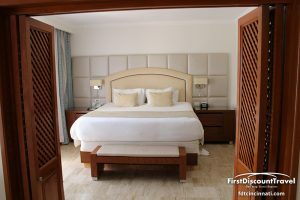 Situated on a sugar white sand beach on Mexico’s Riviera Maya coast, Excellence Riviera Cancun is a classic all-suite Mediterranean-style resort of stucco, tile and marble. 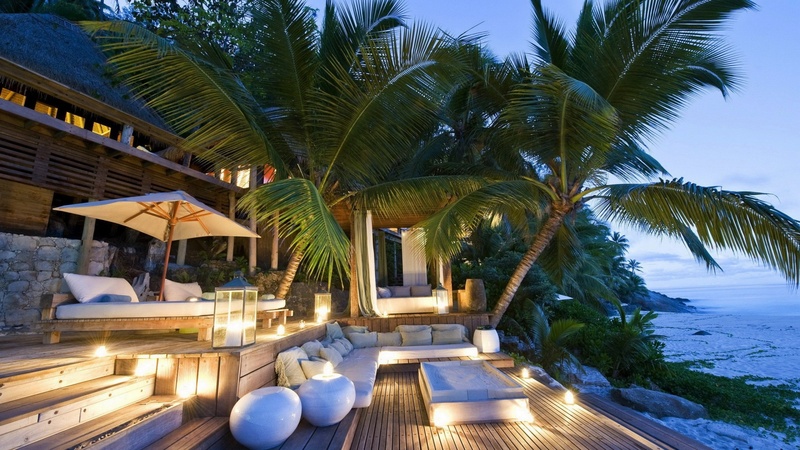 It may be secluded but it’s not isolated. 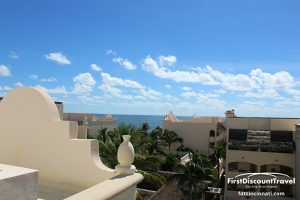 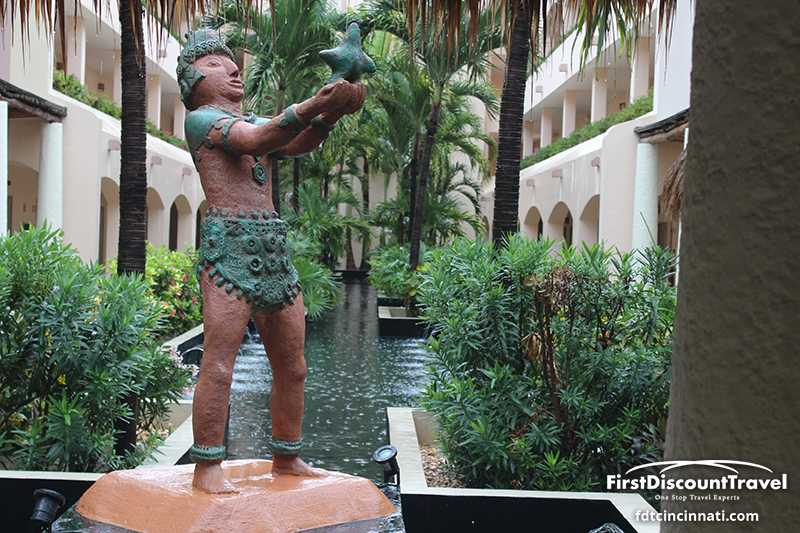 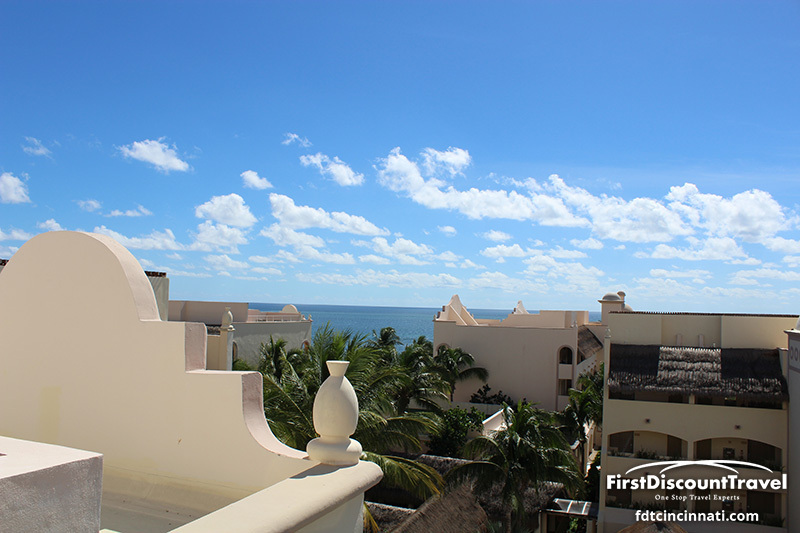 Vibrant Cancun, cosmopolitan Playa del Carmen and the ancient Mayan world are all at your doorstep. 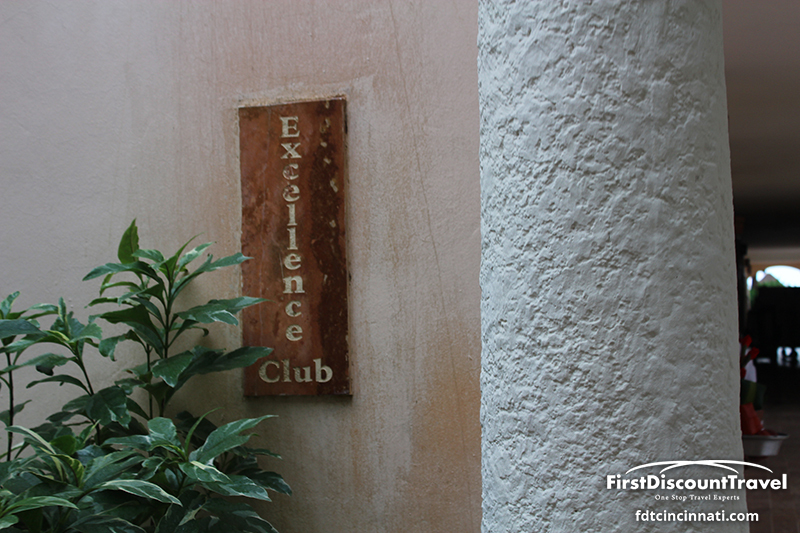 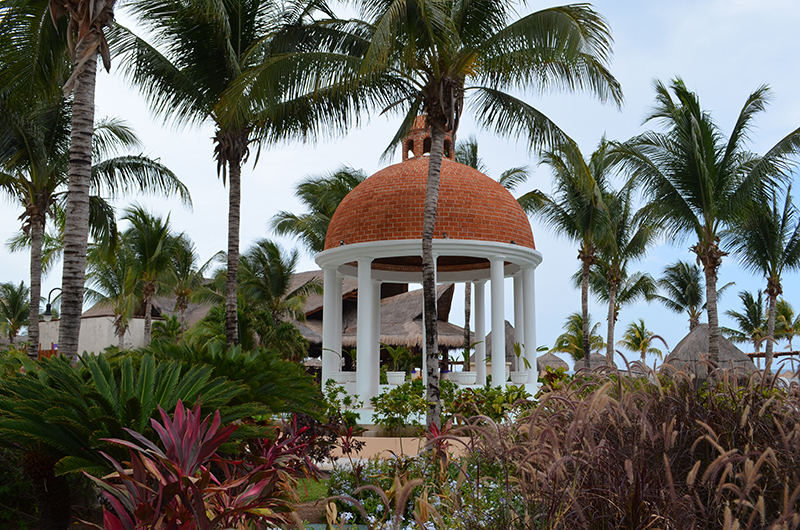 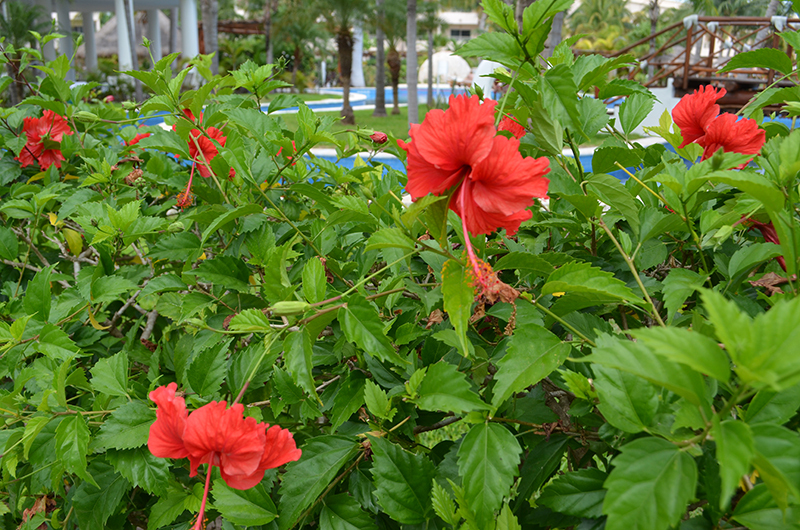 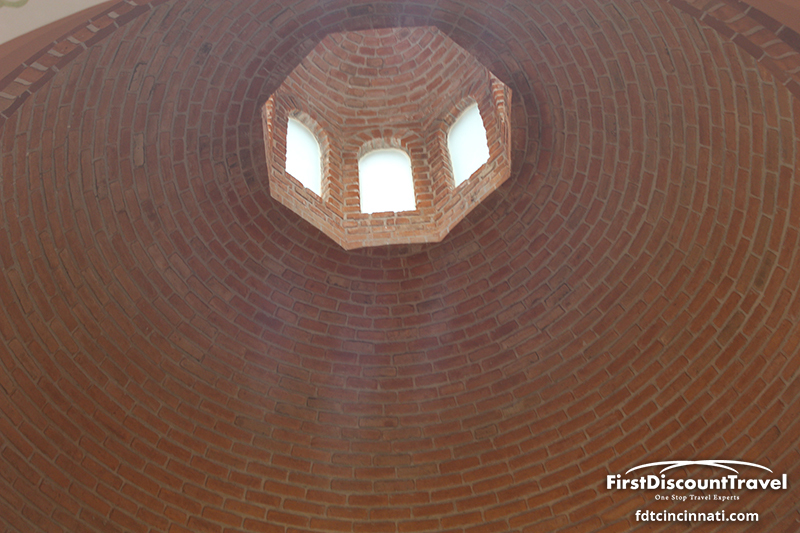 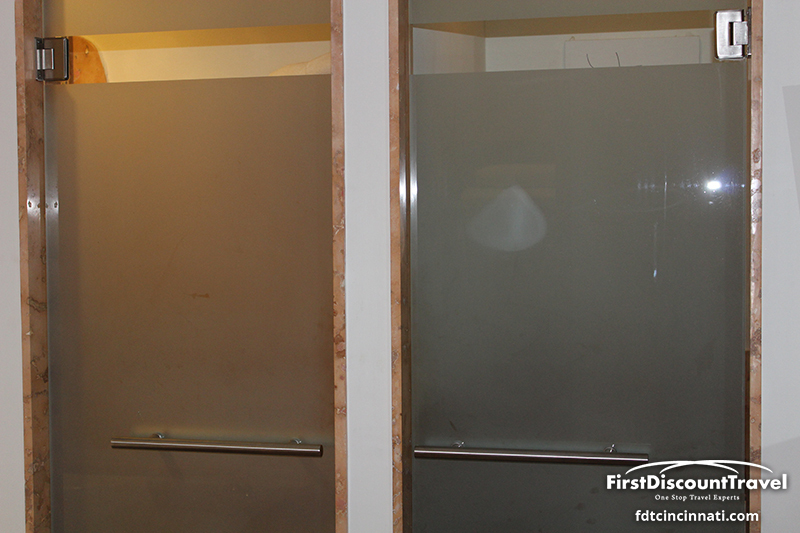 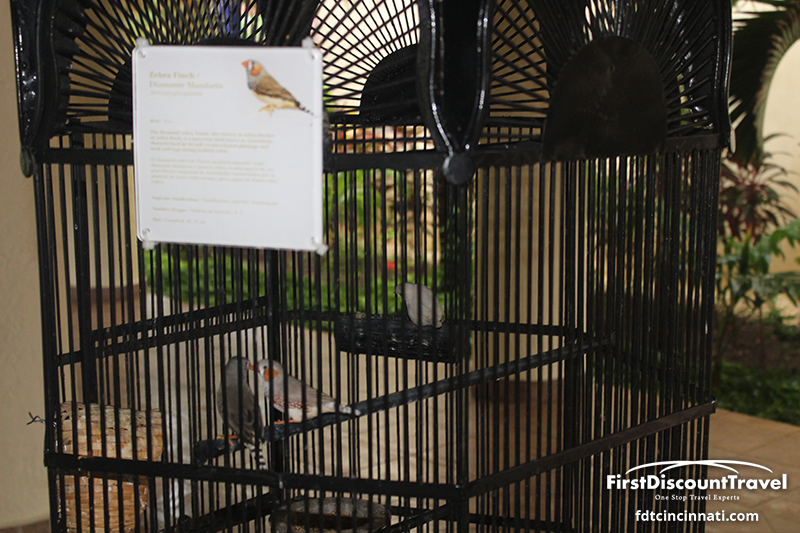 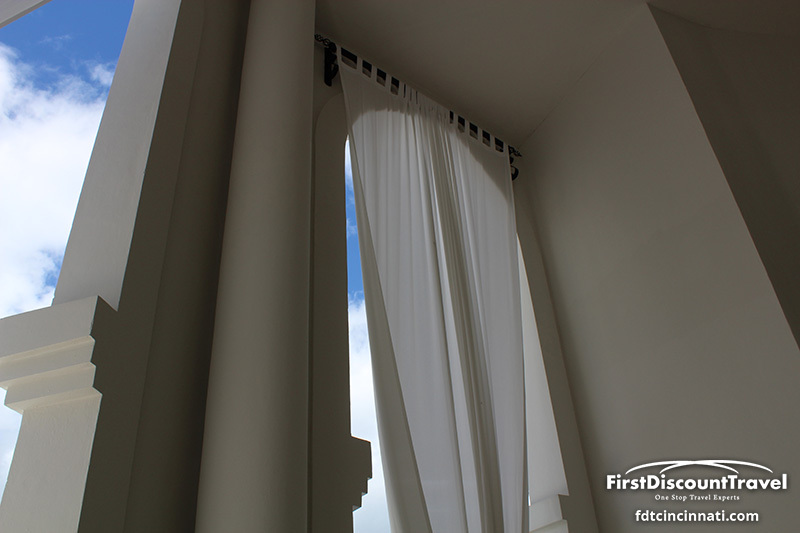 So much to discover--still, no one would blame you if you lingered at our resort. 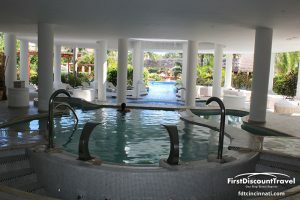 Our adults only world is a tropical fantasy that revolves around six winding pools, the clear Caribbean, well-appointed accommodations…and you. 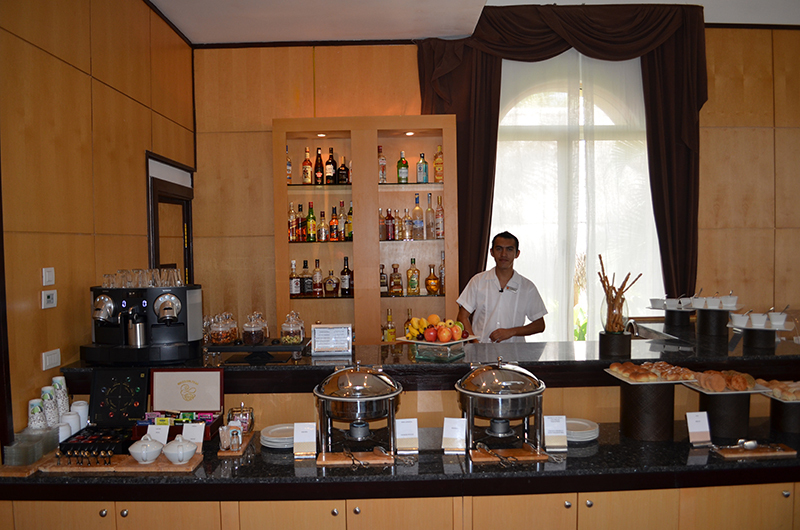 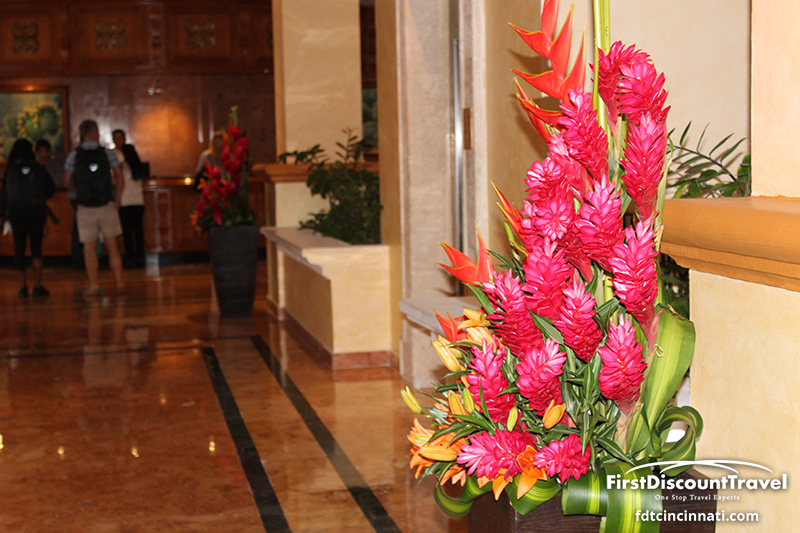 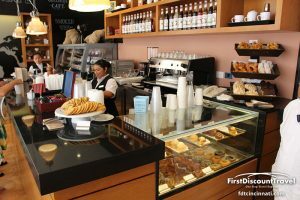 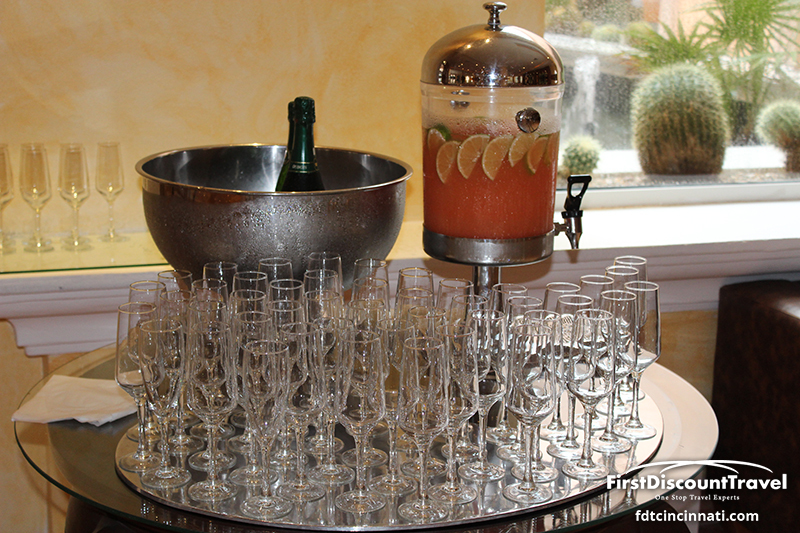 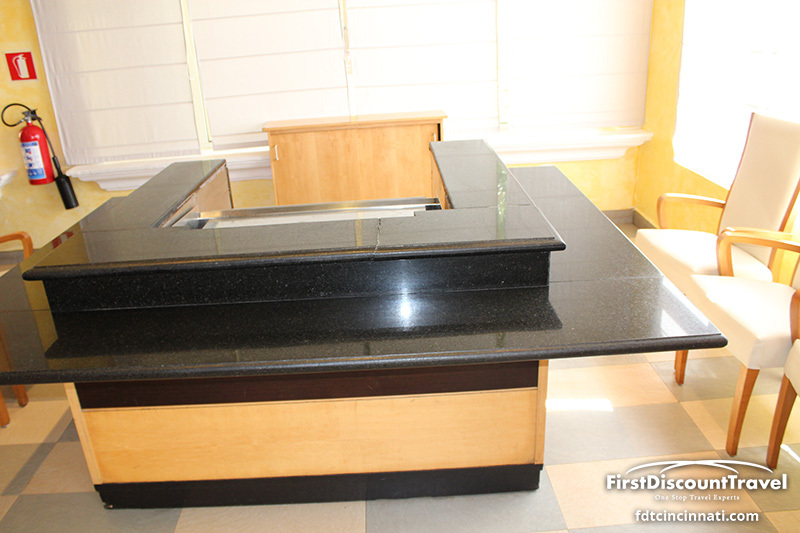 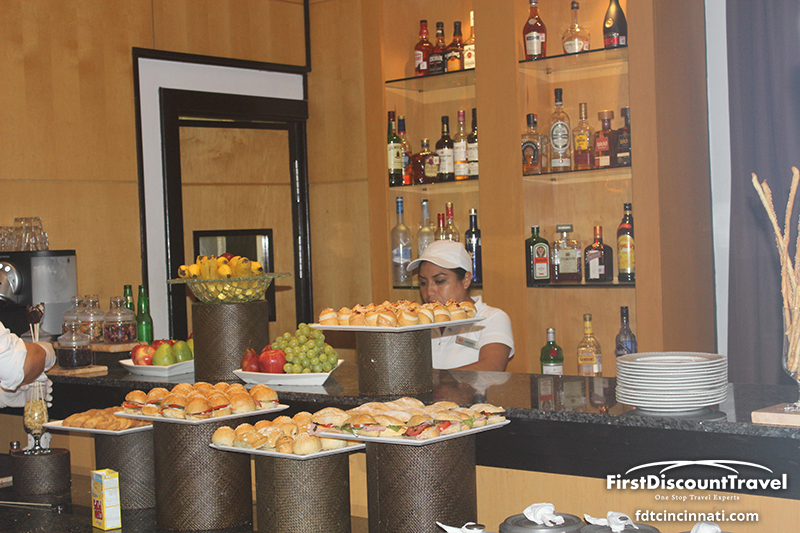 Here in a culture of hospitality and service, we attend to your every desire. 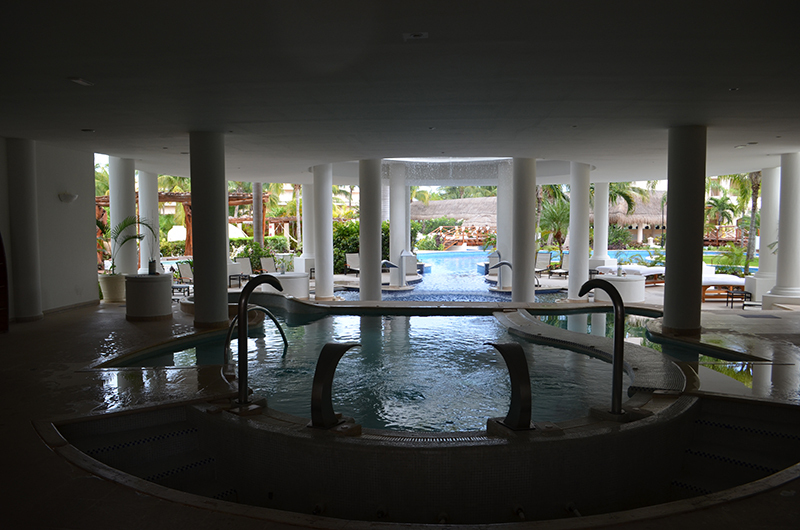 Open yourself up to a world of pampering at Miilé Spa. 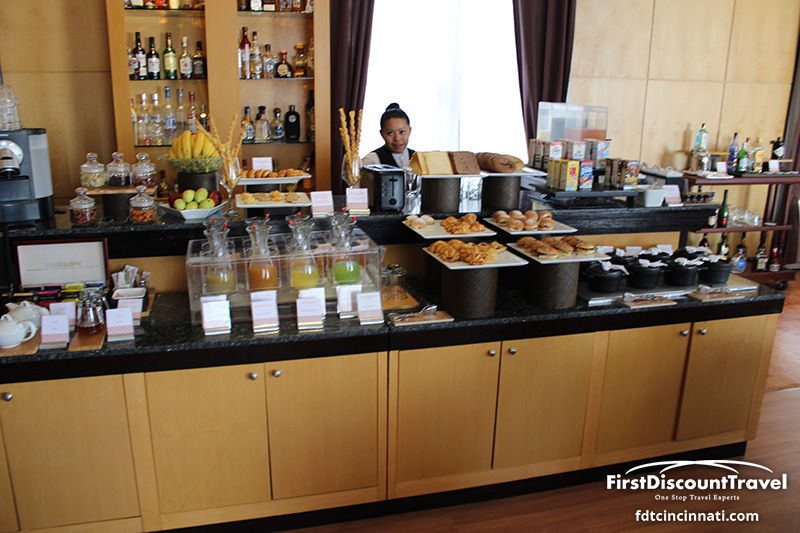 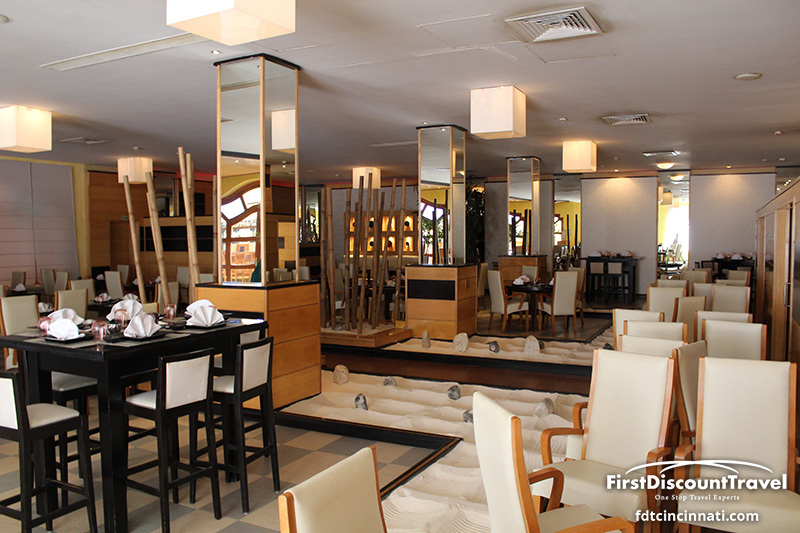 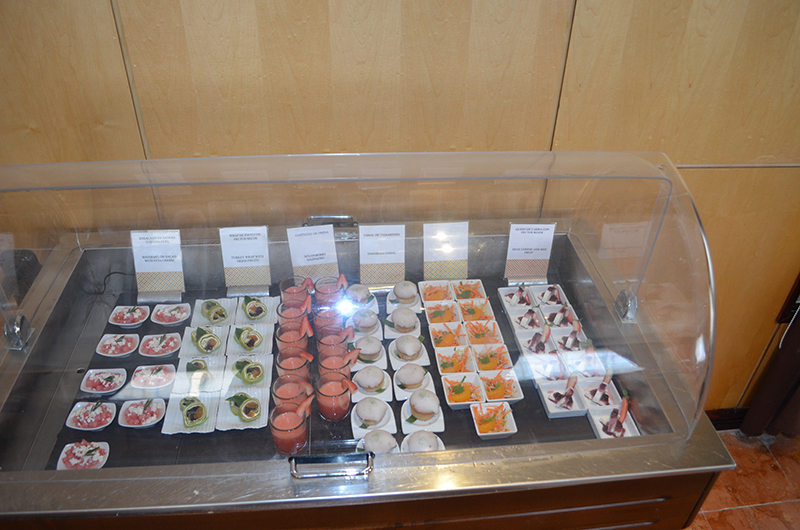 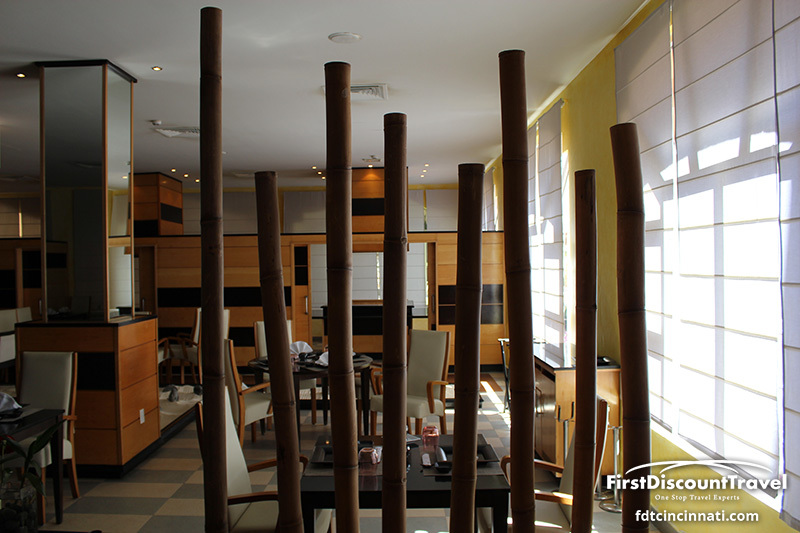 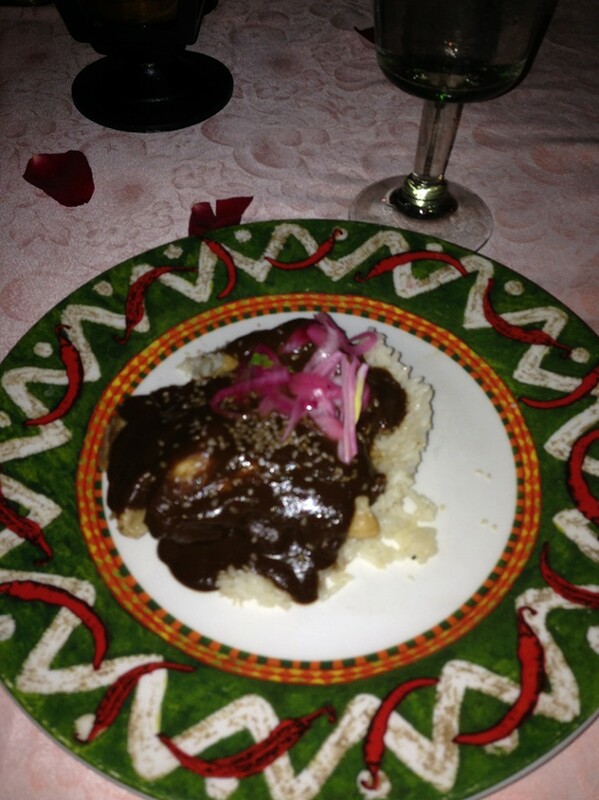 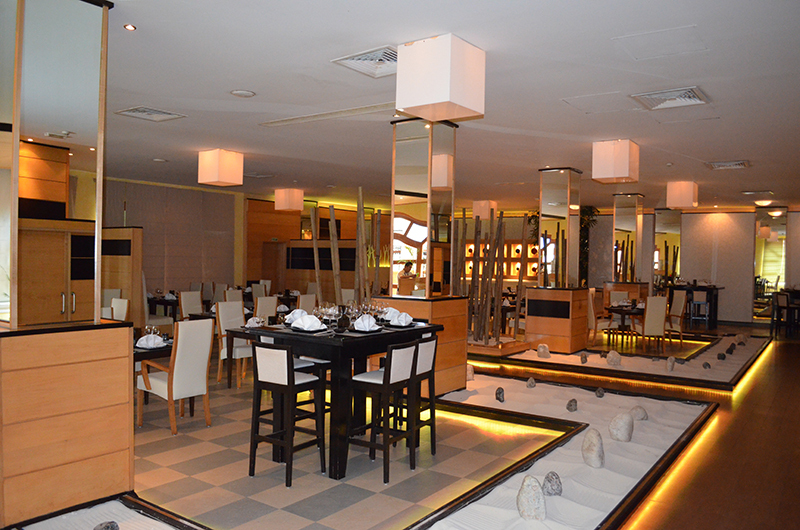 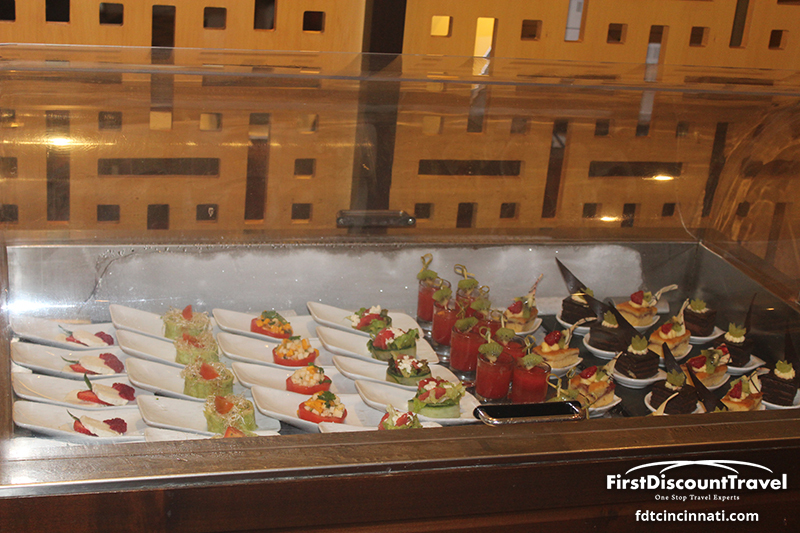 Experience gourmet cuisine at our eight international restaurants. 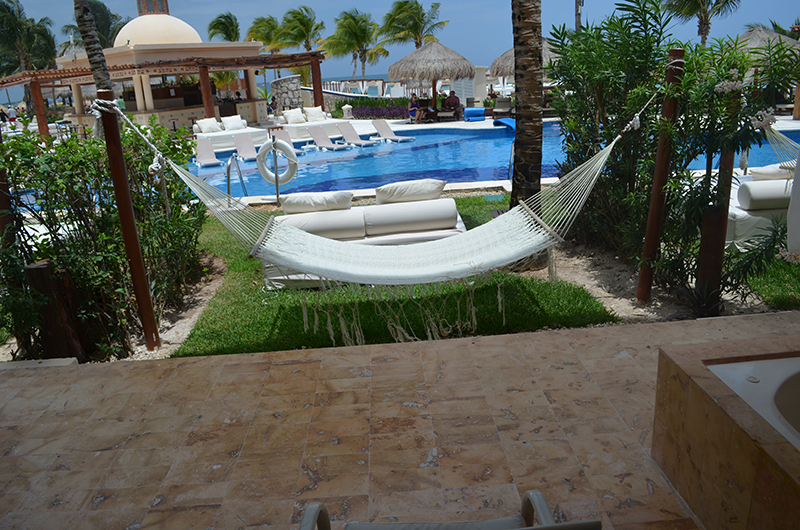 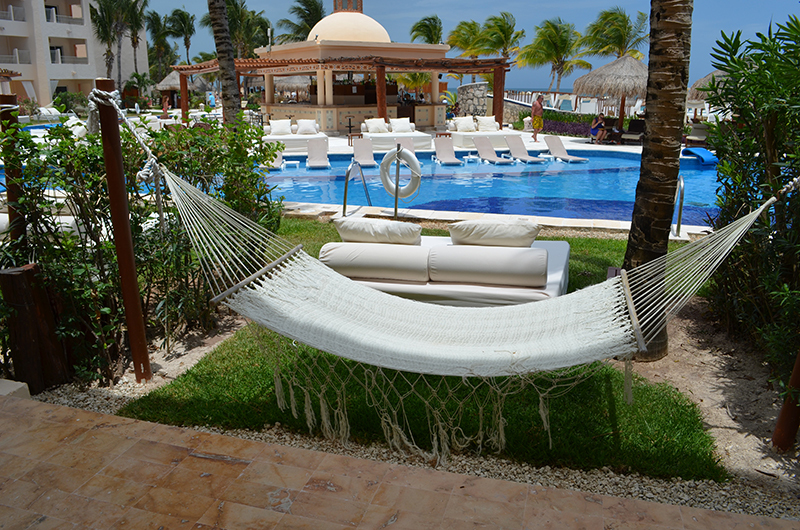 Take an afternoon snorkel…or siesta. 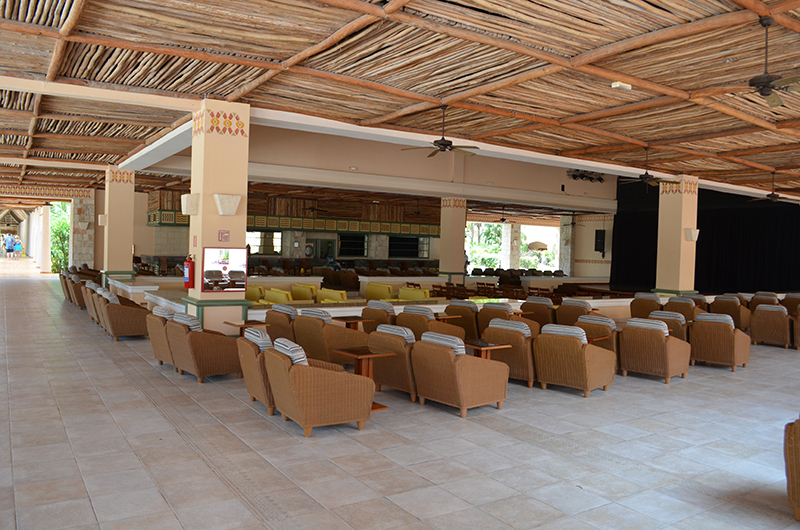 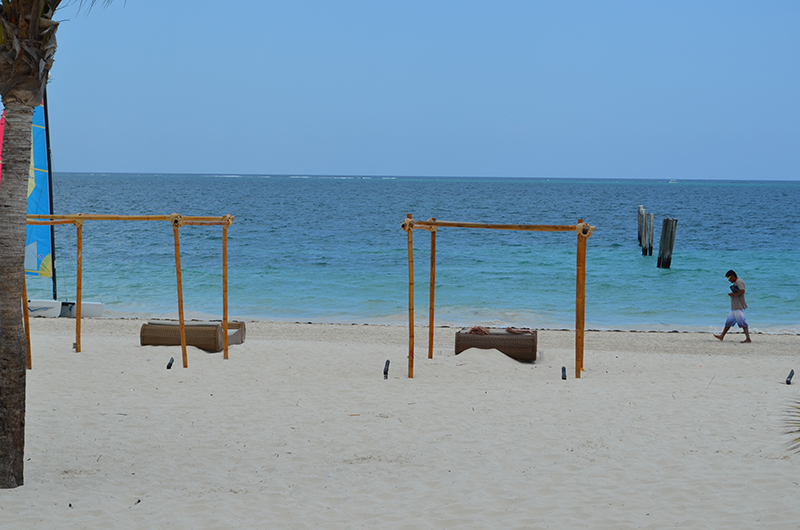 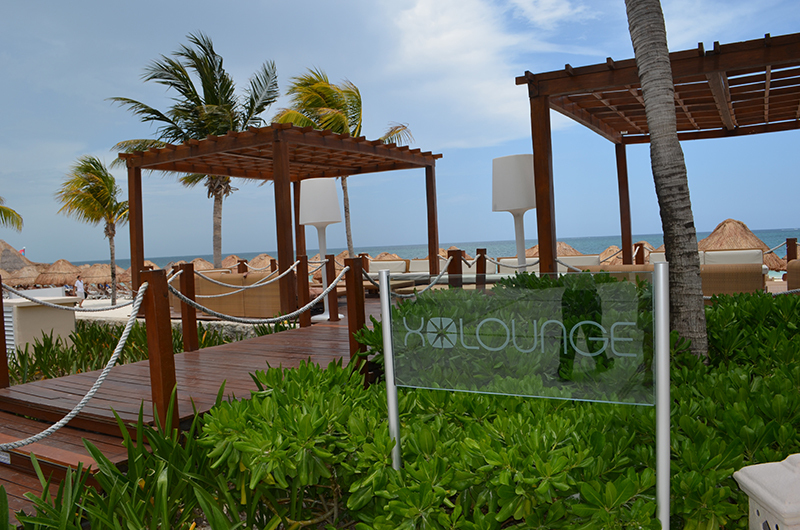 Enjoy a yoga class on the beach at sun-up….or a late-night spin on the dance floor in our nightclub lounge. 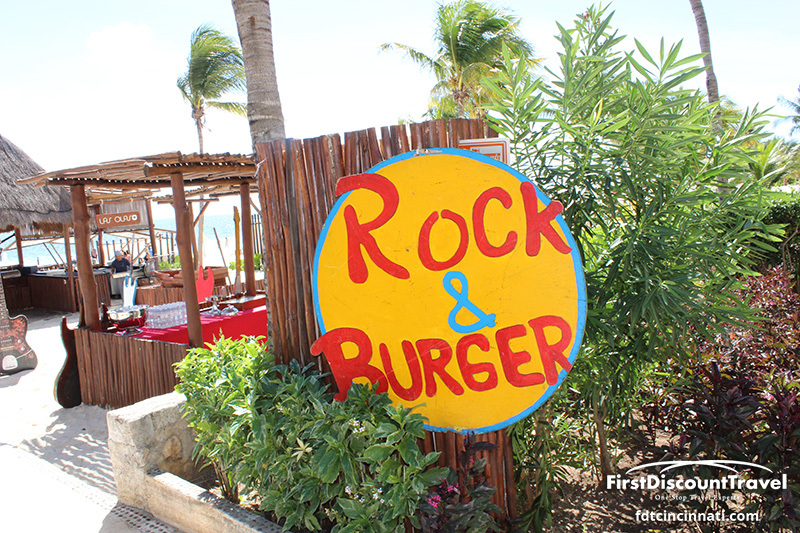 No reservations needed anywhere, no schedules to follow. 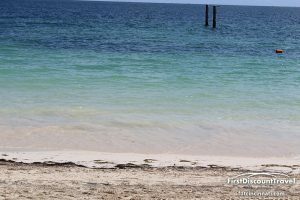 Feel free to be as spontaneous as you like. All inclusive. All suite. 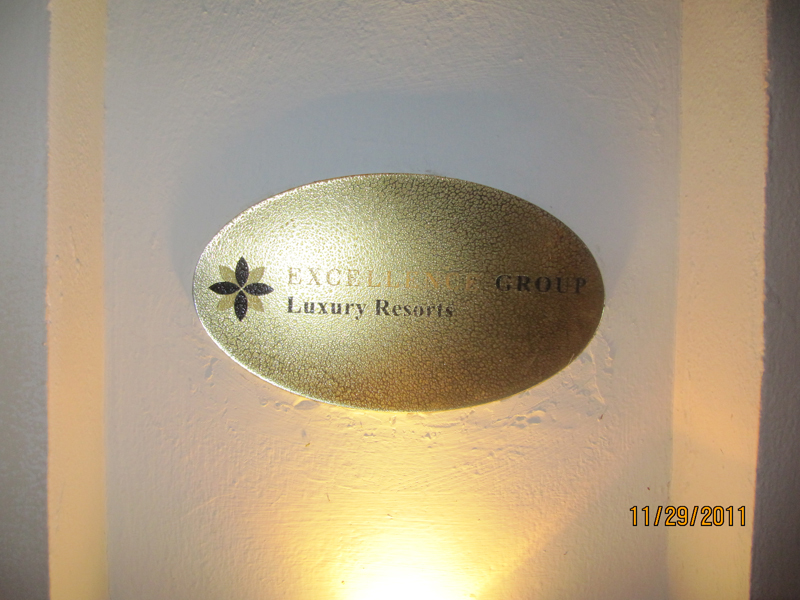 All luxury. 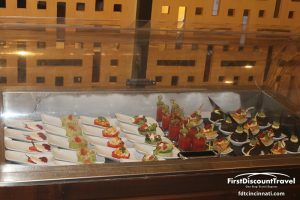 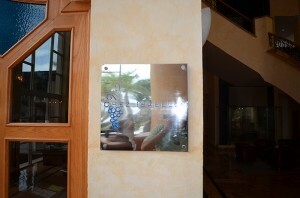 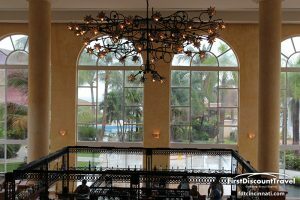 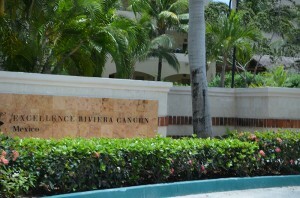 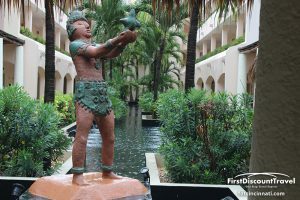 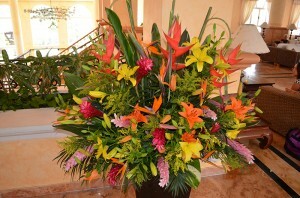 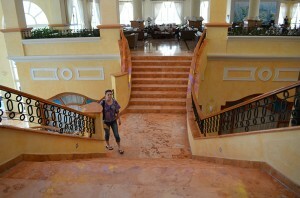 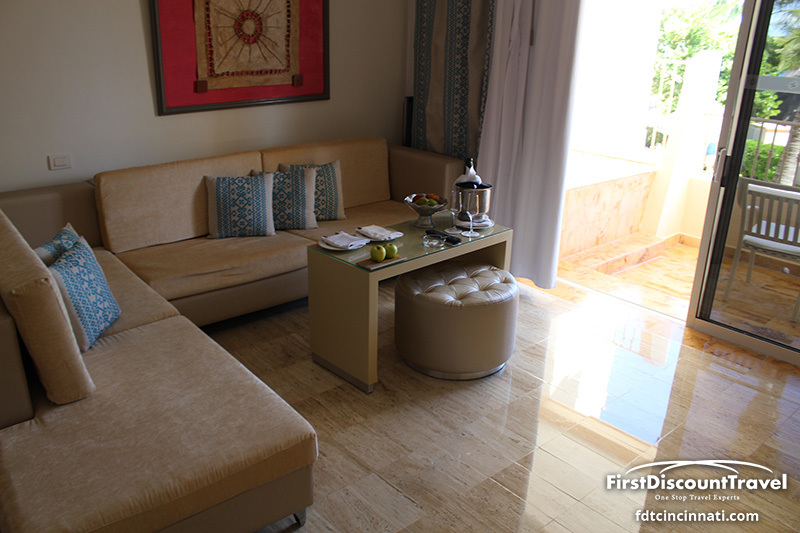 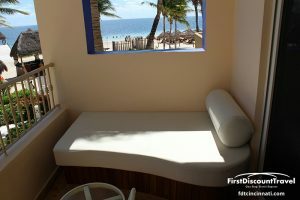 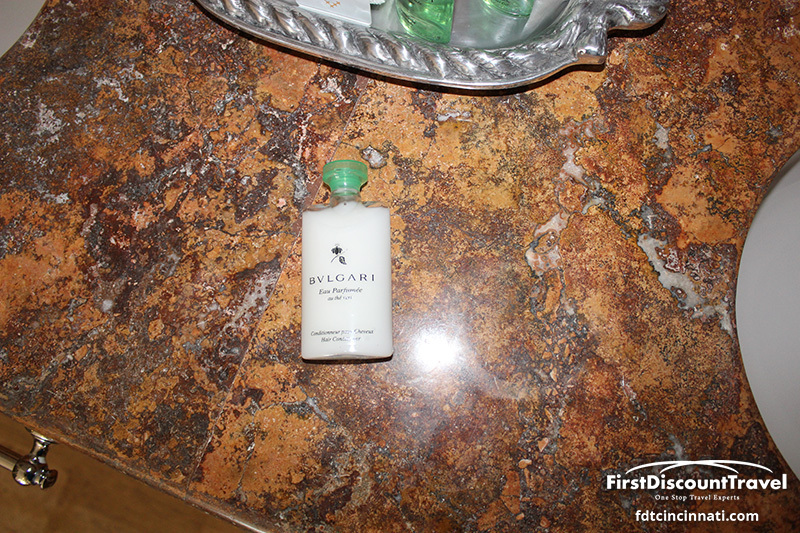 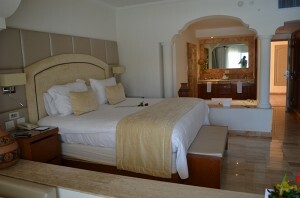 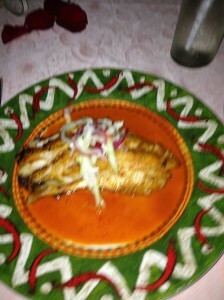 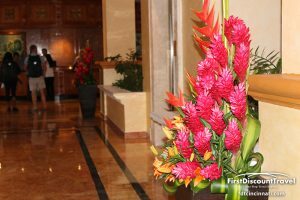 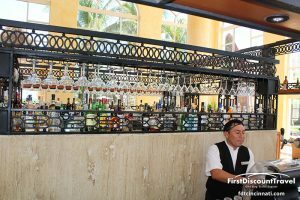 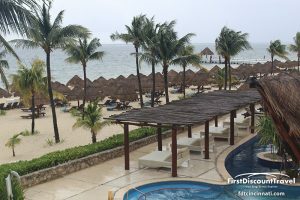 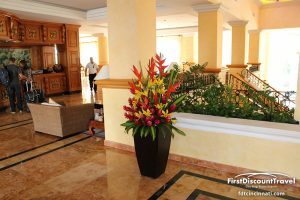 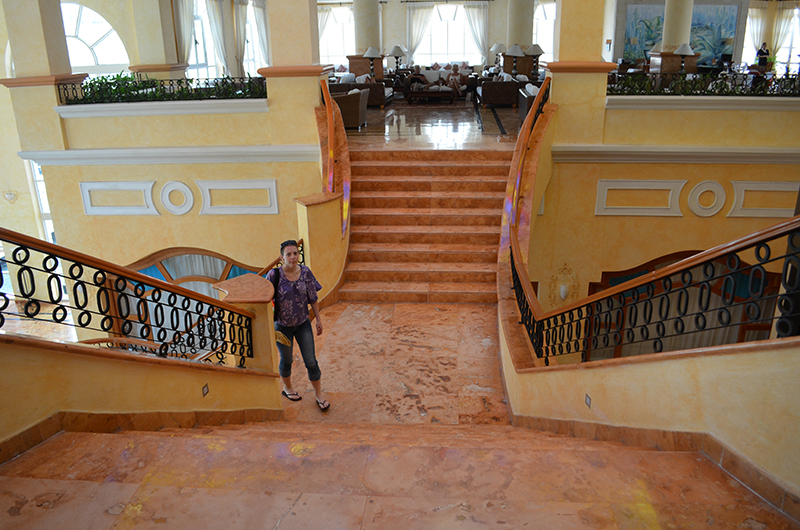 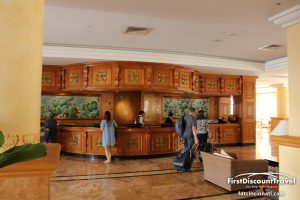 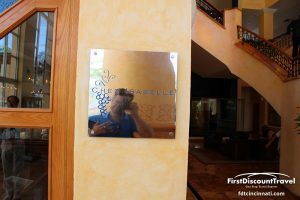 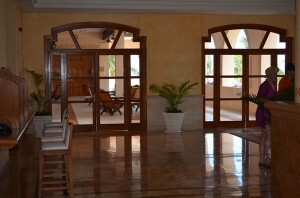 I was very impressed by Excellence Riviera Cancun. 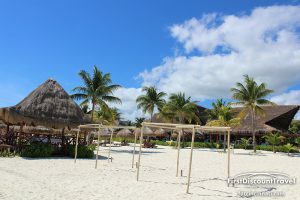 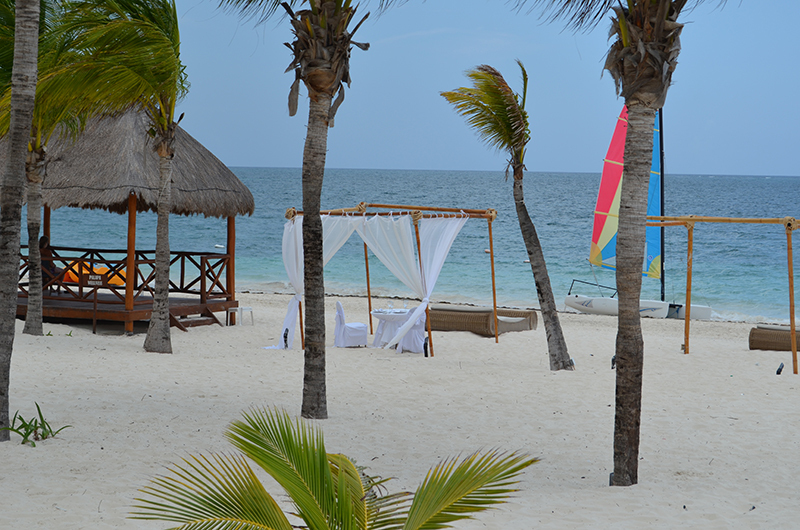 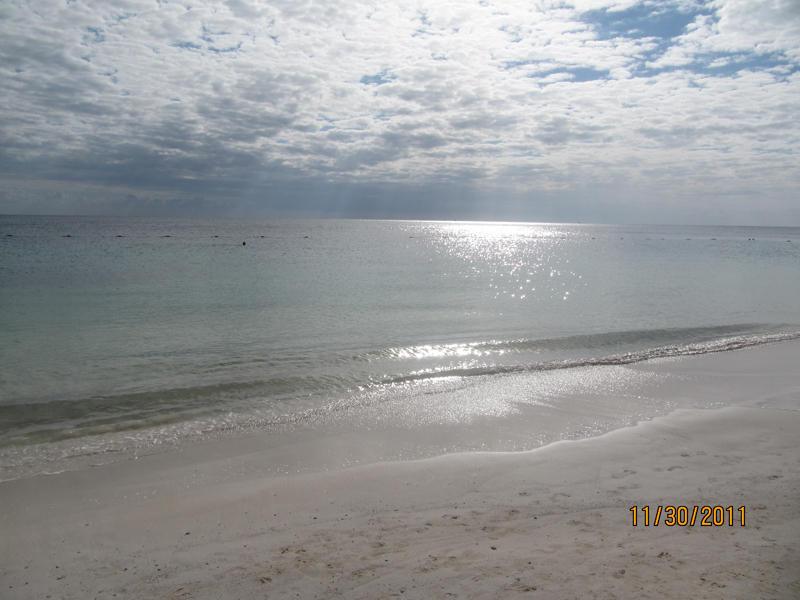 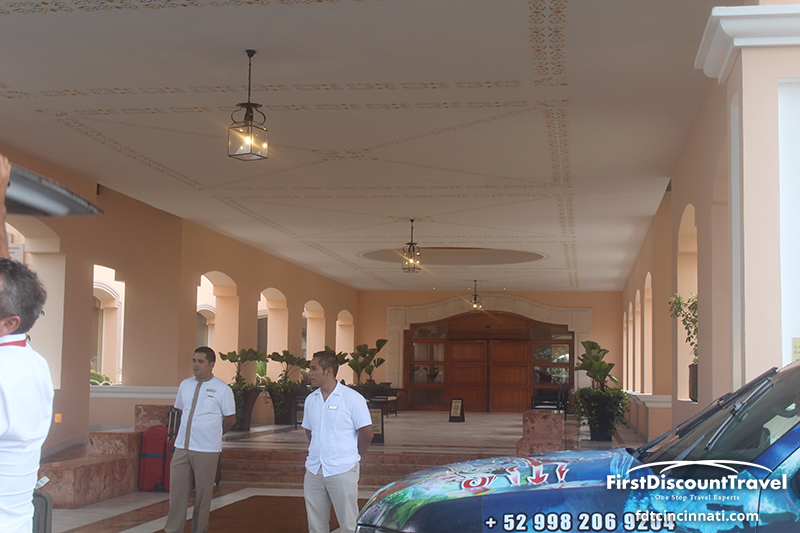 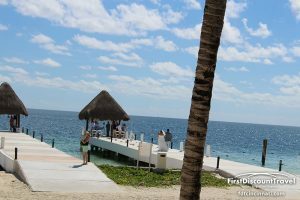 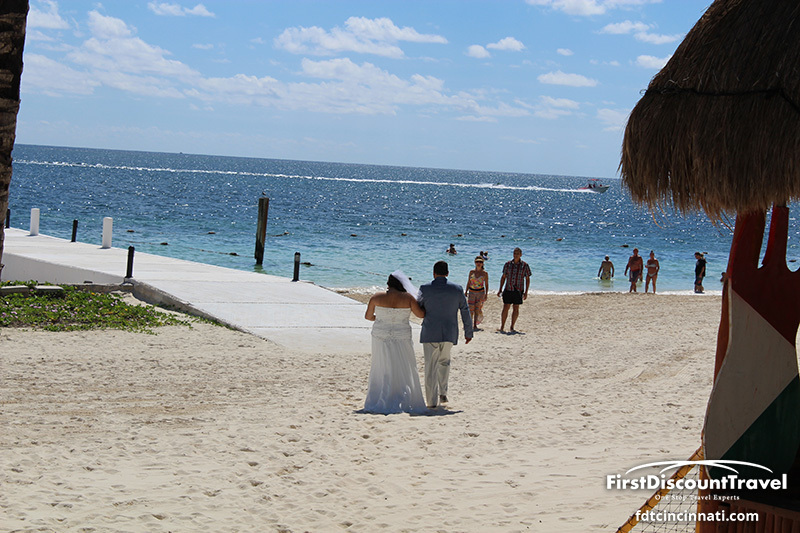 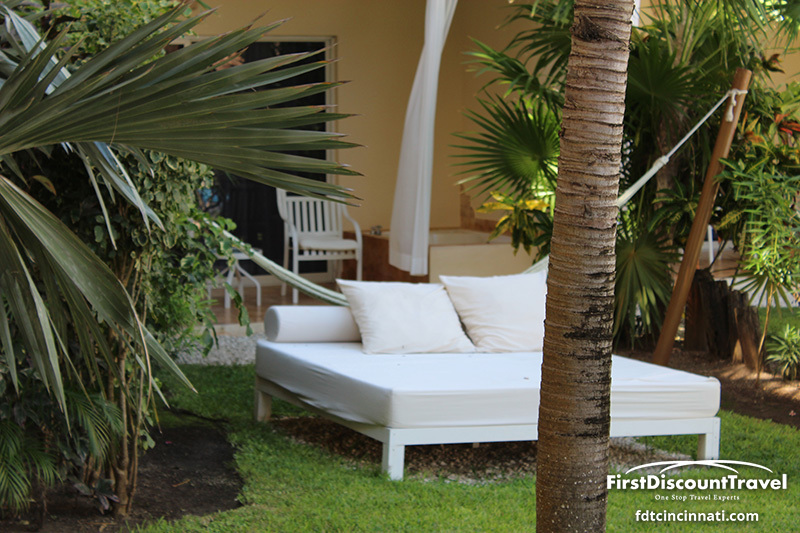 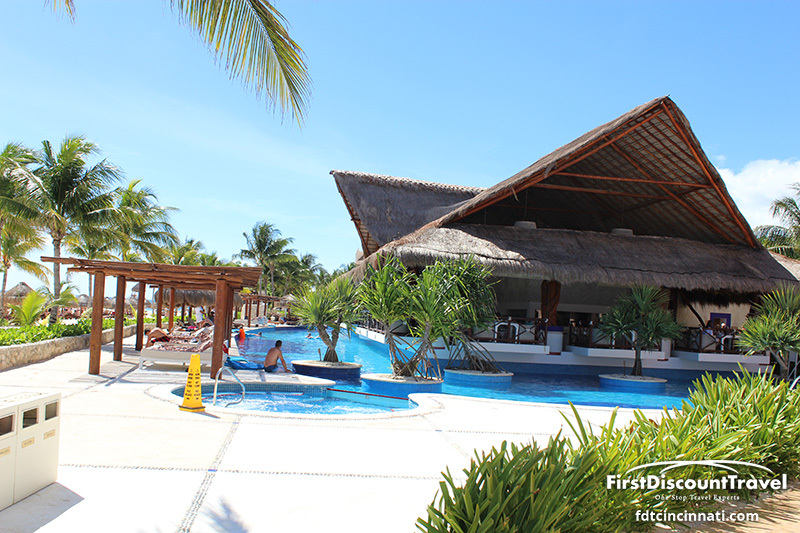 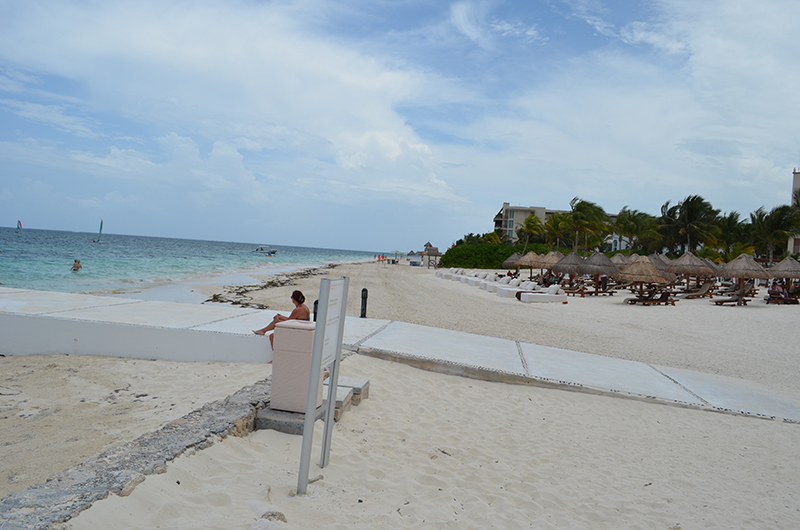 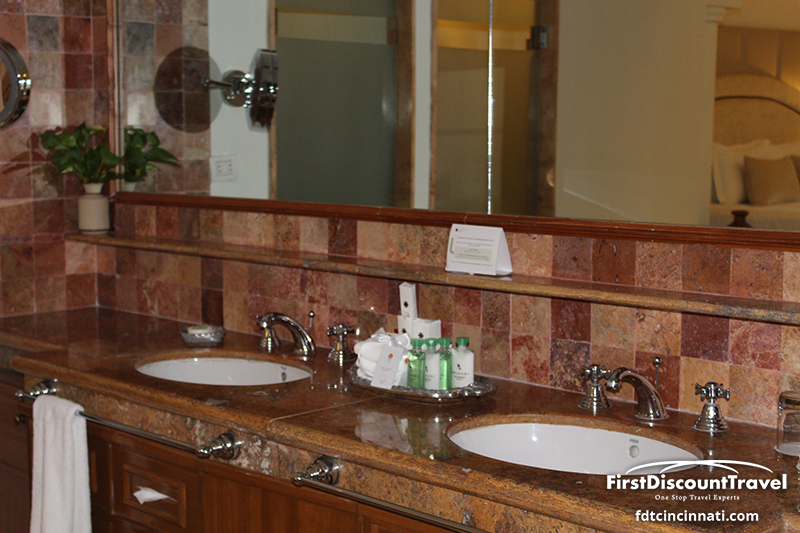 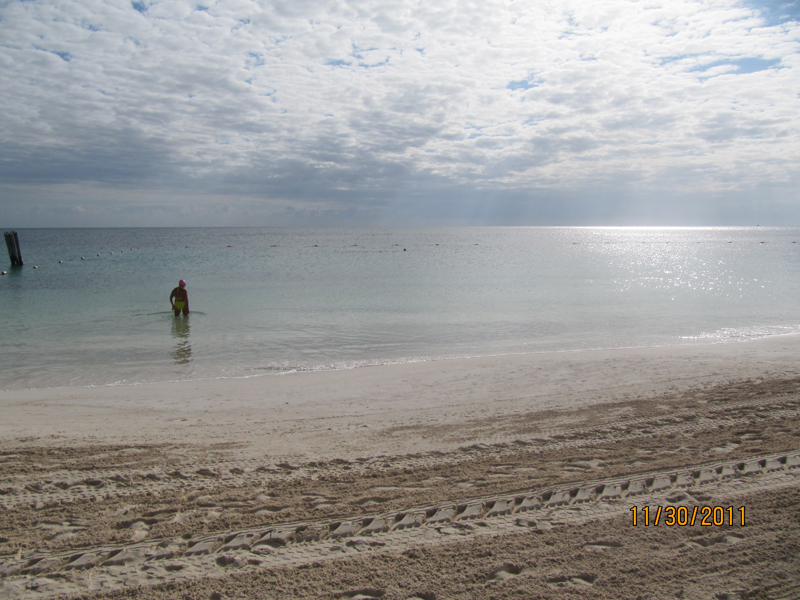 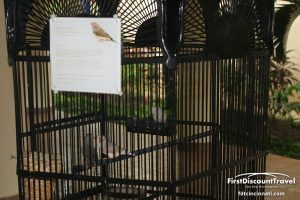 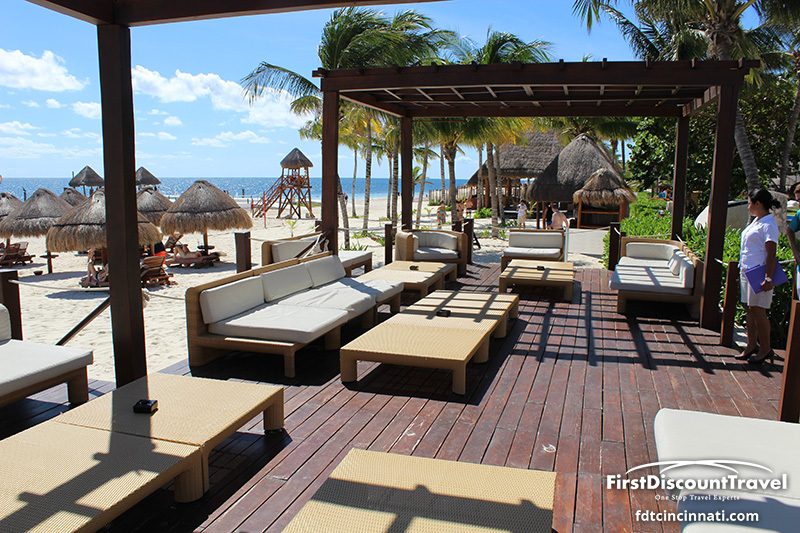 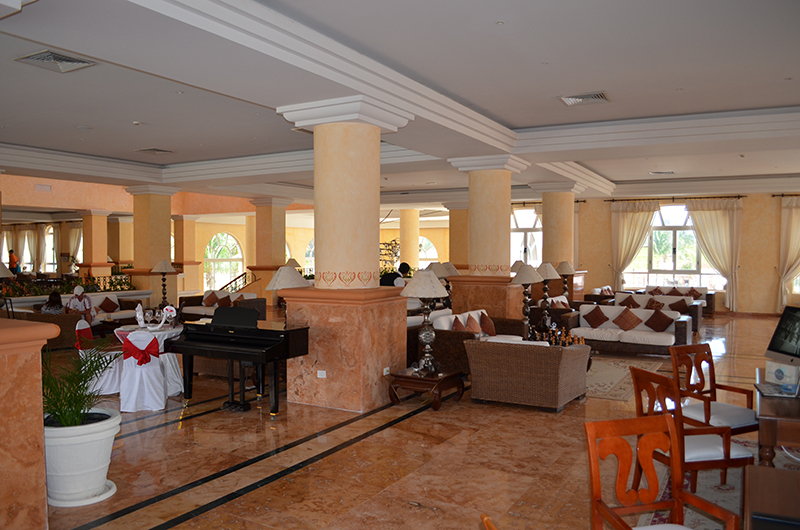 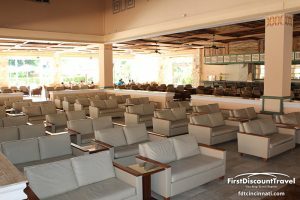 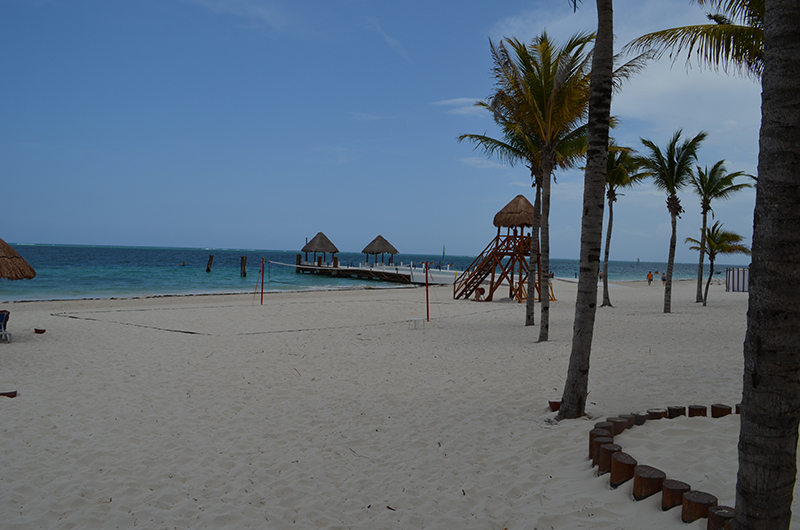 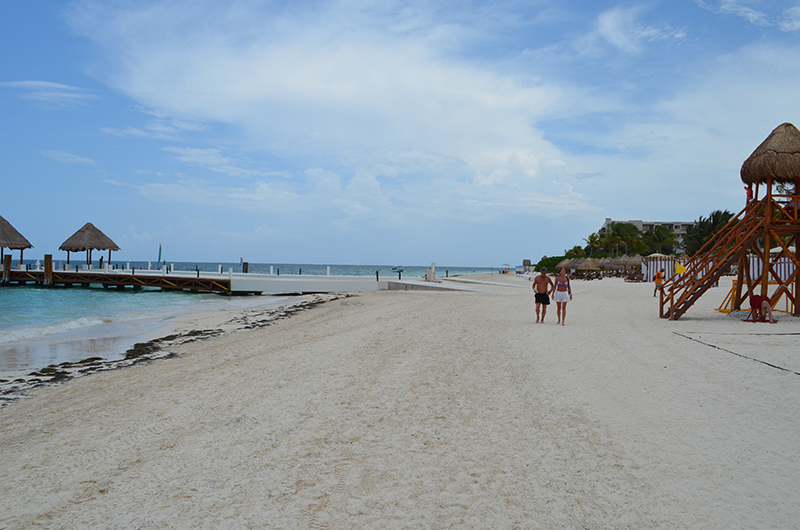 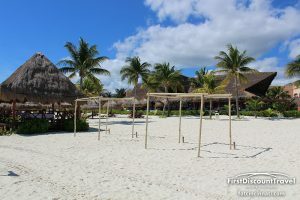 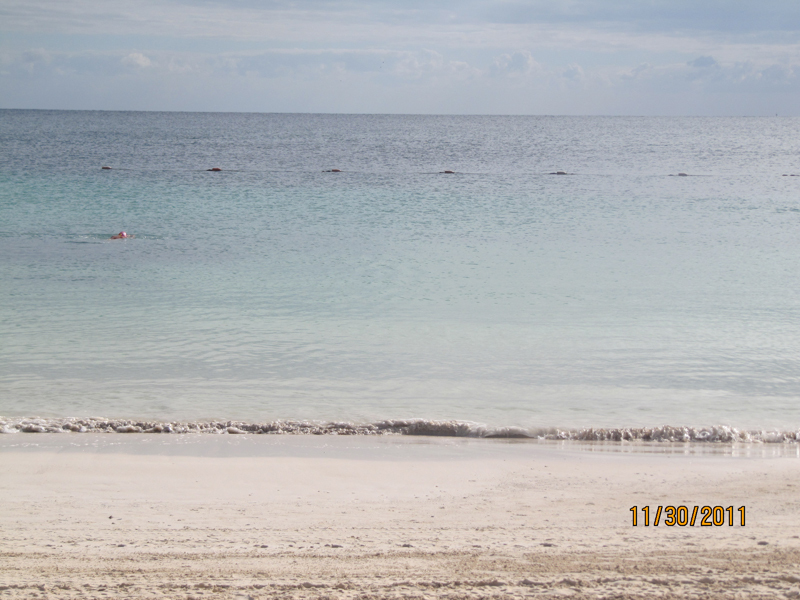 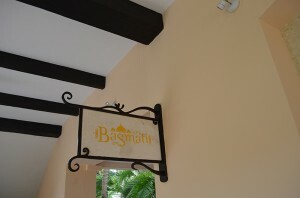 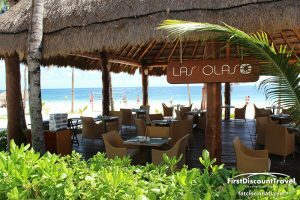 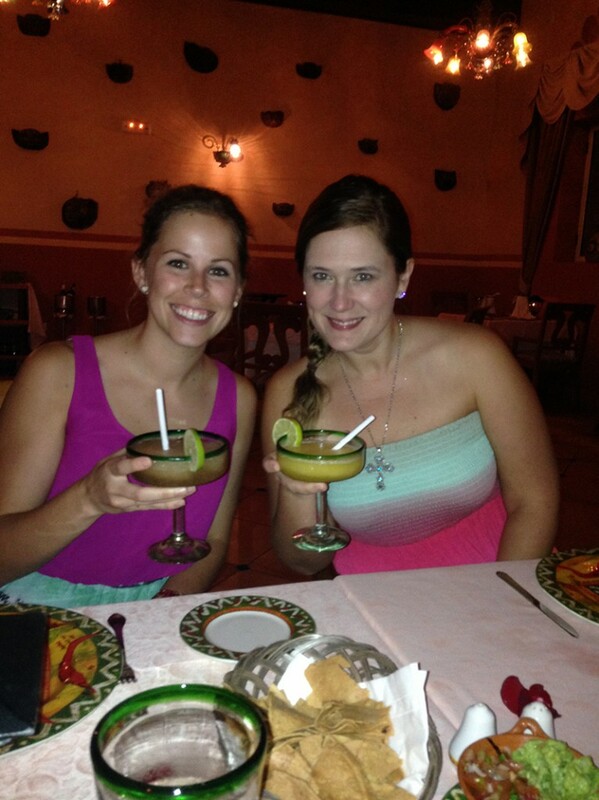 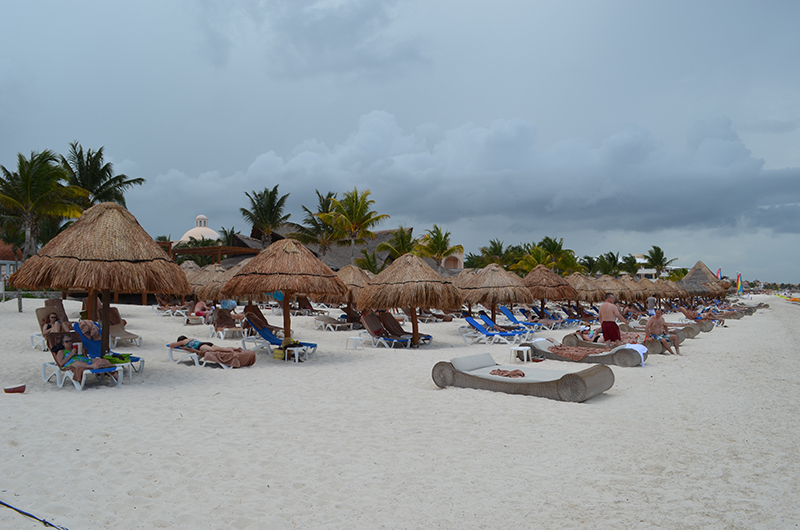 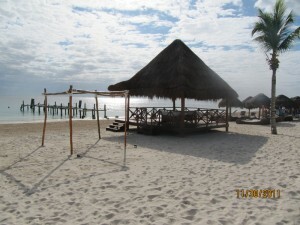 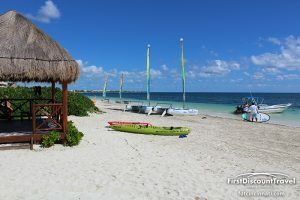 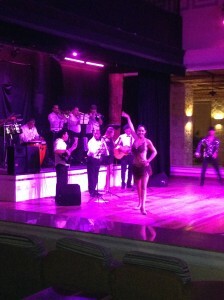 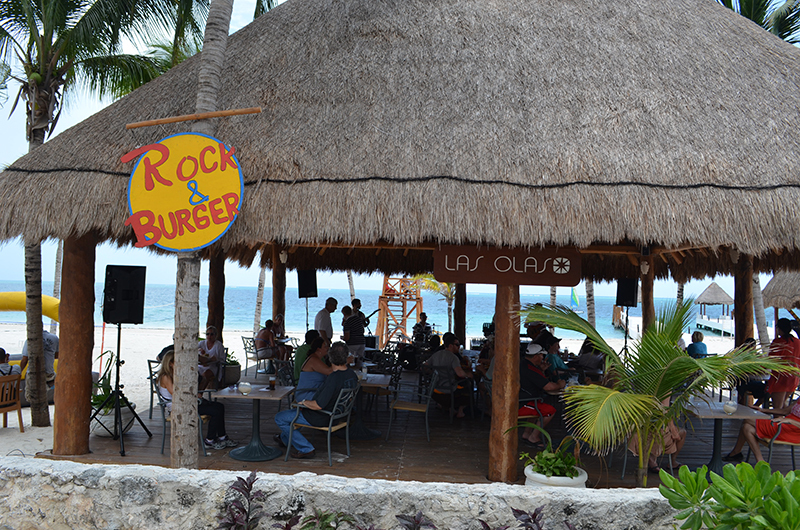 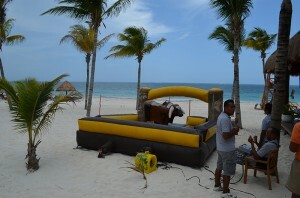 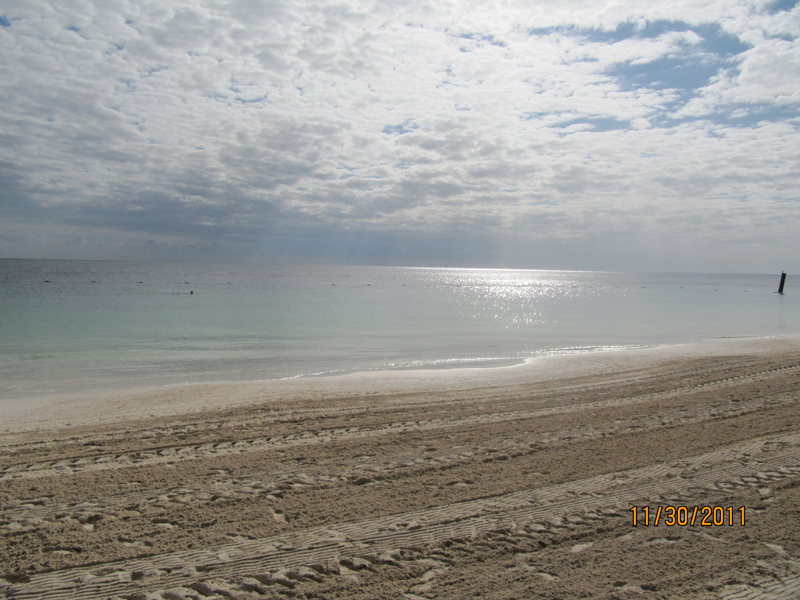 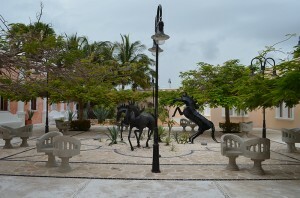 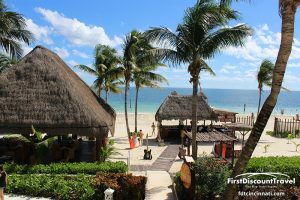 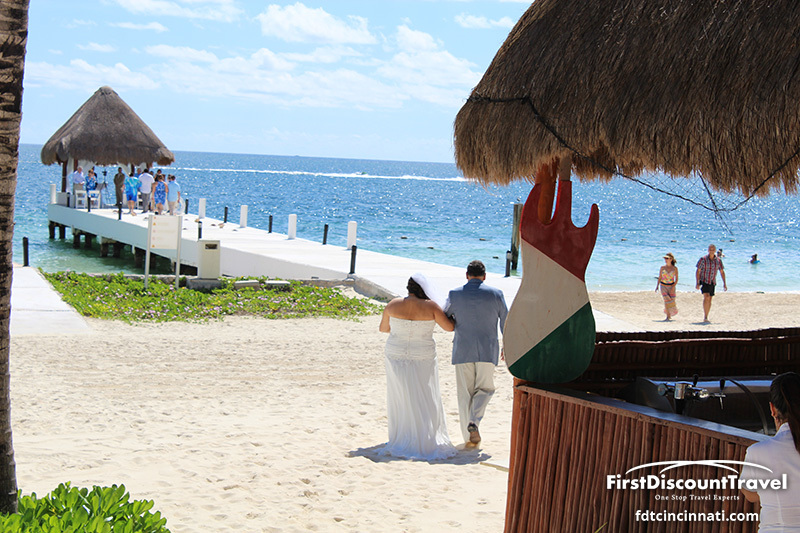 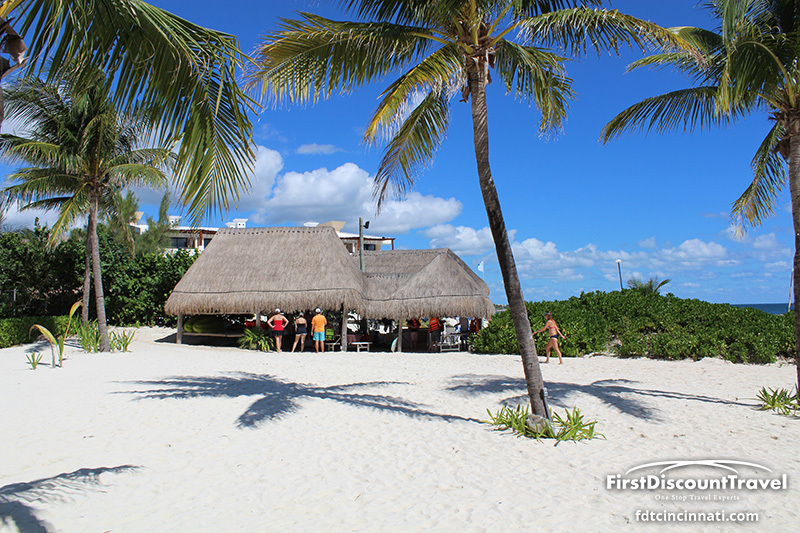 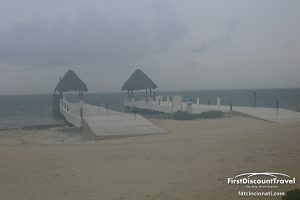 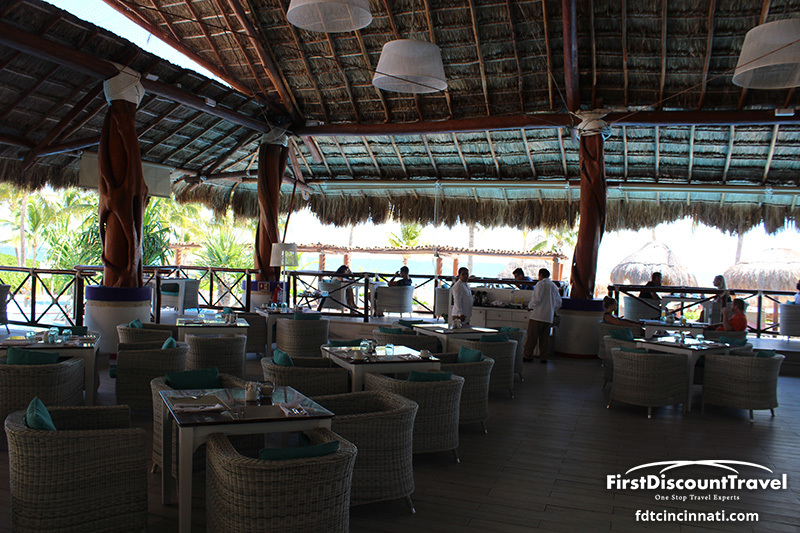 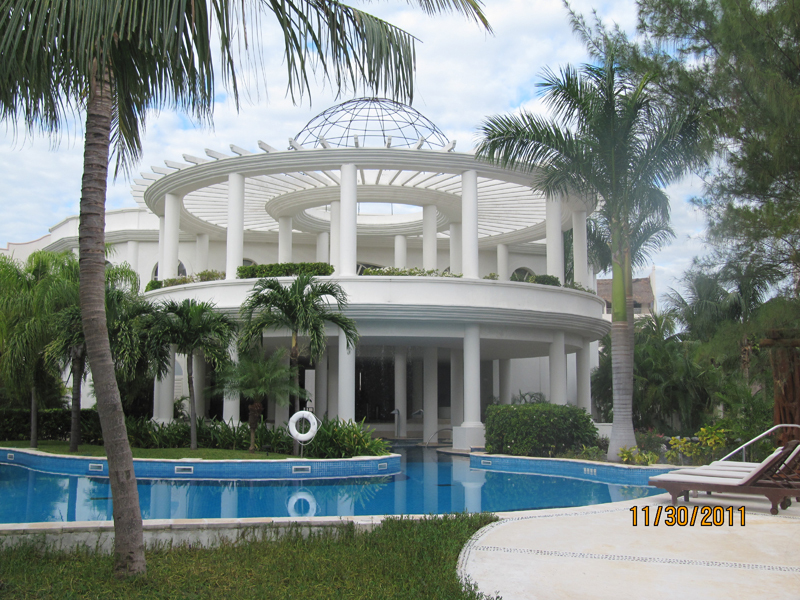 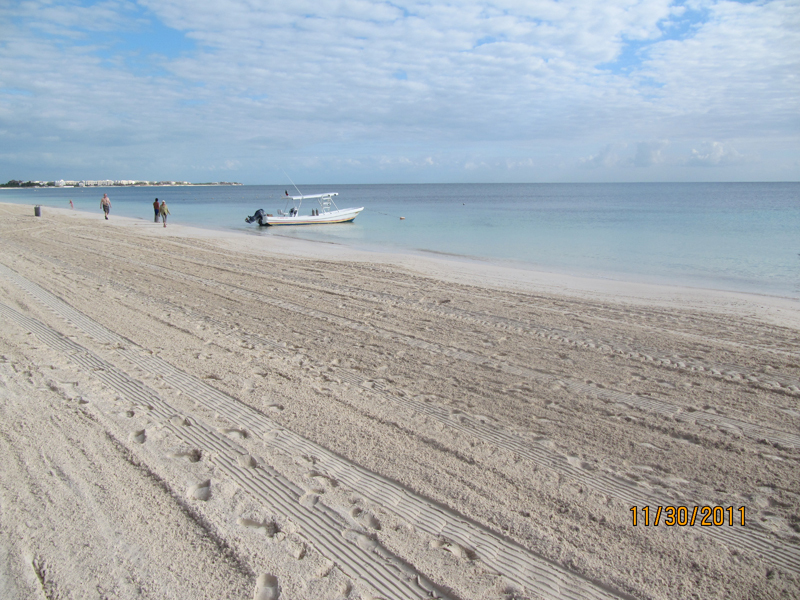 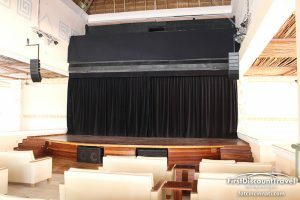 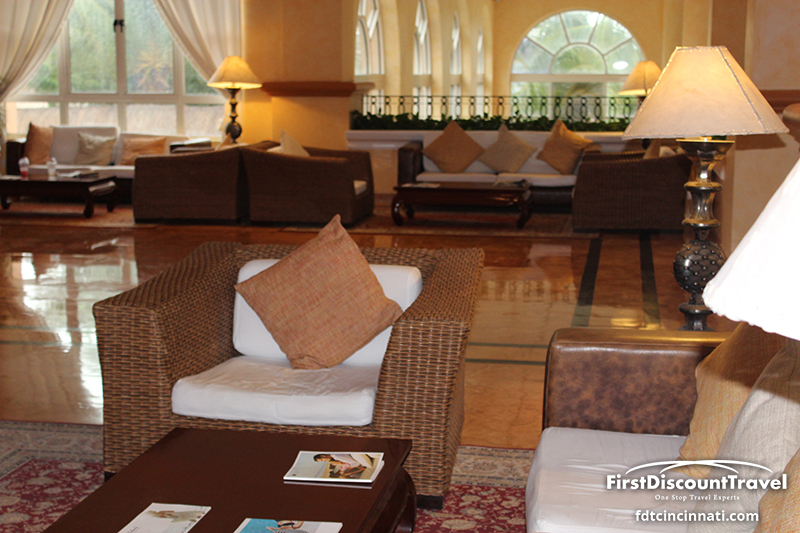 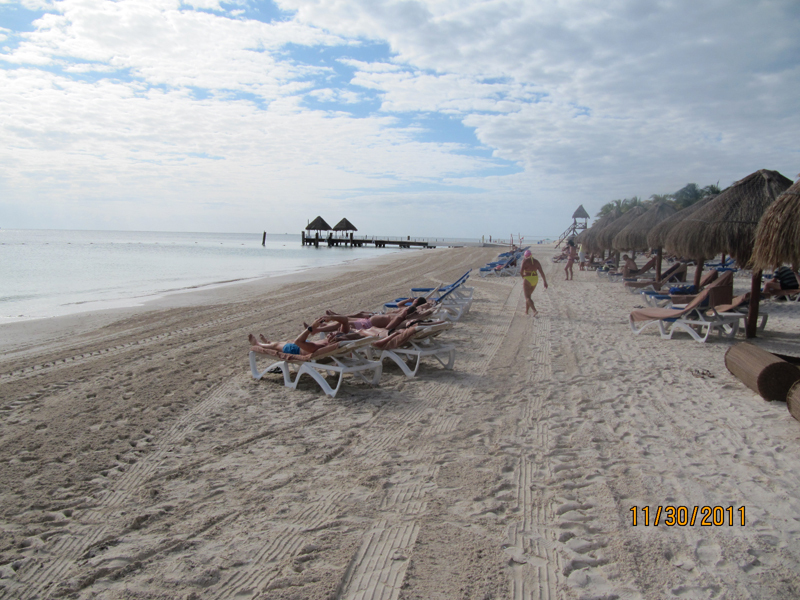 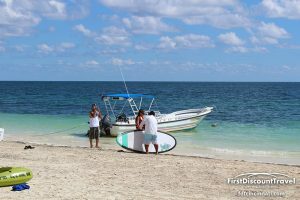 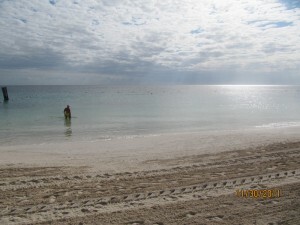 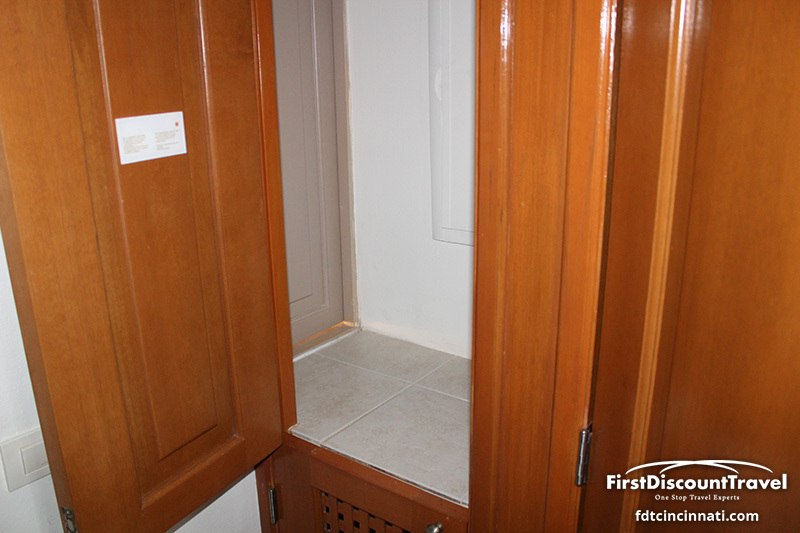 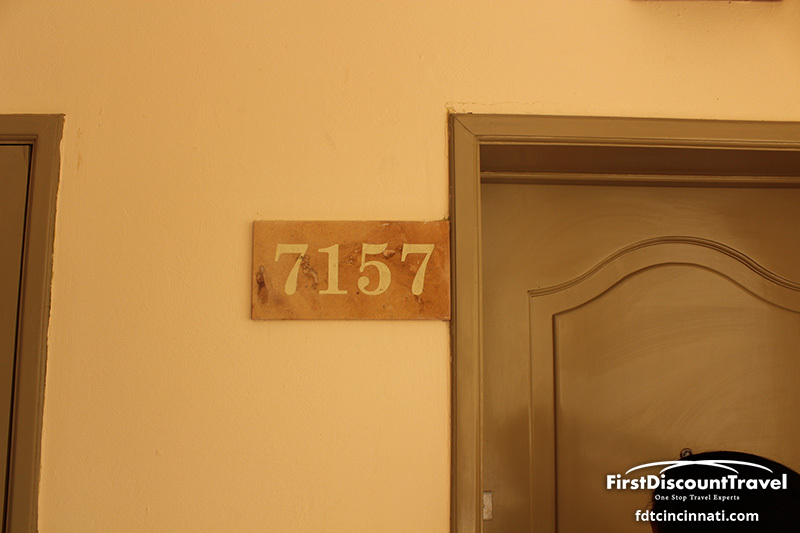 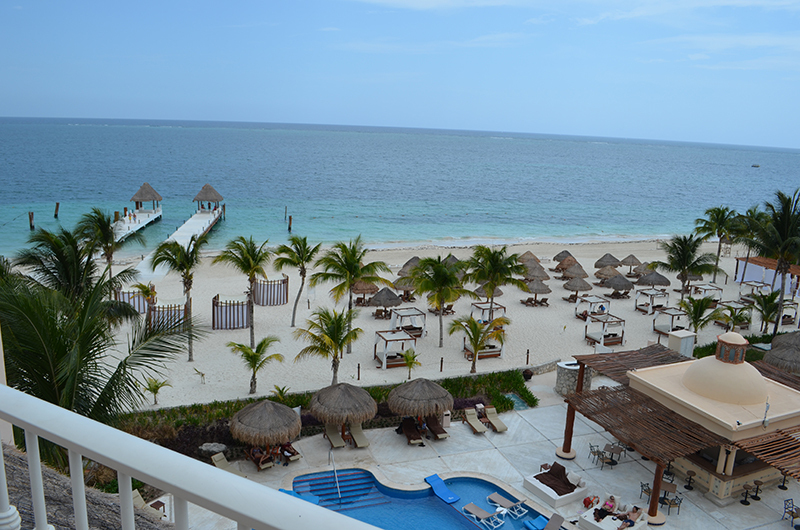 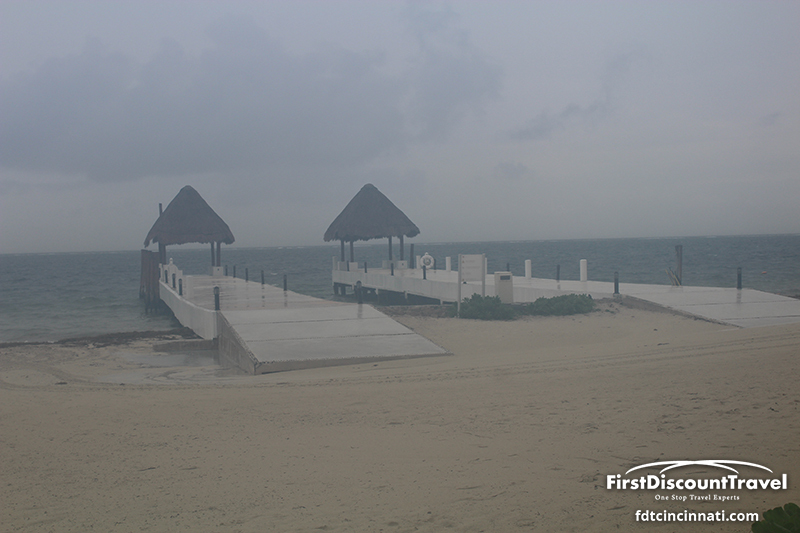 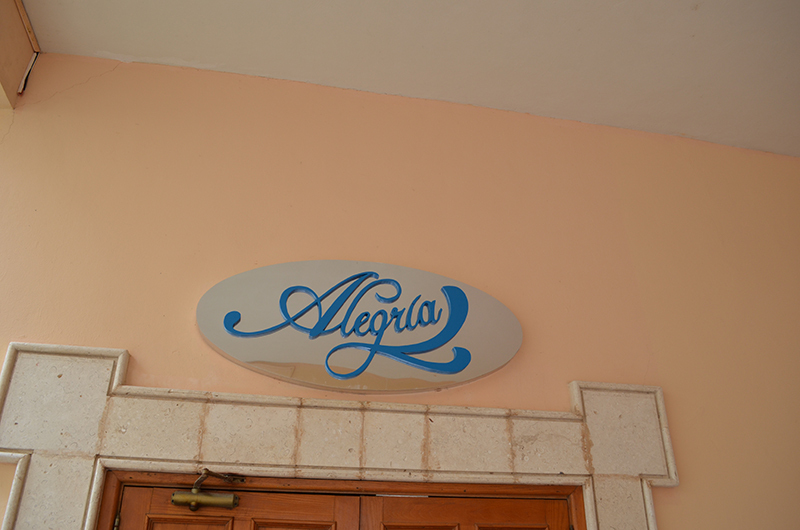 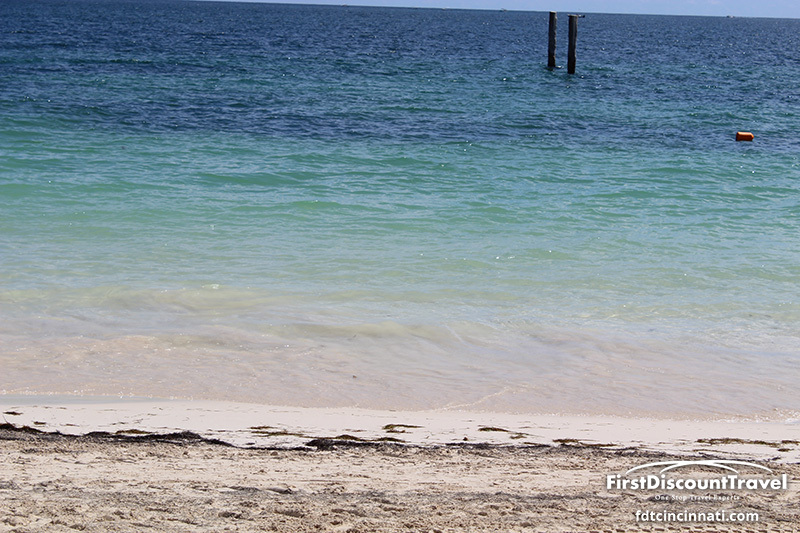 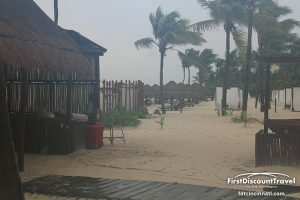 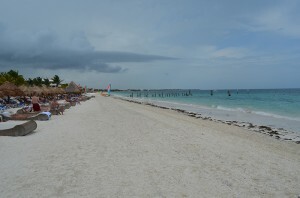 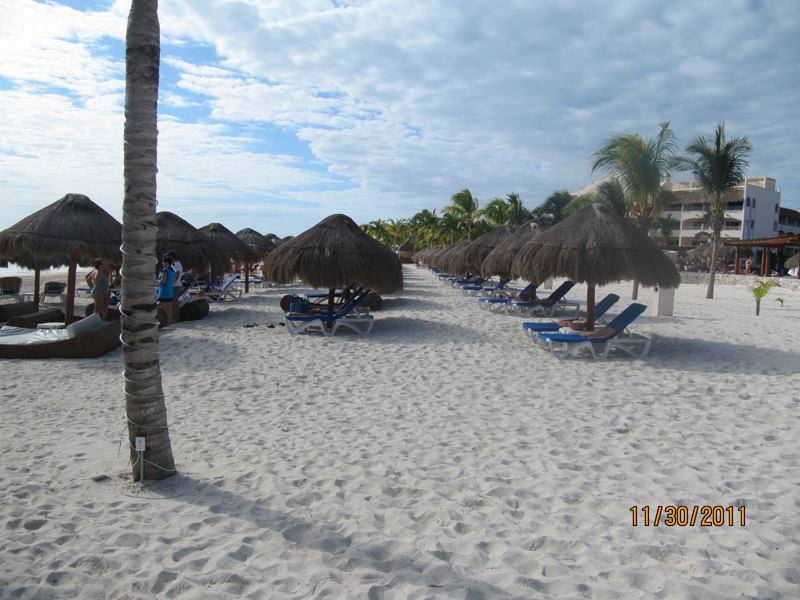 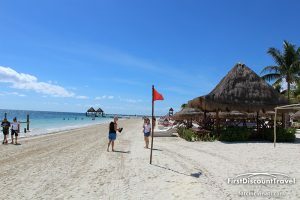 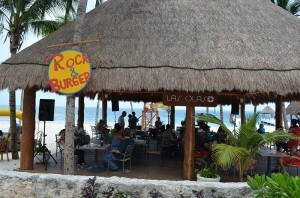 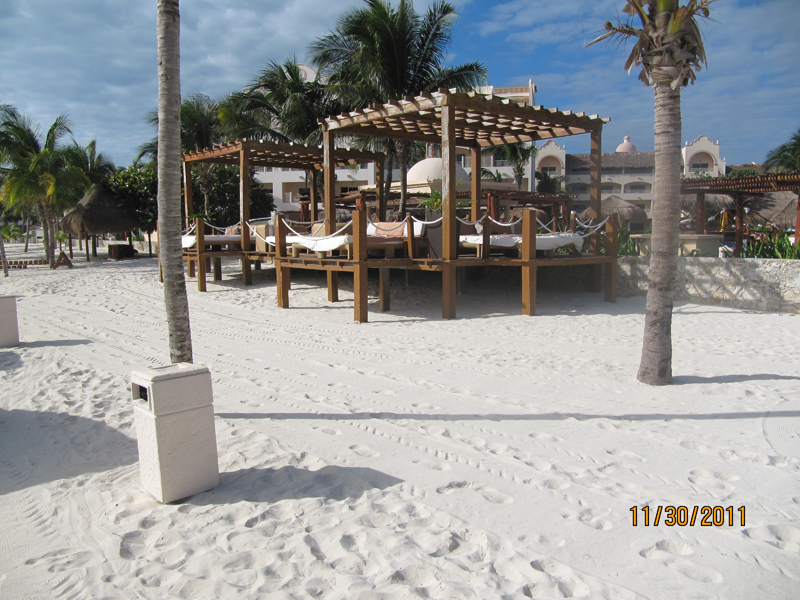 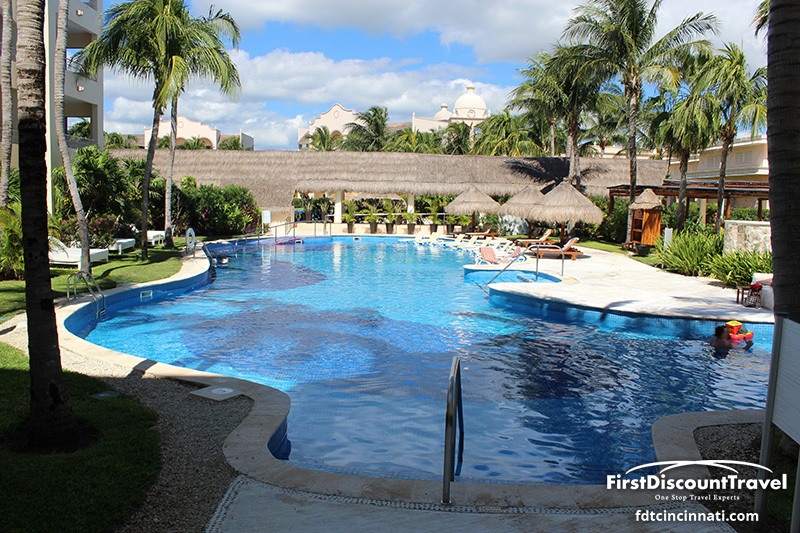 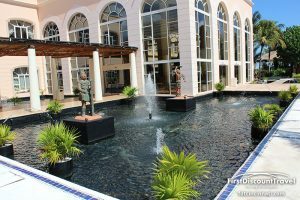 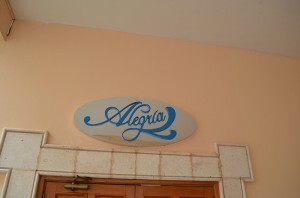 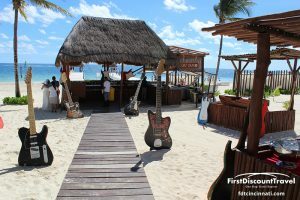 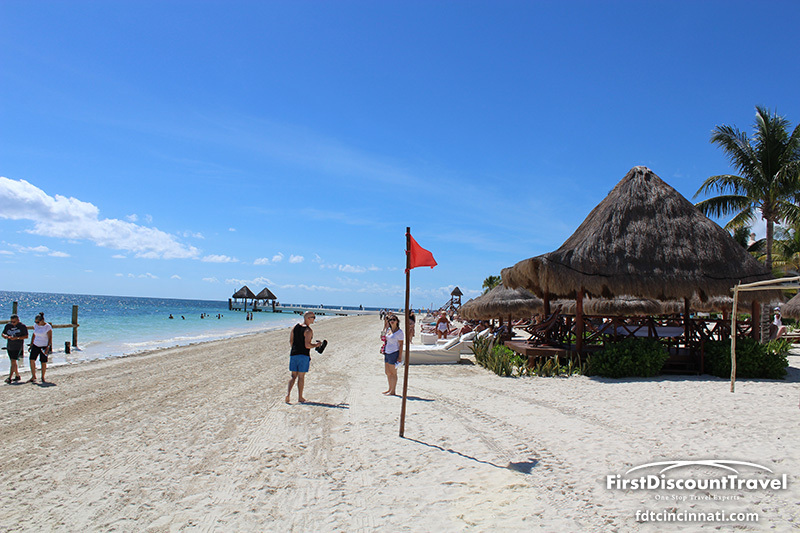 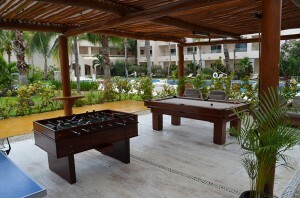 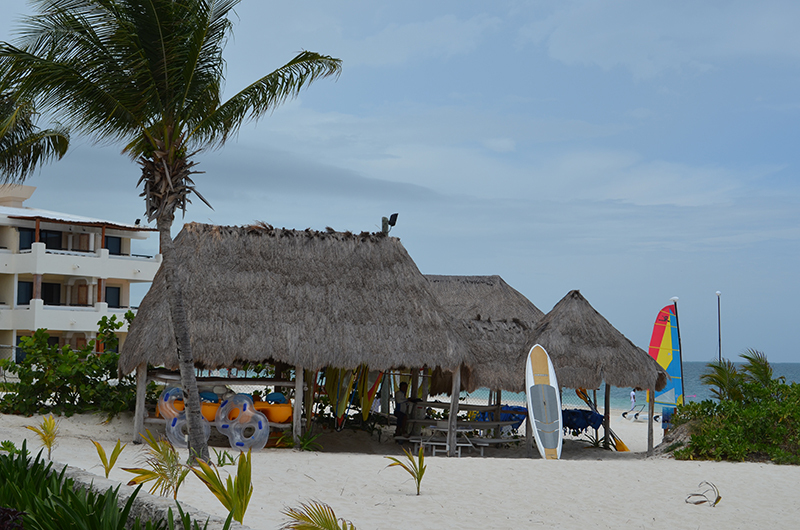 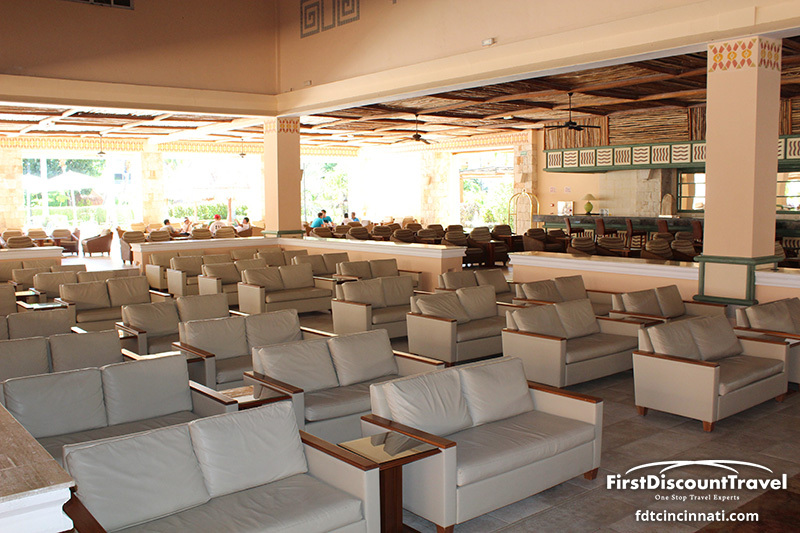 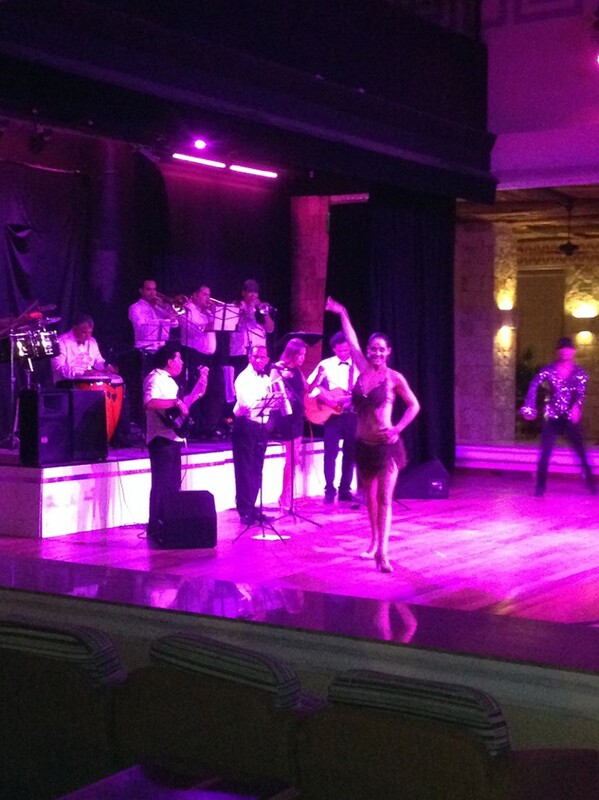 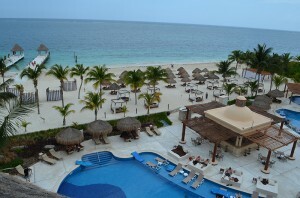 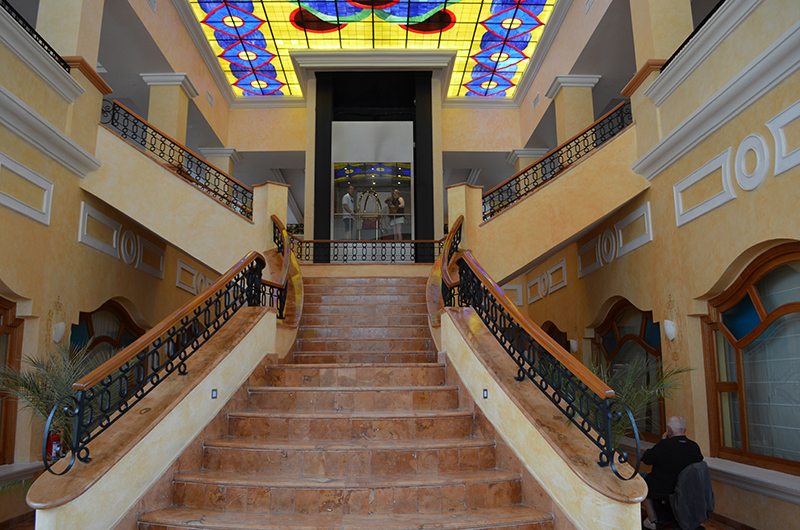 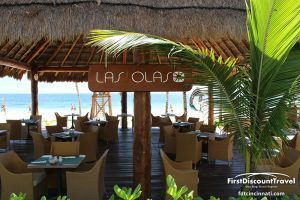 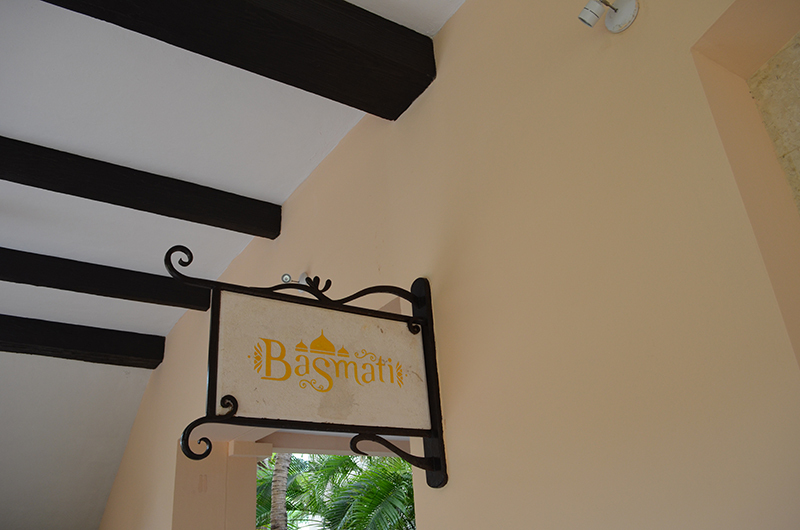 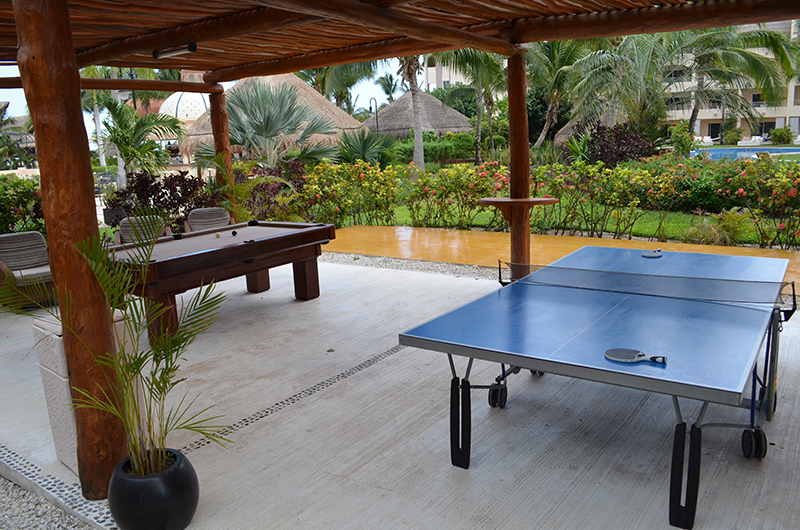 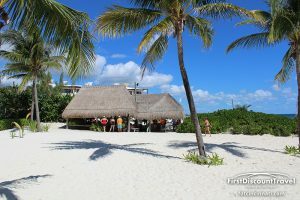 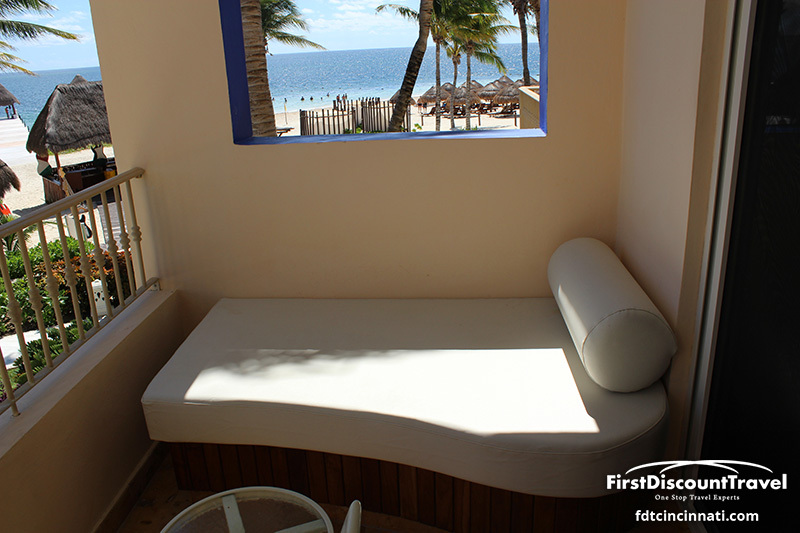 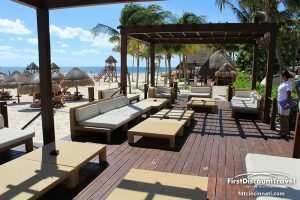 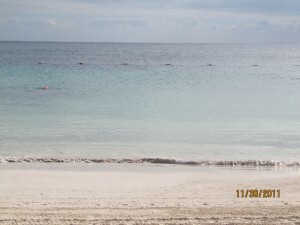 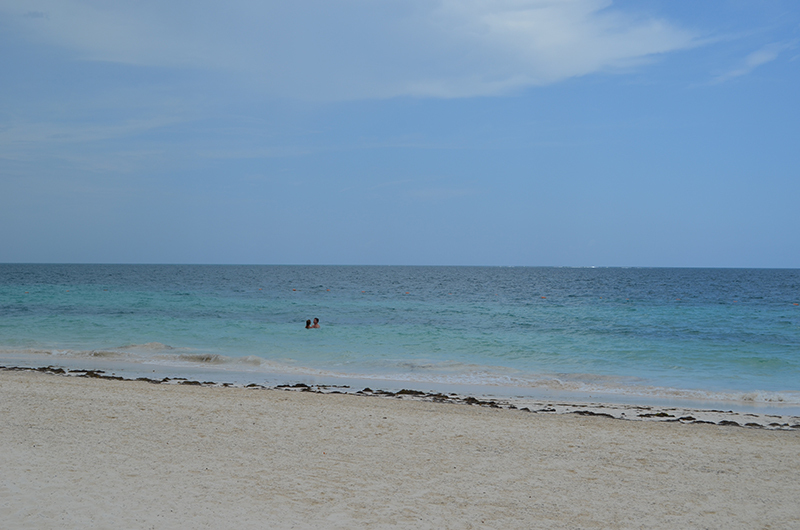 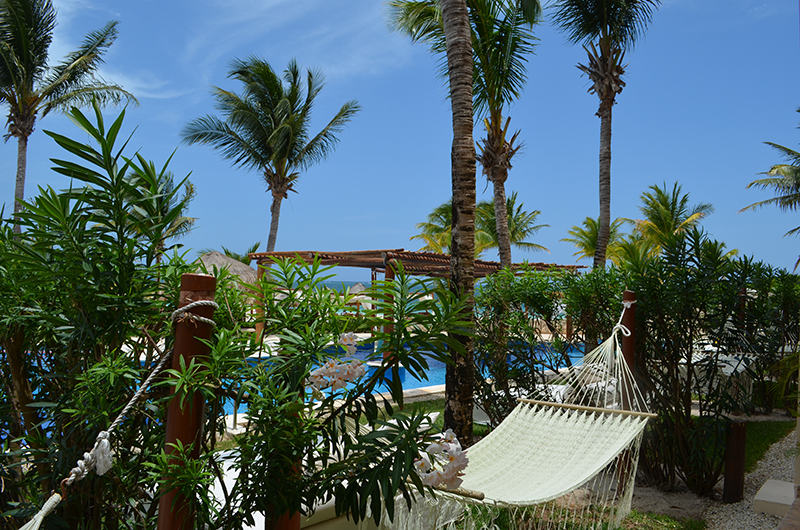 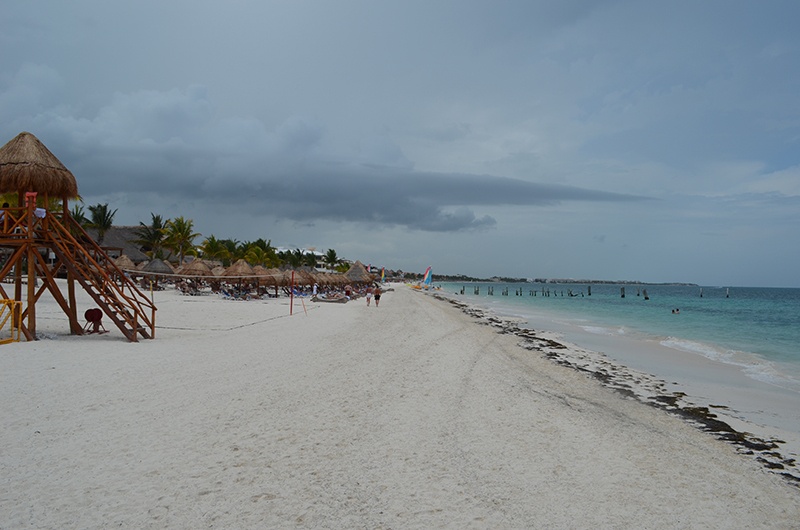 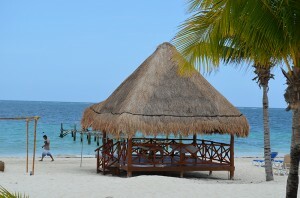 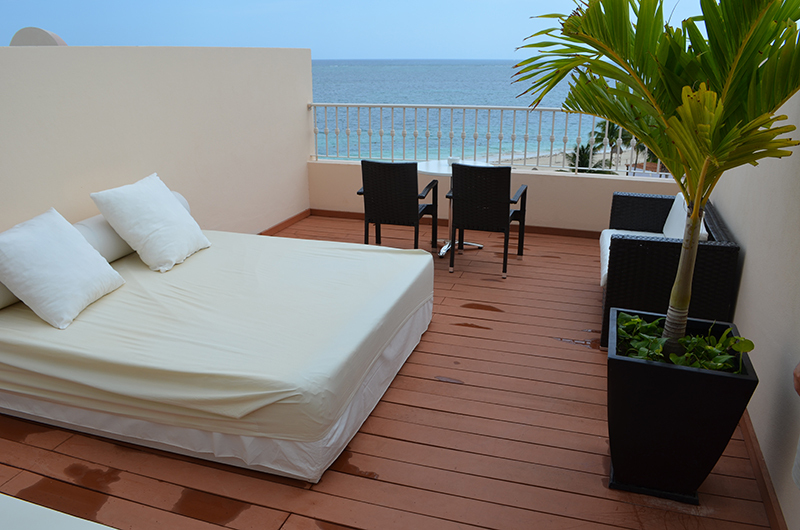 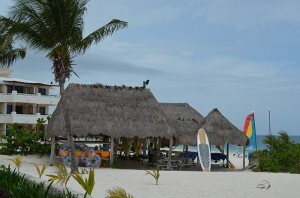 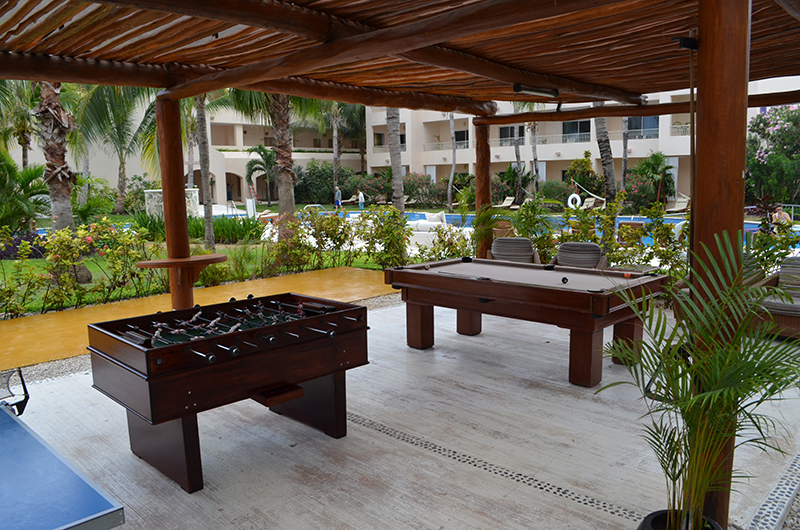 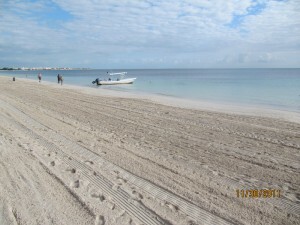 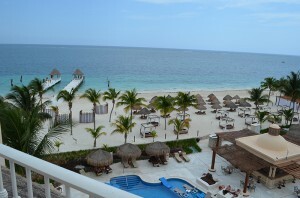 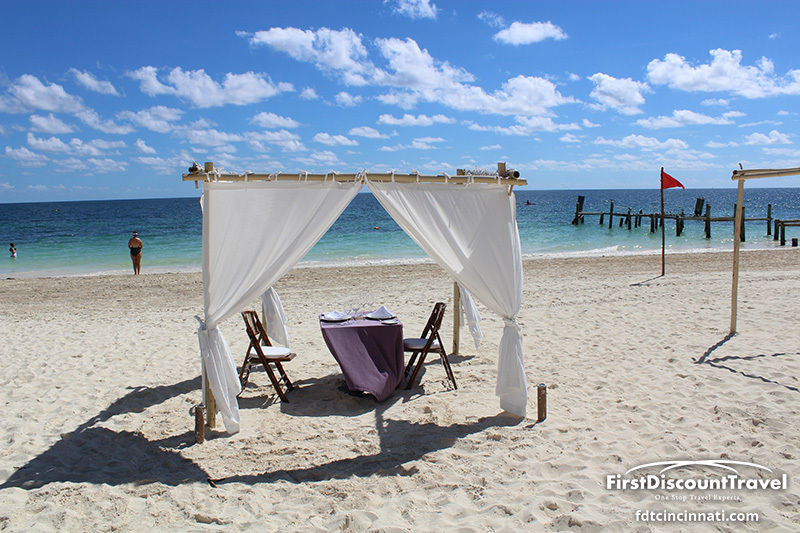 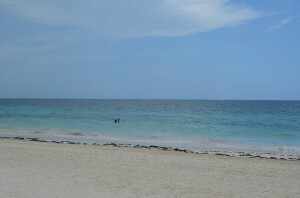 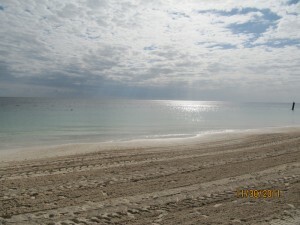 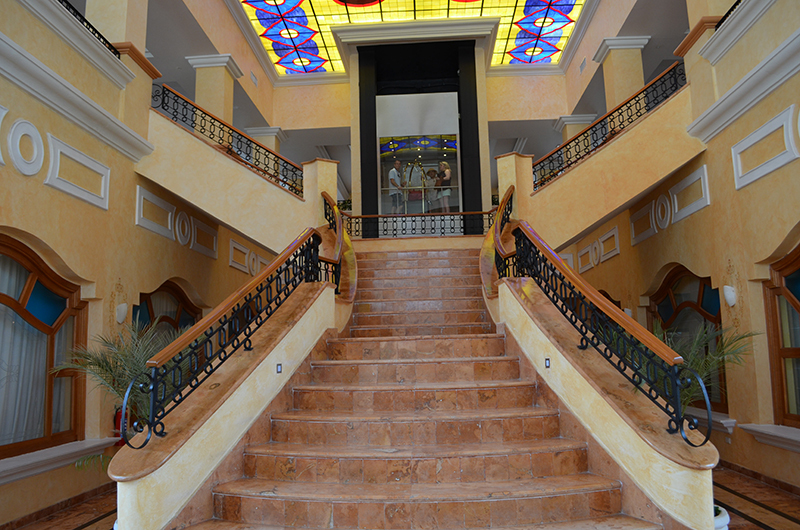 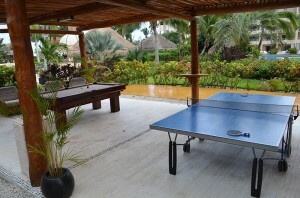 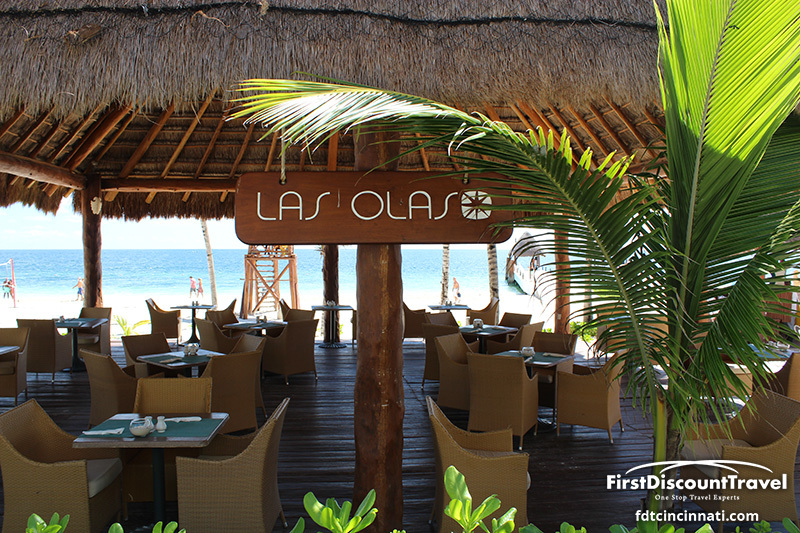 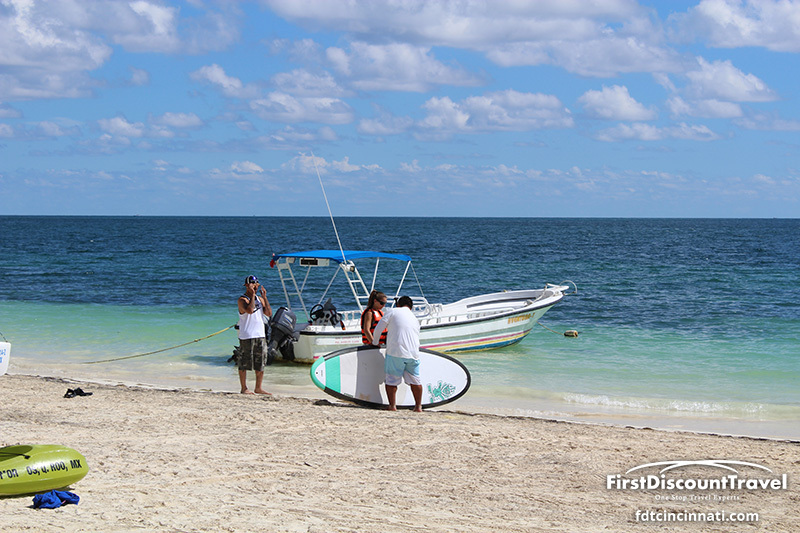 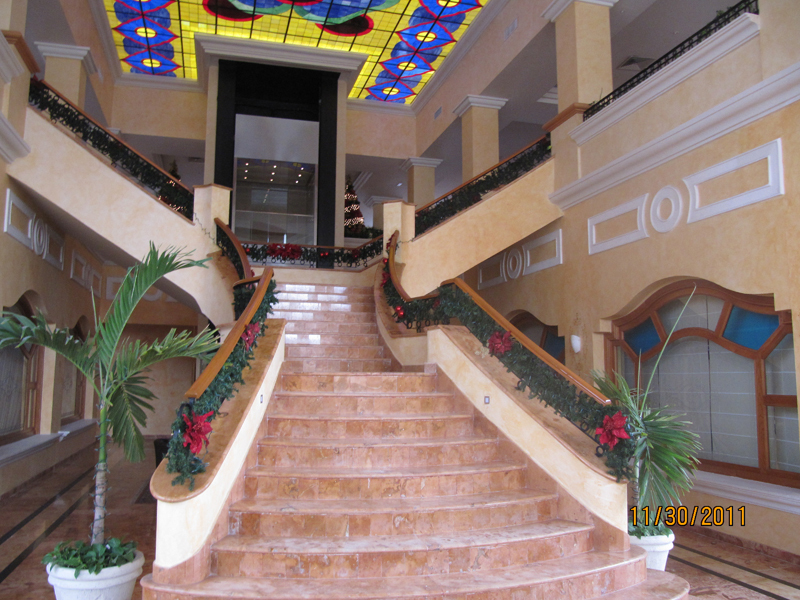 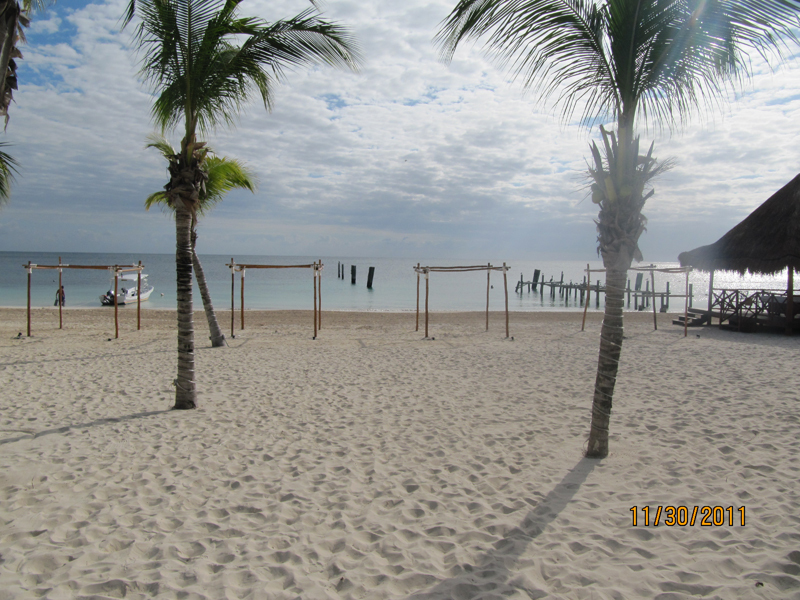 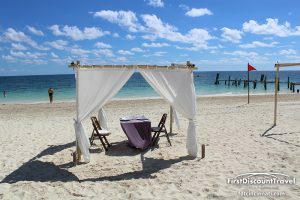 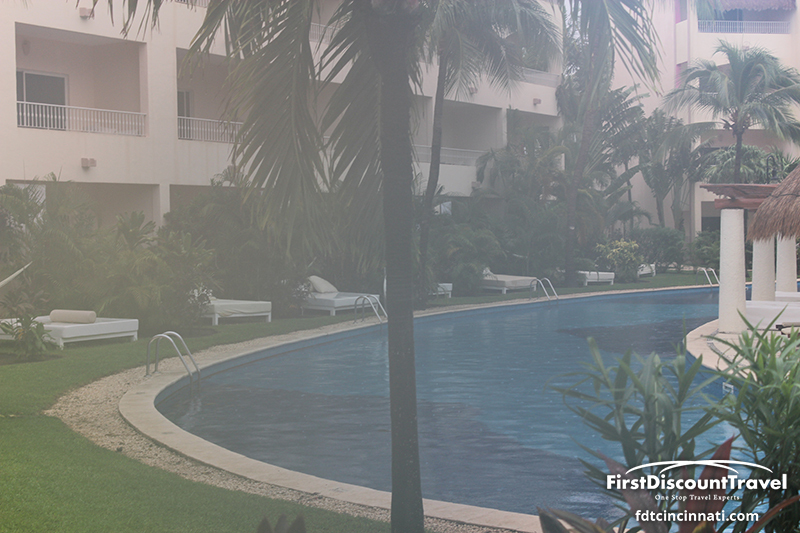 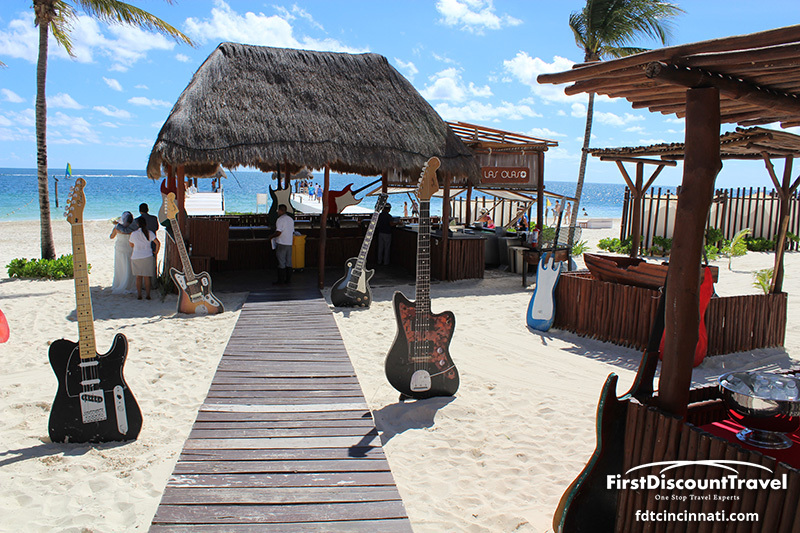 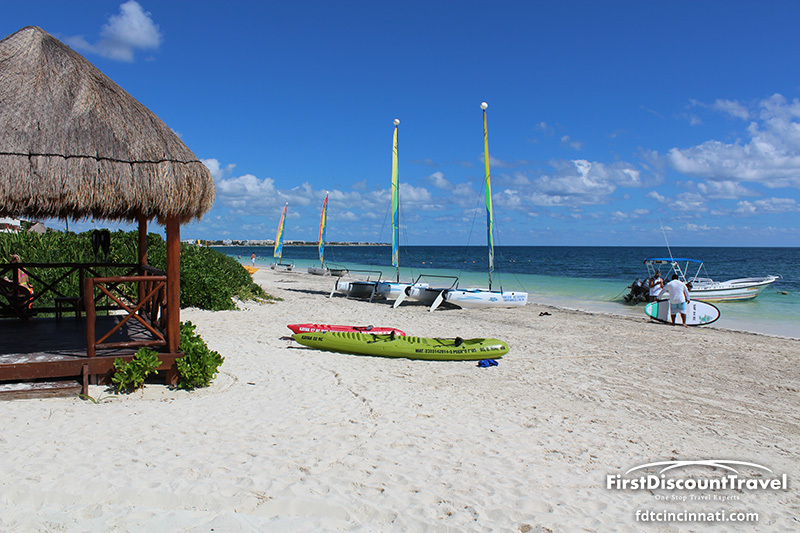 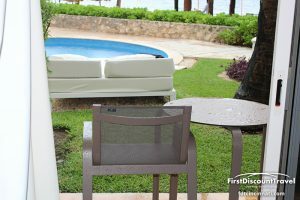 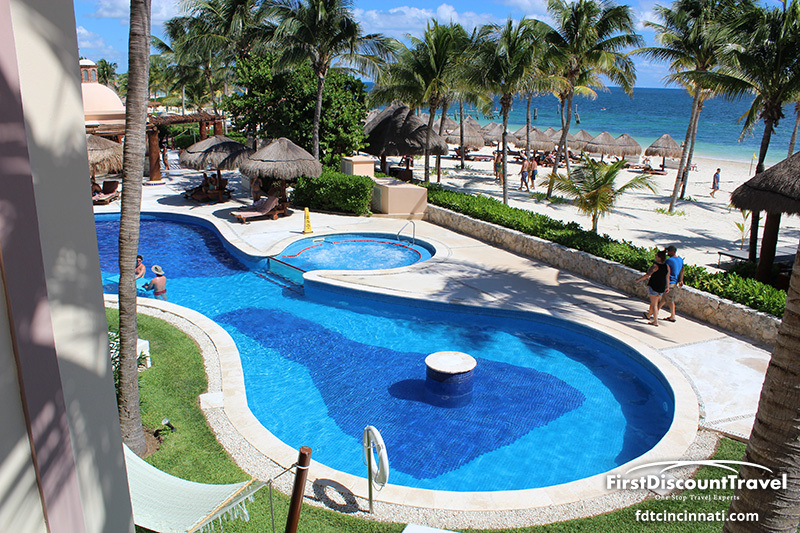 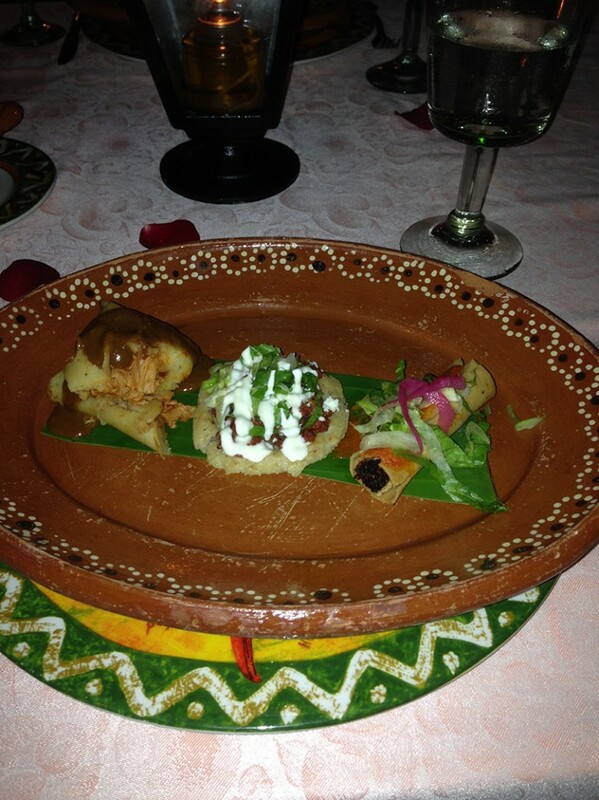 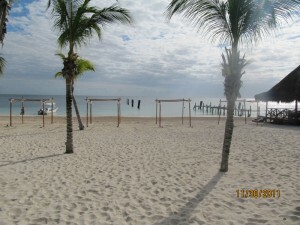 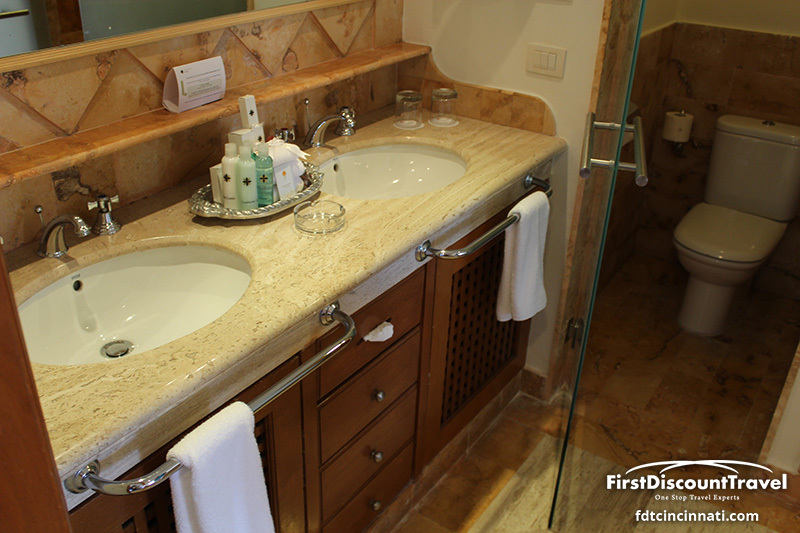 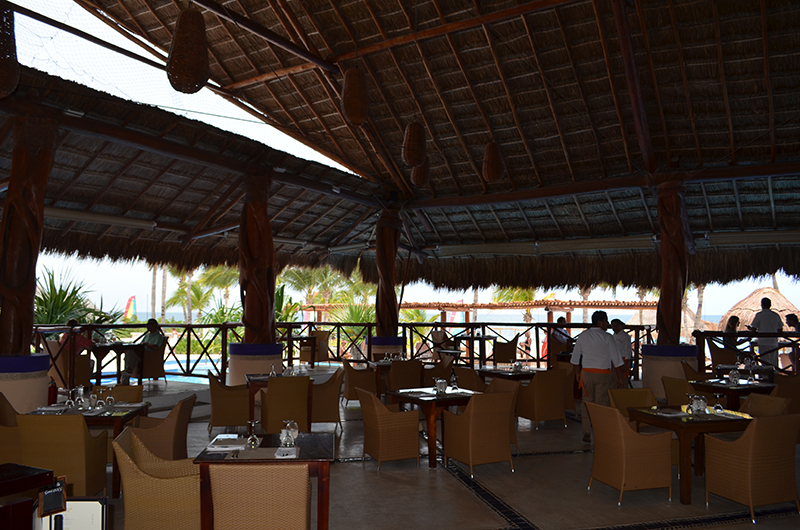 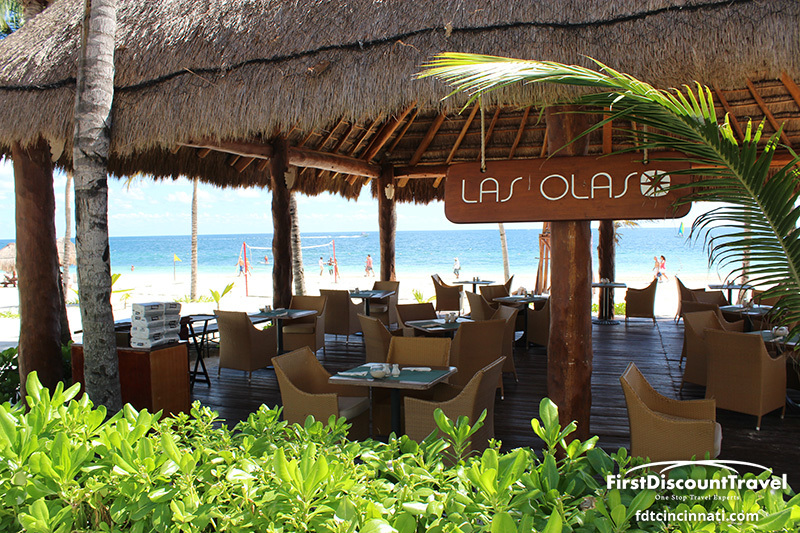 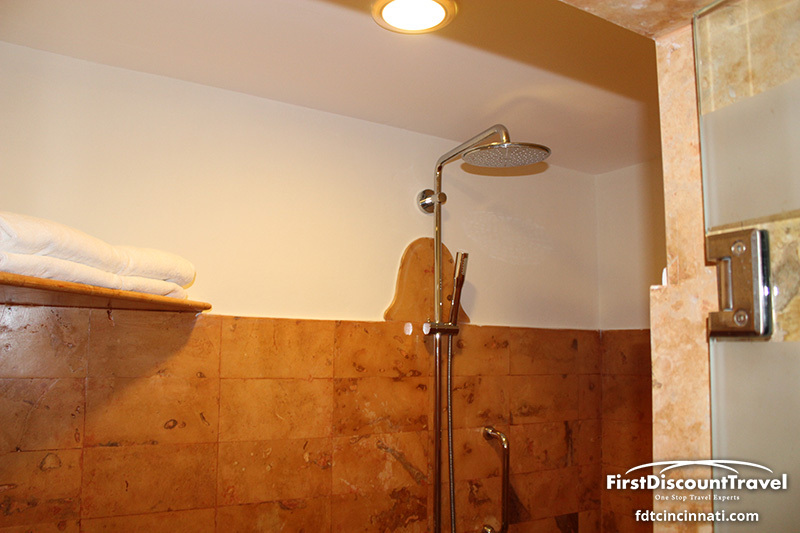 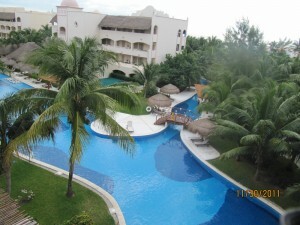 The resort is located in the Riviera Maya, 35 minutes south of the Cancun Airport. 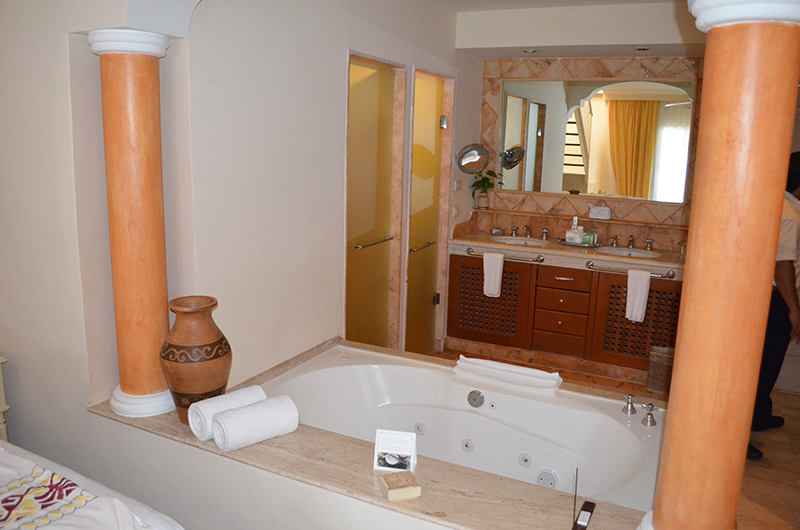 Excellence caters to honeymooners and those looking for a romantic retreat. 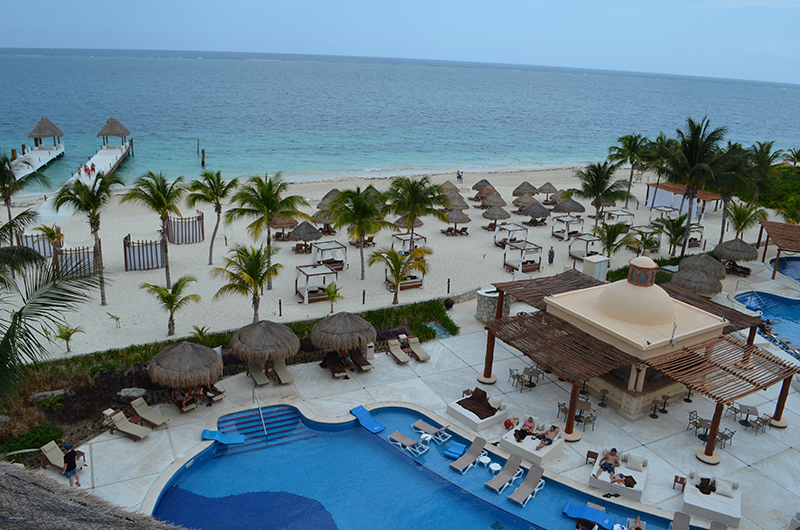 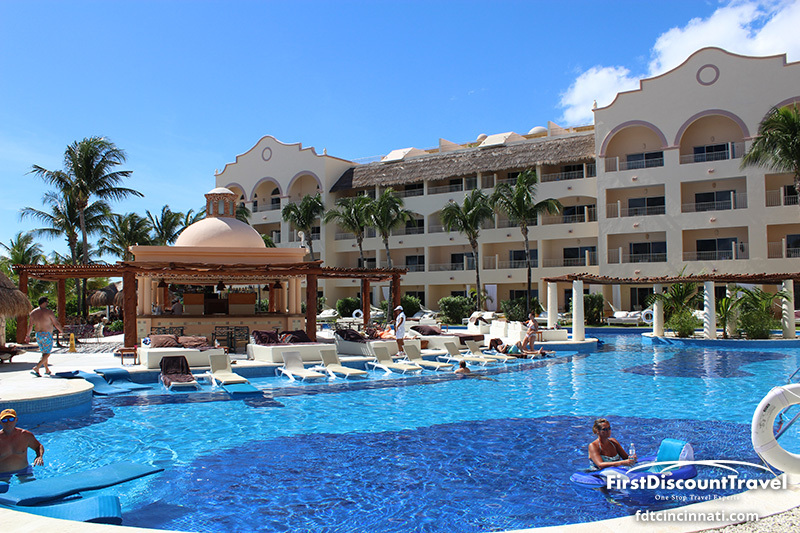 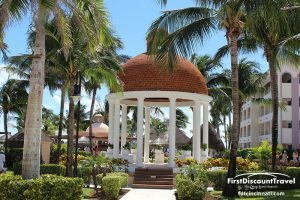 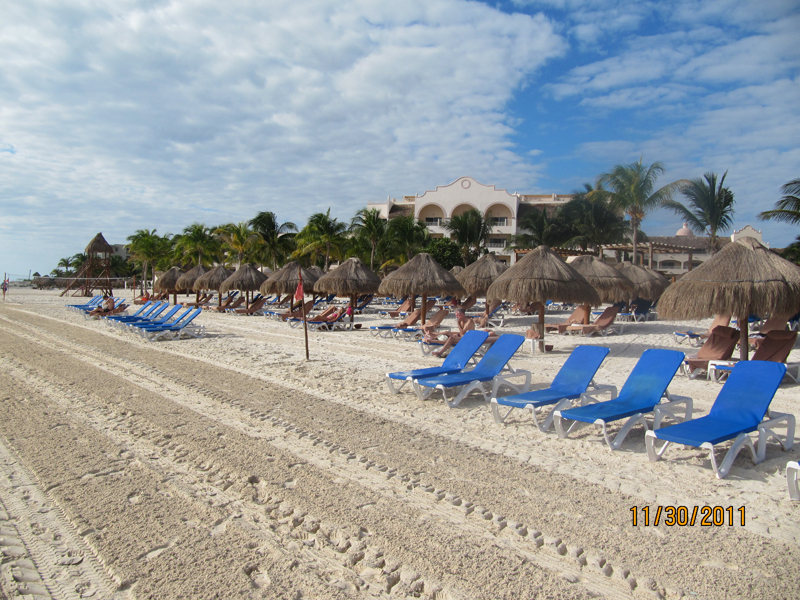 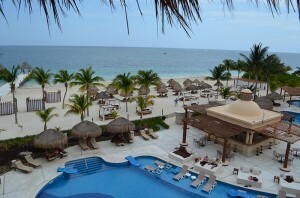 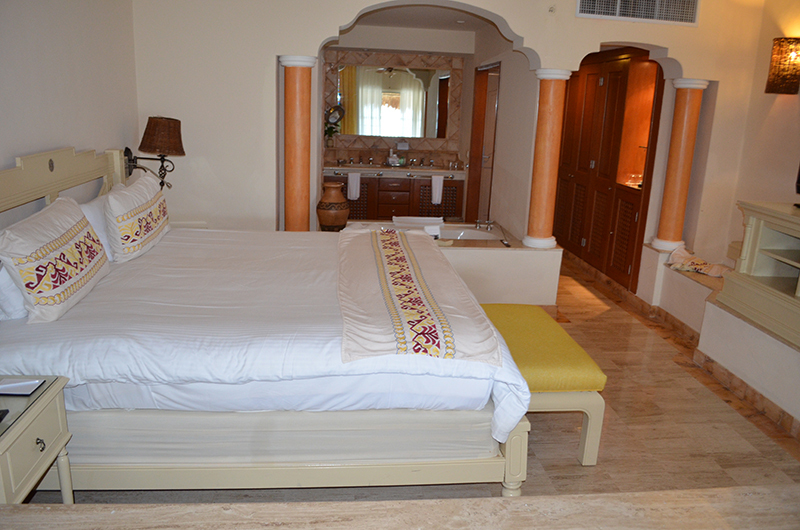 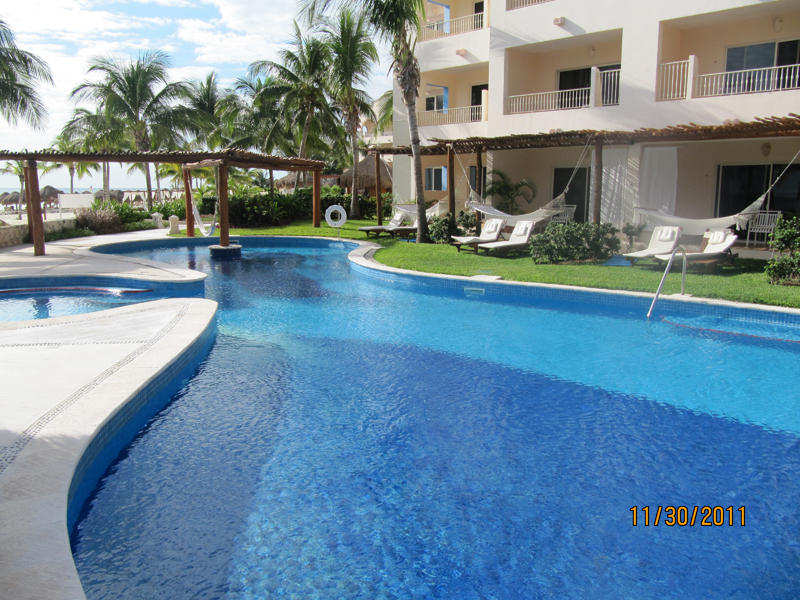 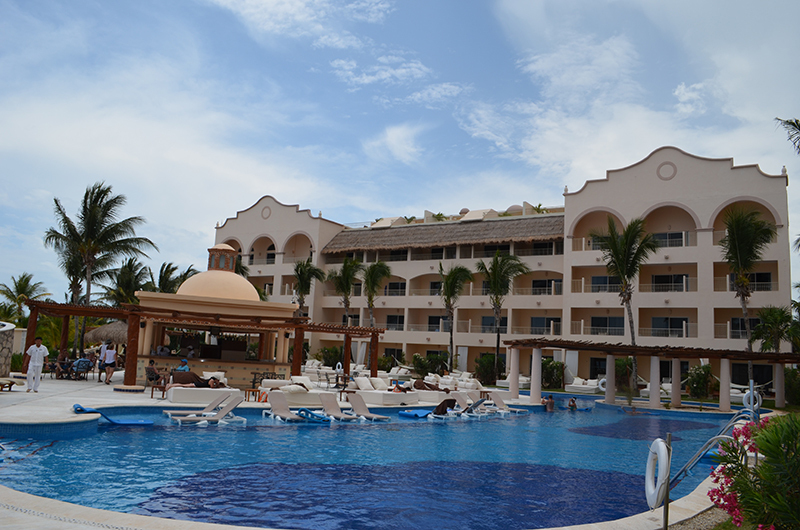 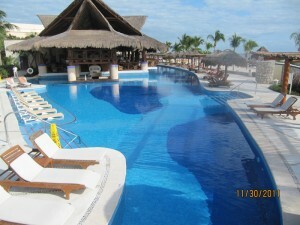 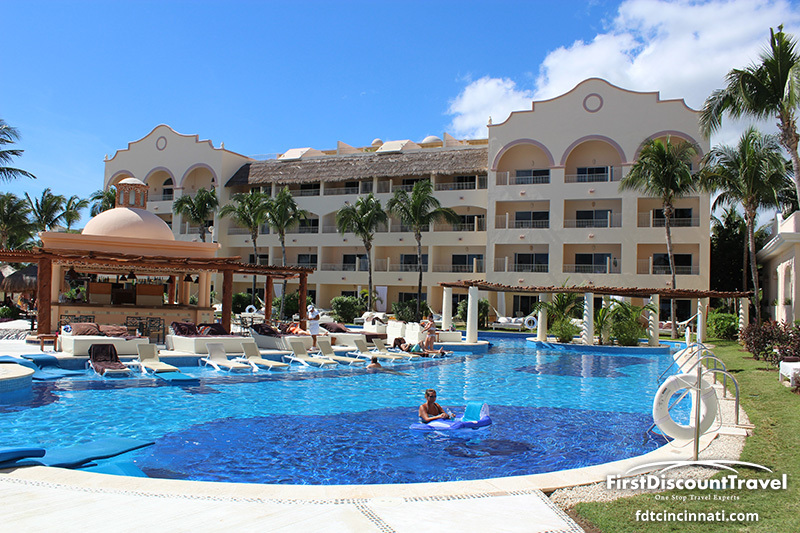 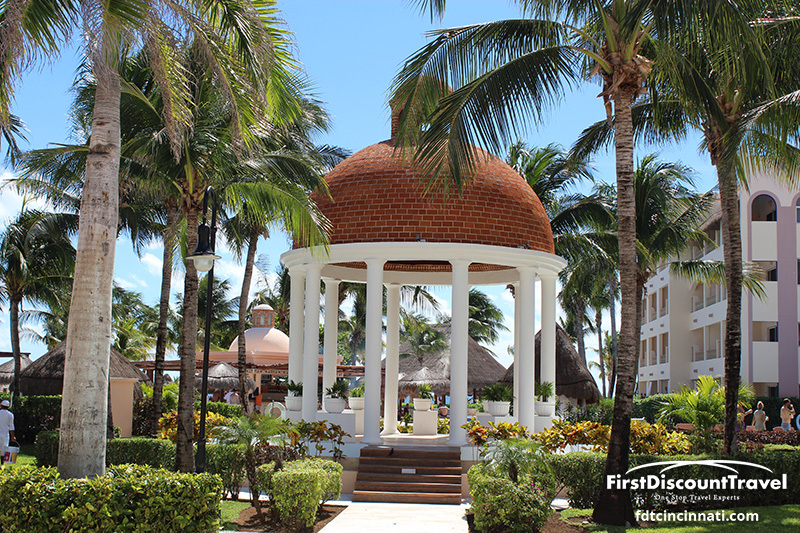 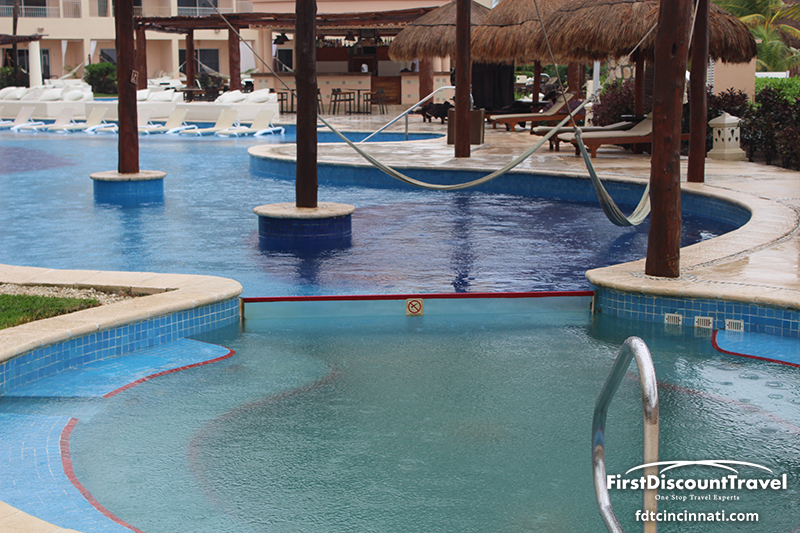 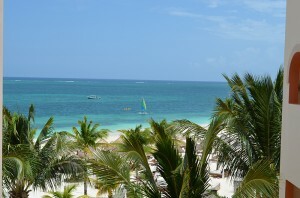 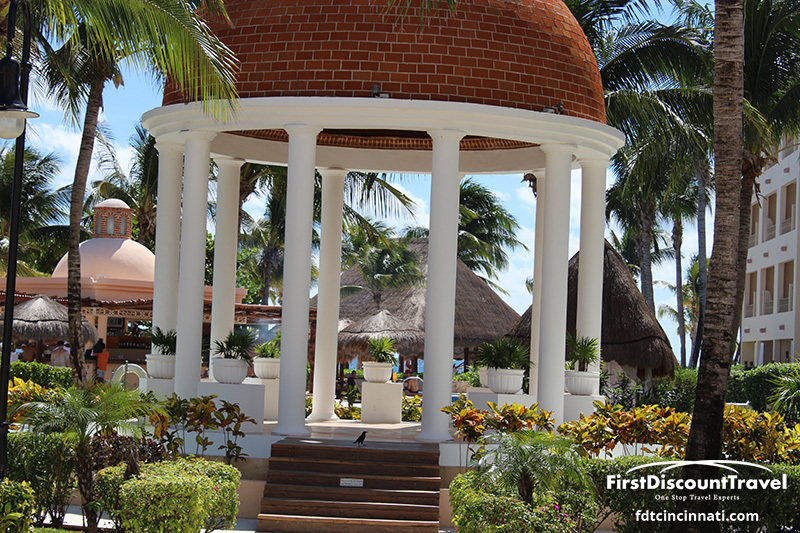 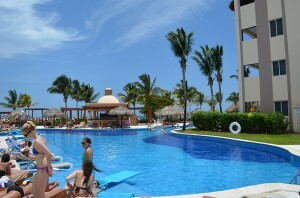 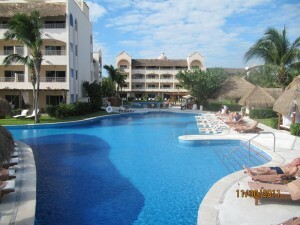 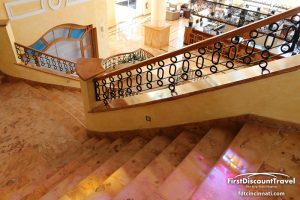 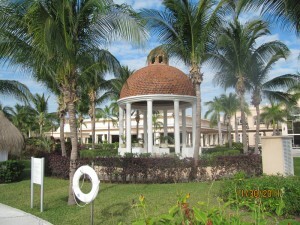 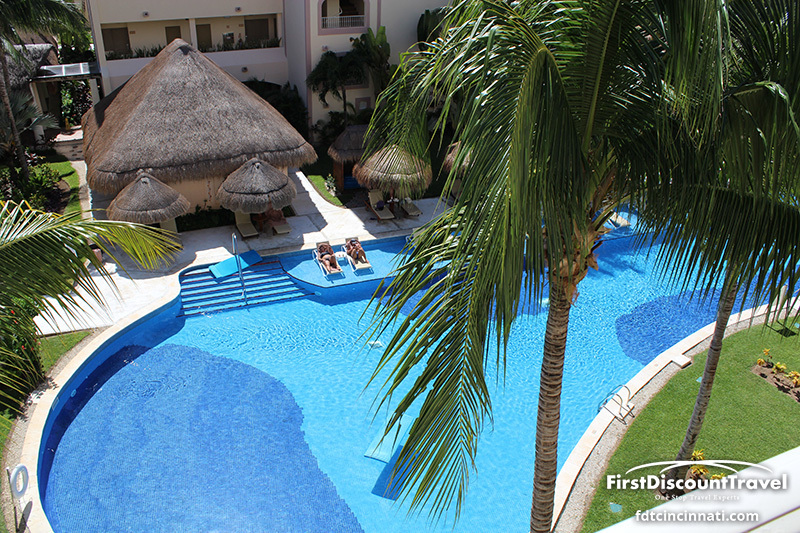 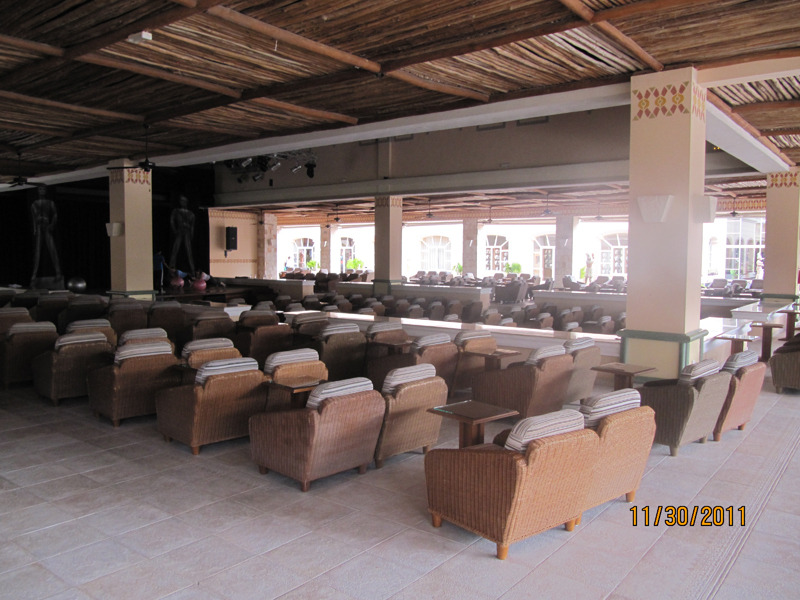 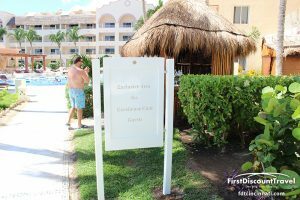 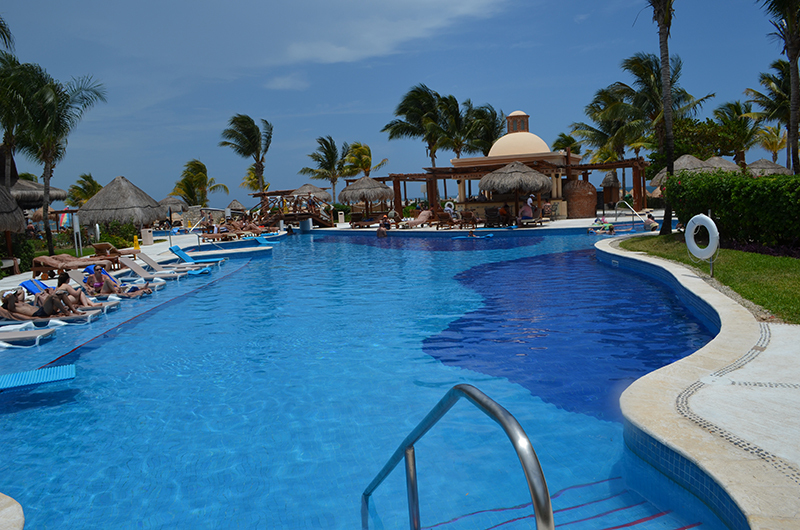 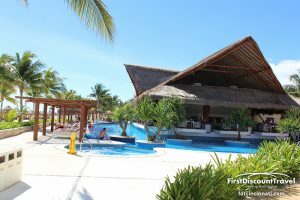 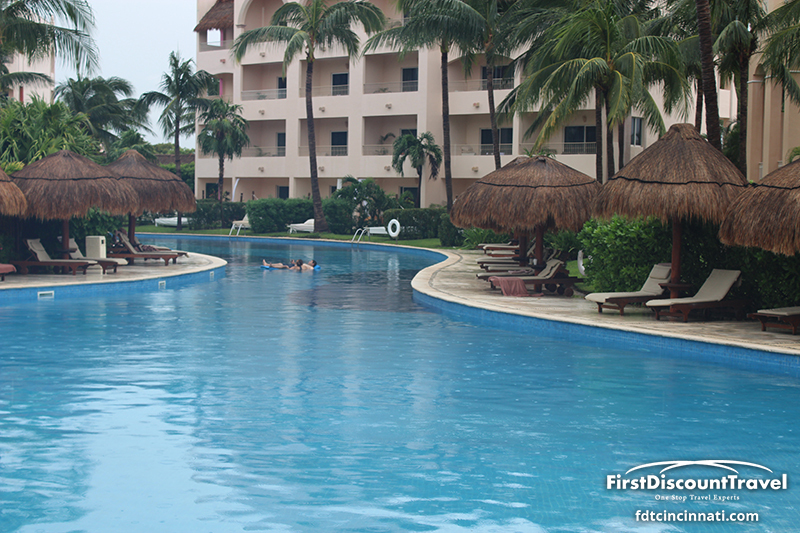 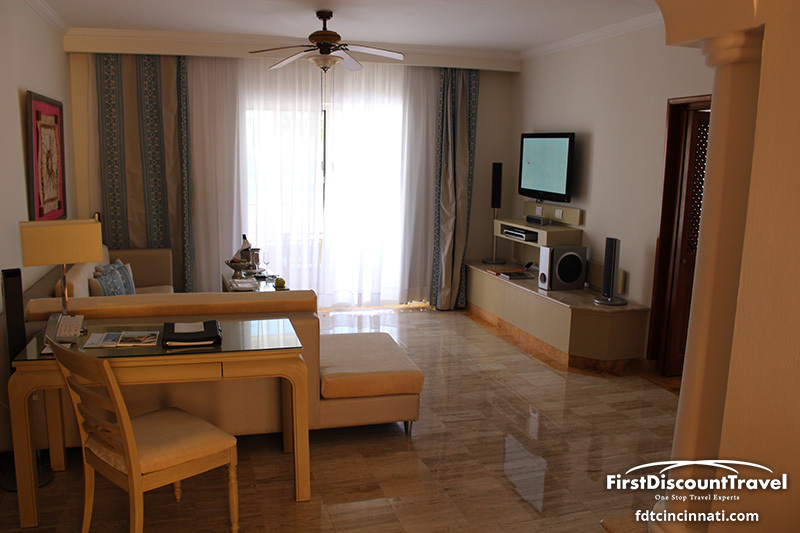 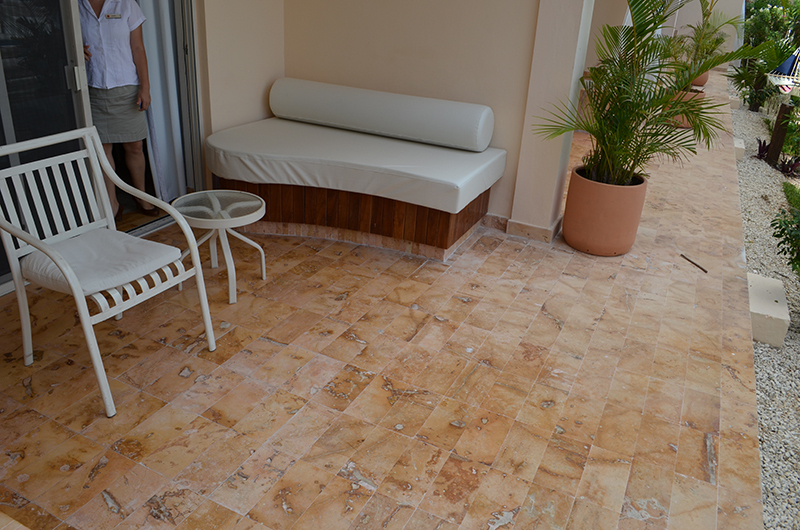 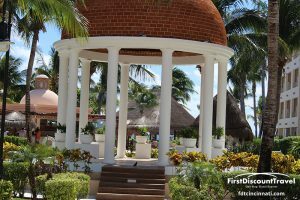 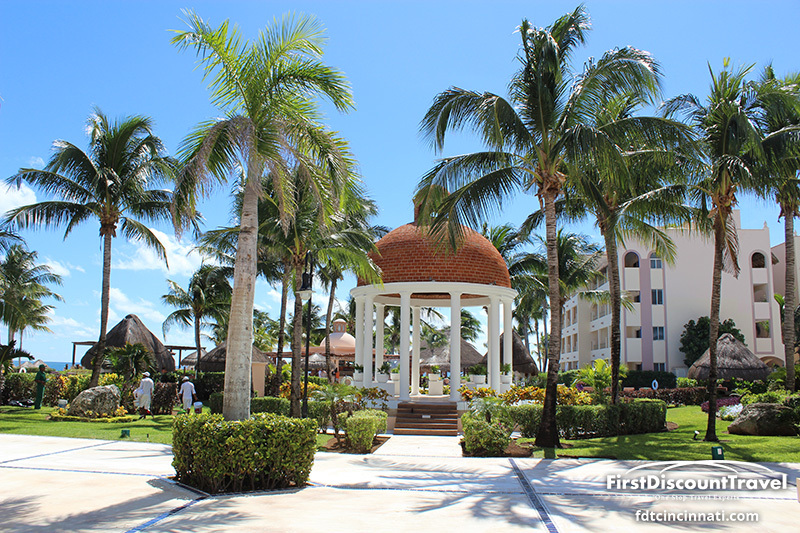 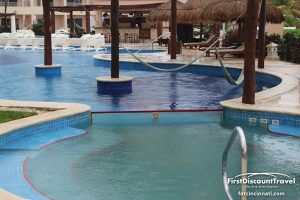 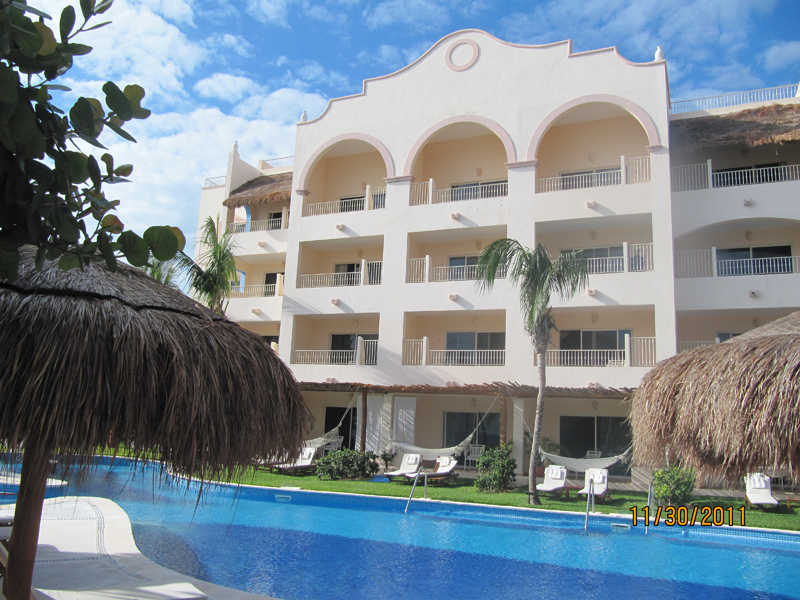 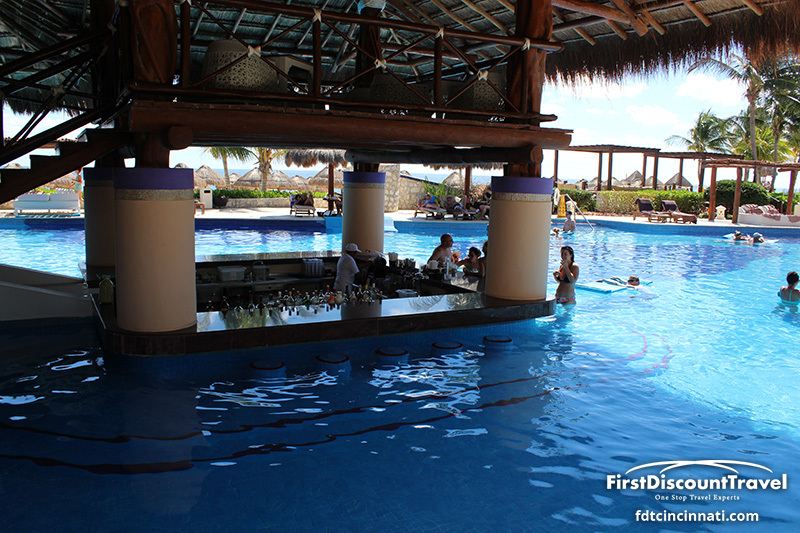 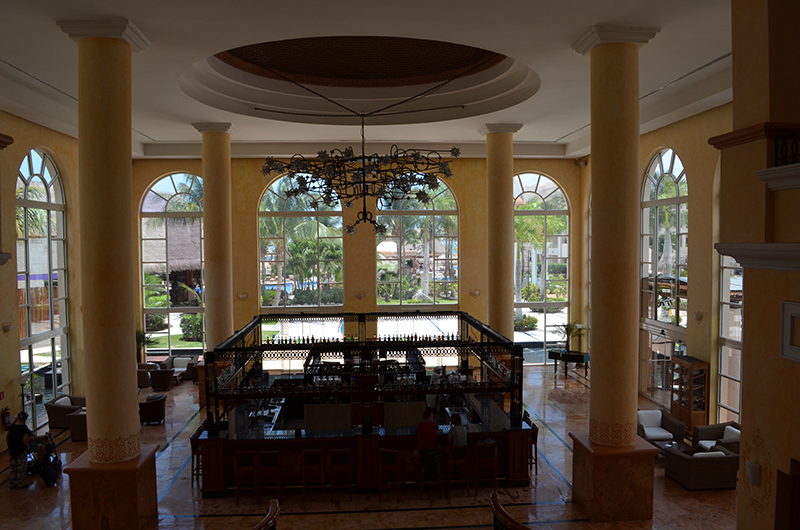 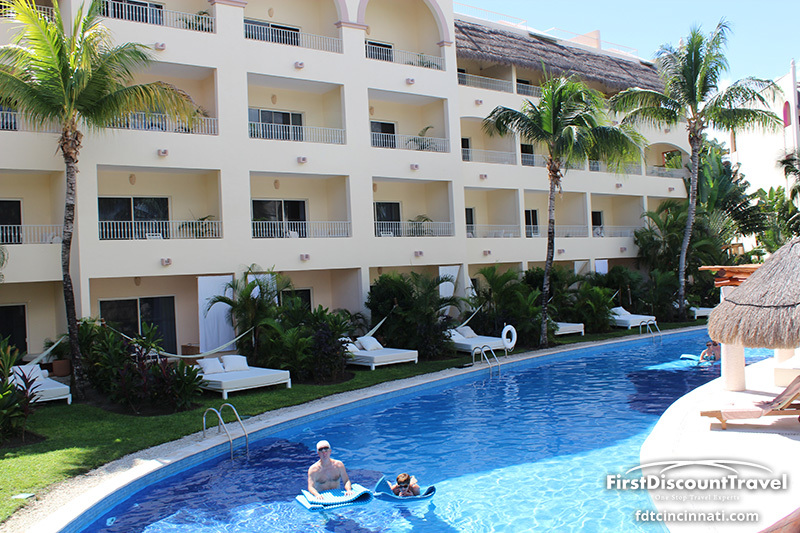 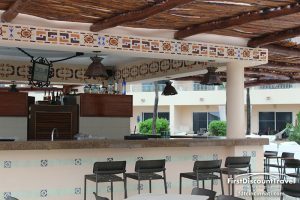 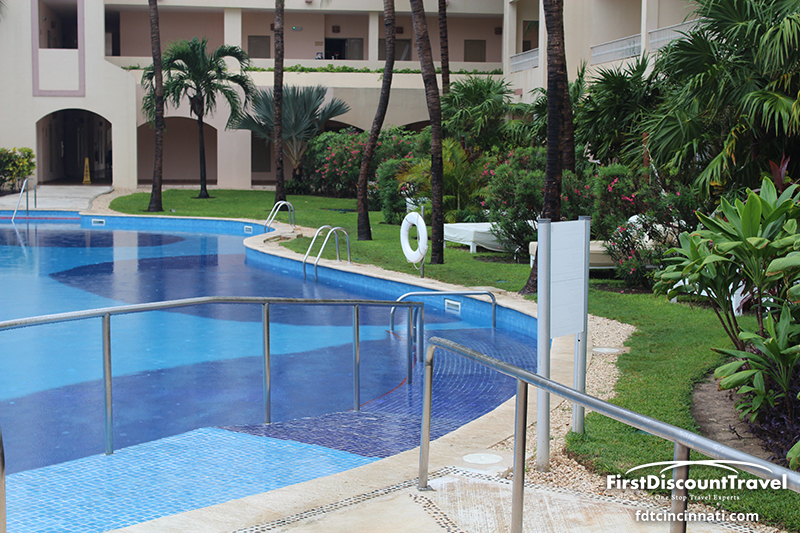 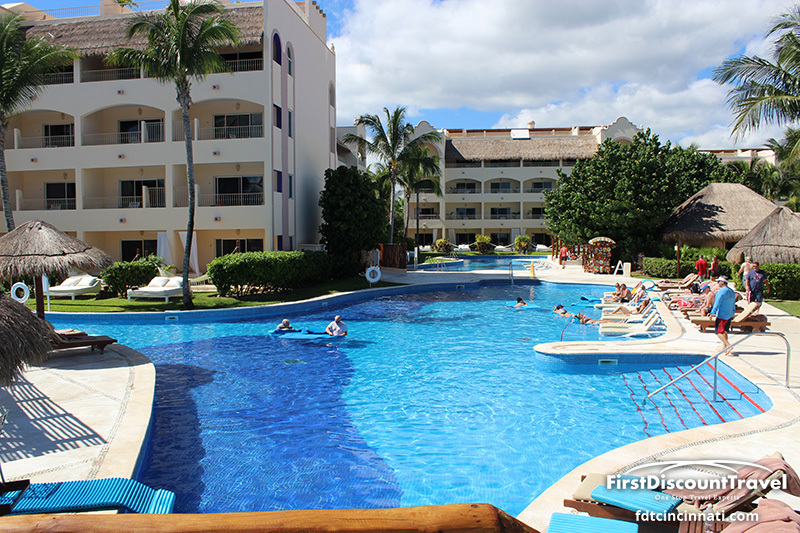 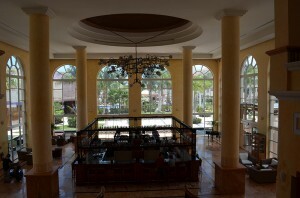 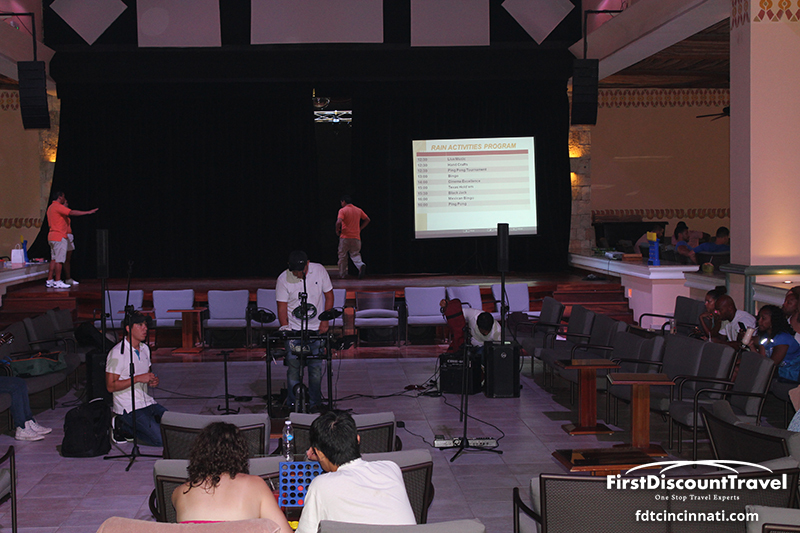 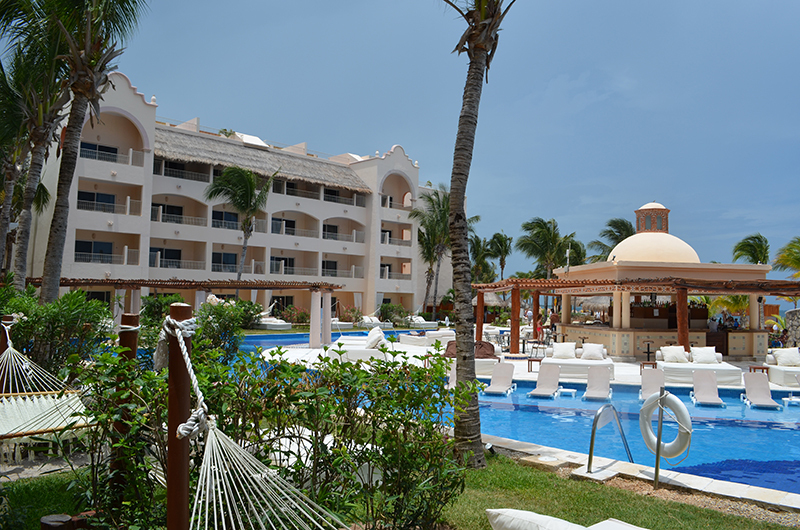 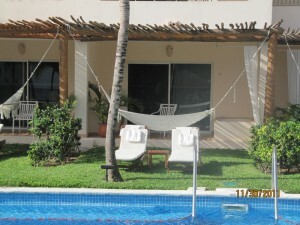 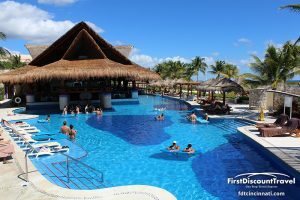 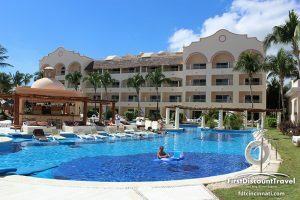 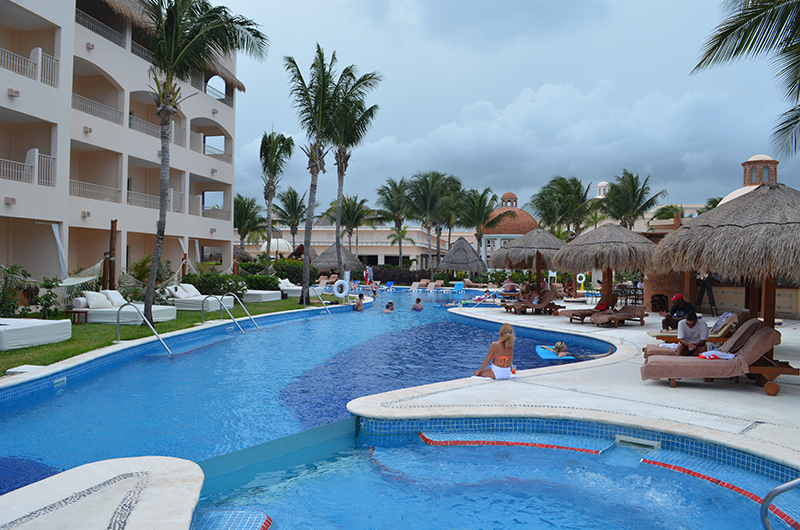 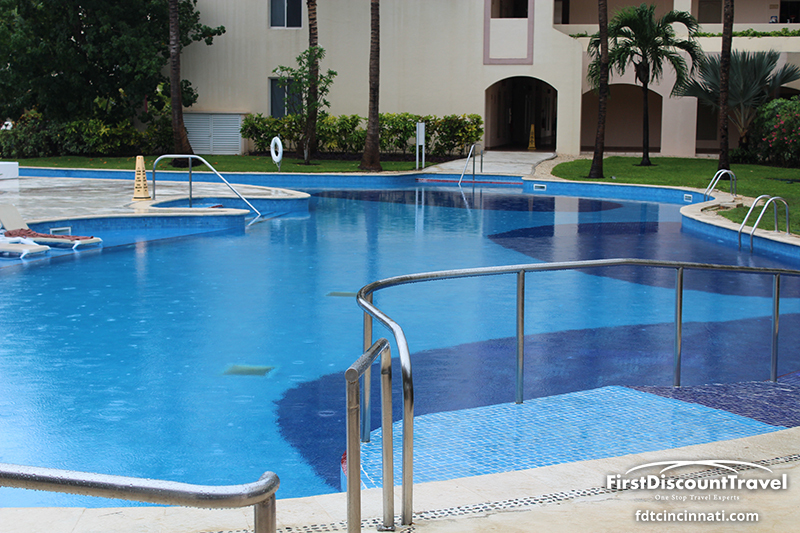 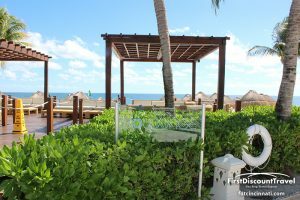 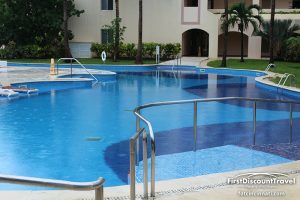 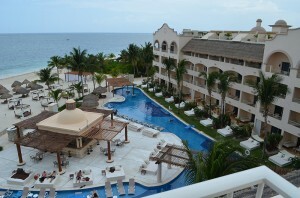 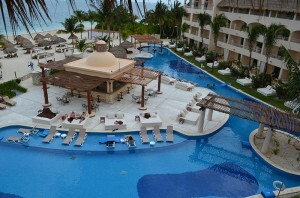 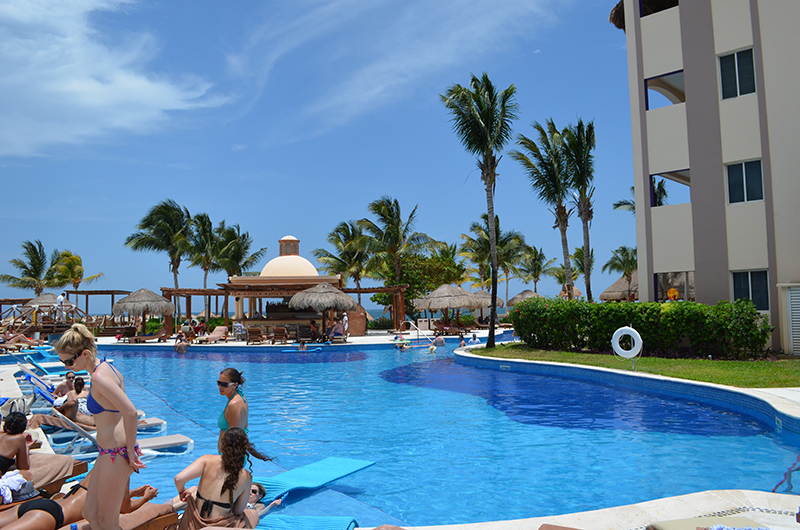 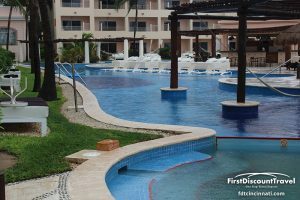 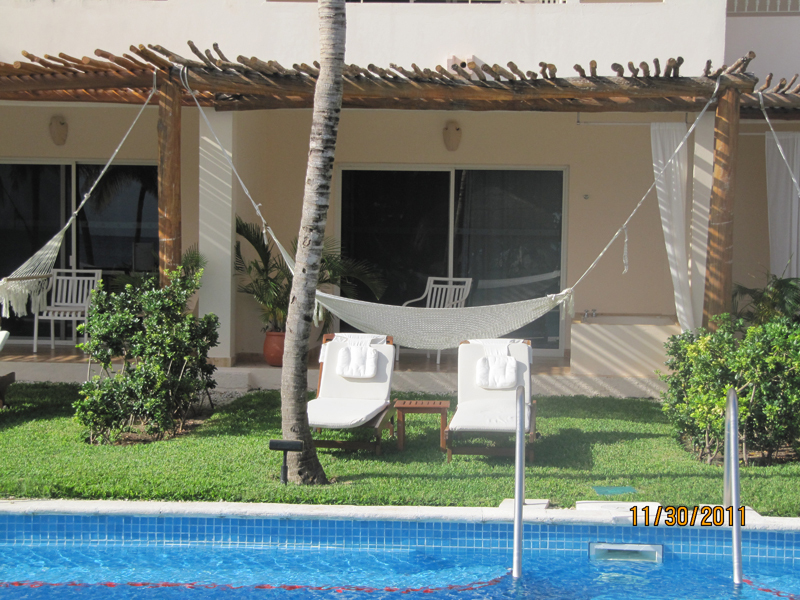 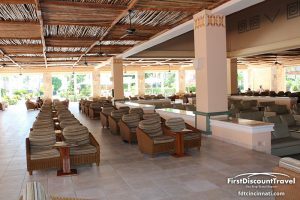 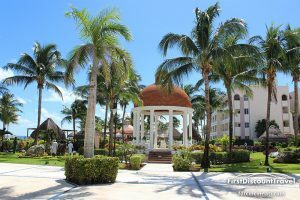 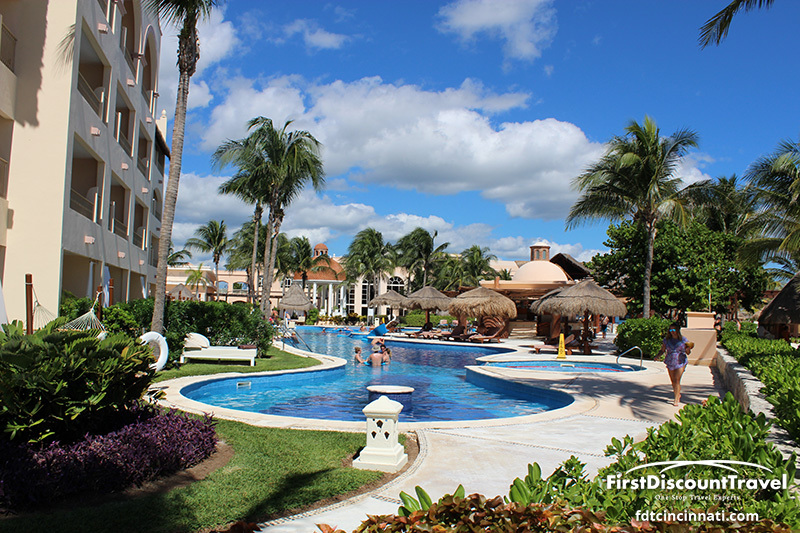 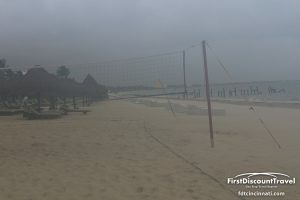 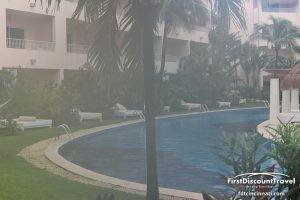 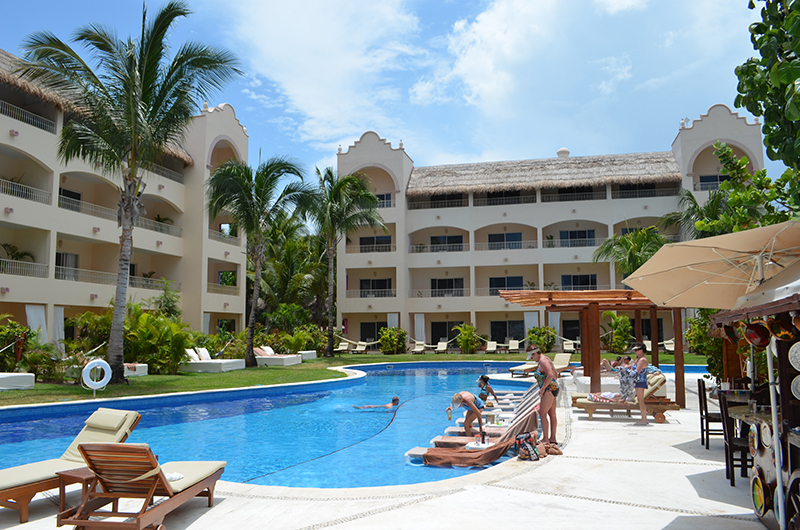 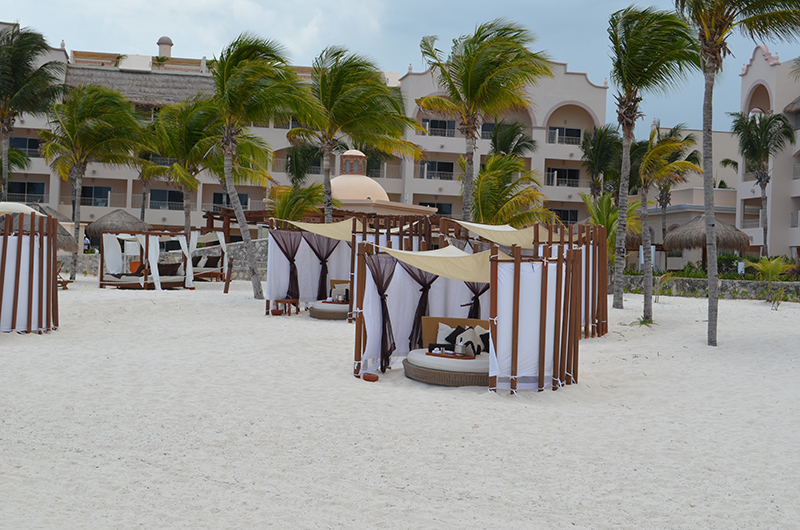 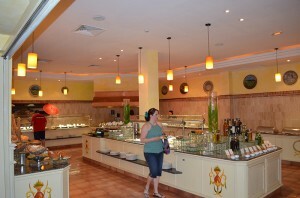 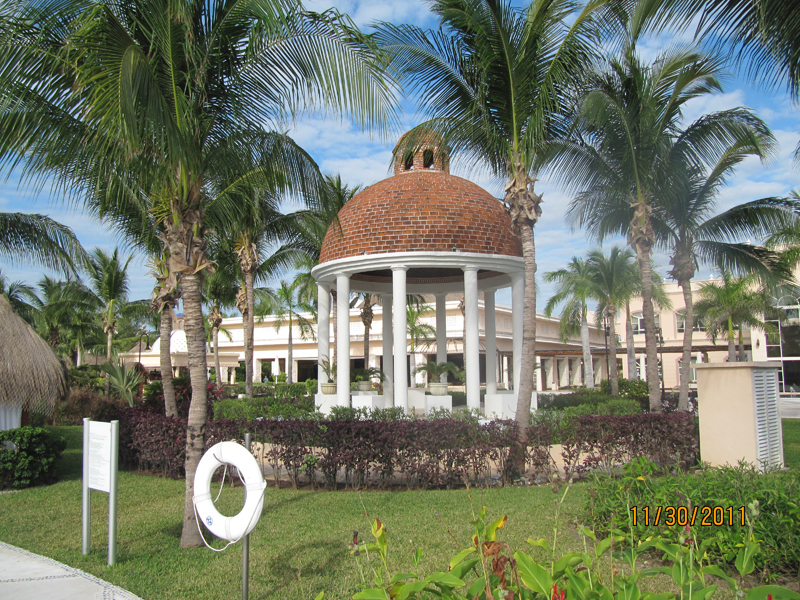 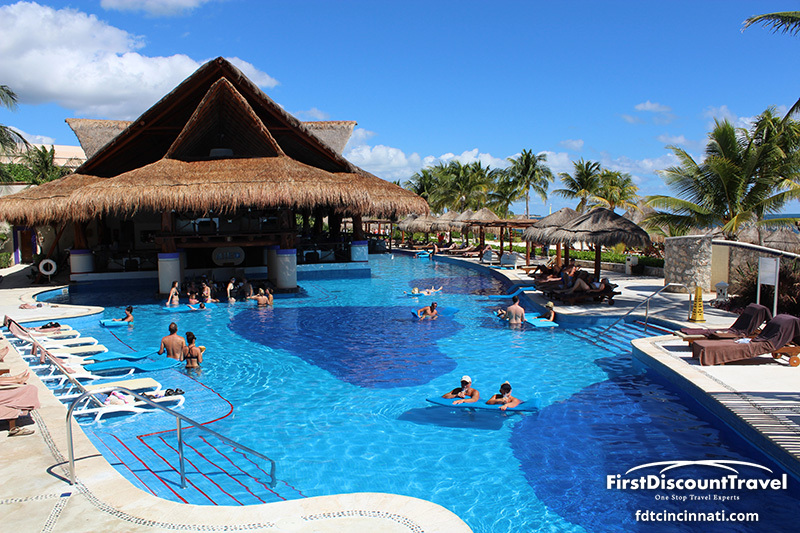 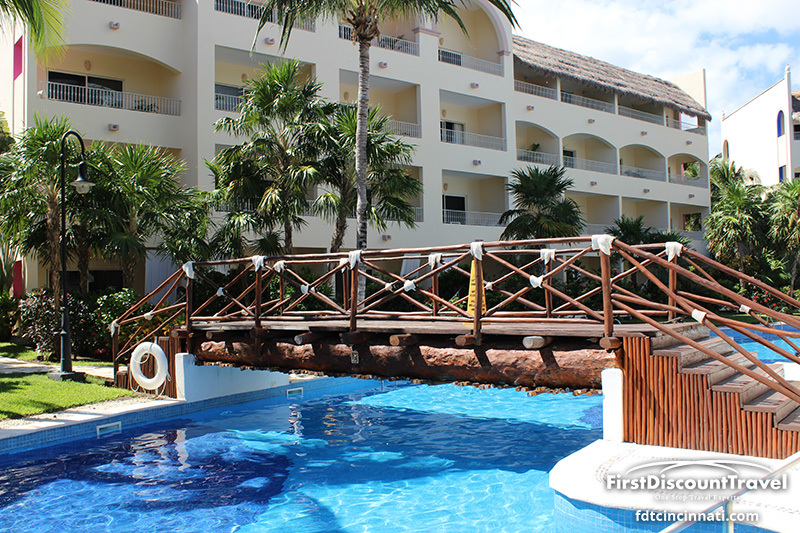 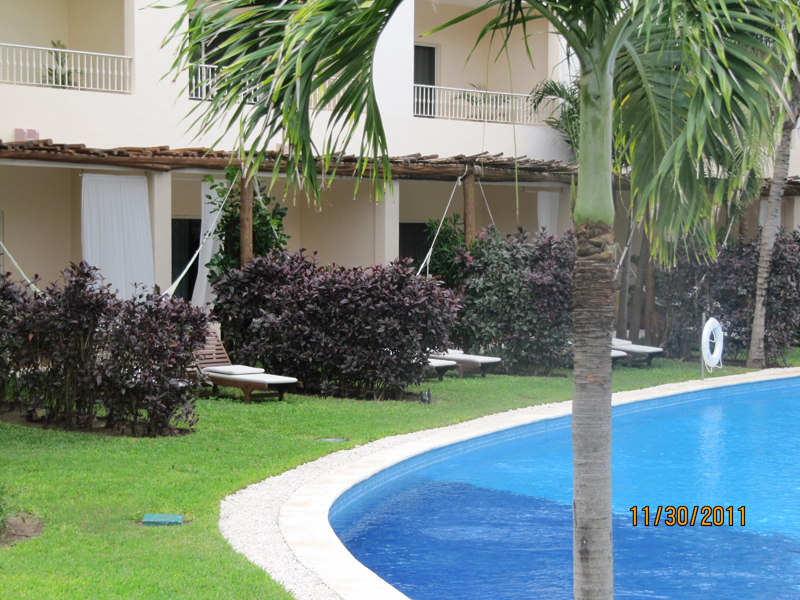 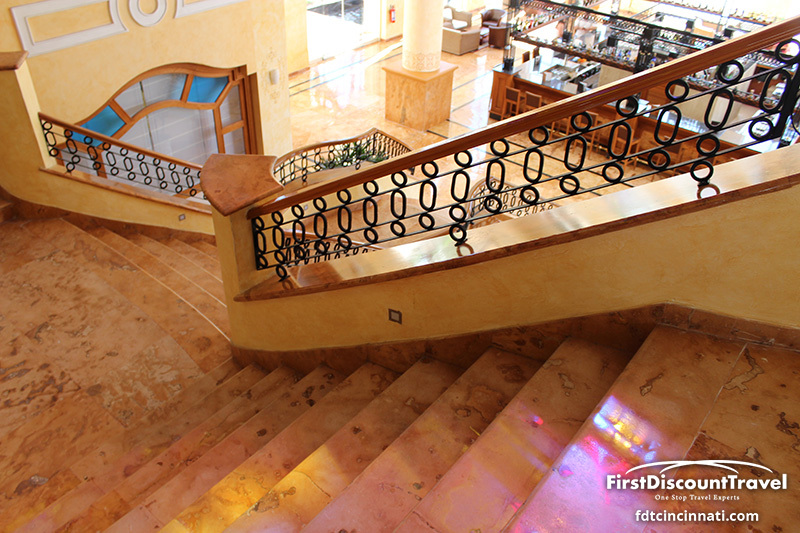 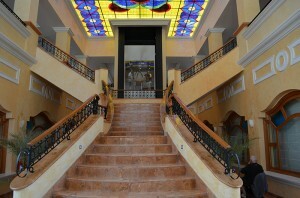 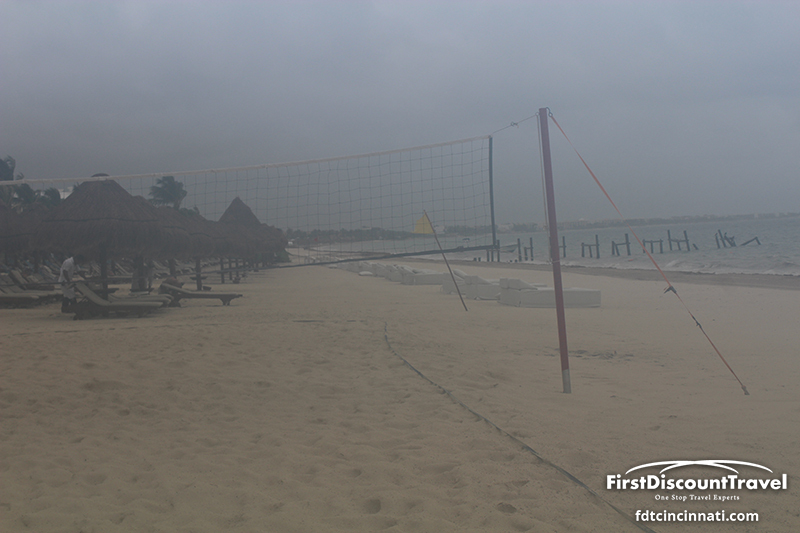 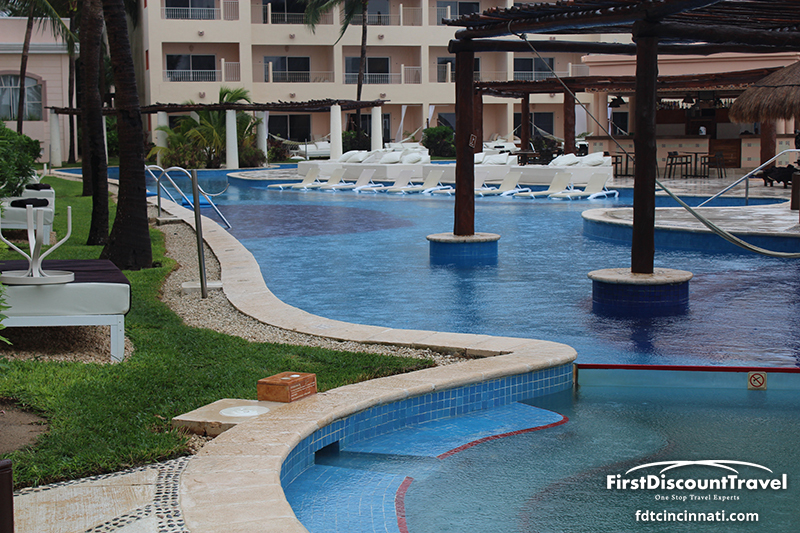 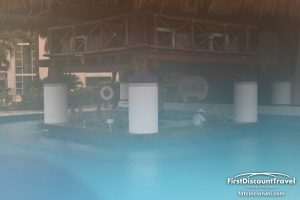 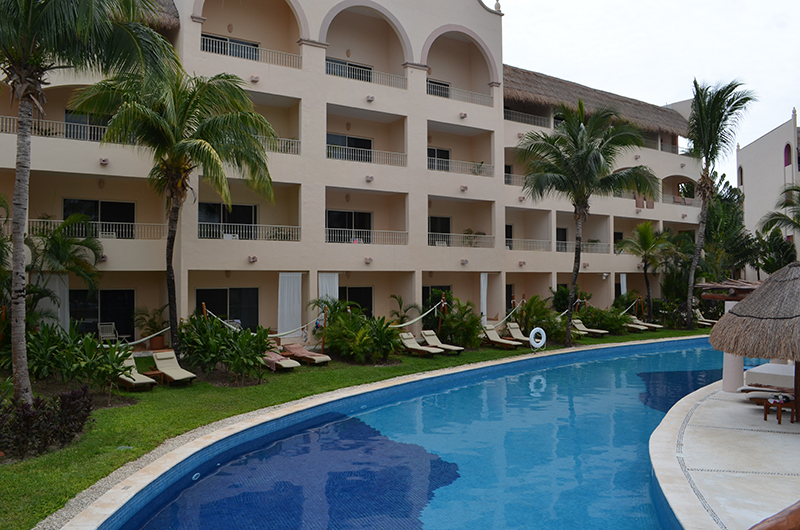 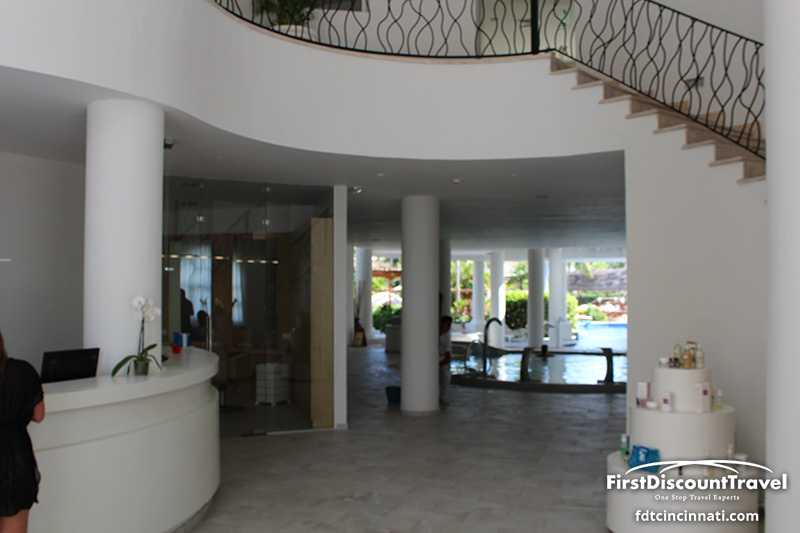 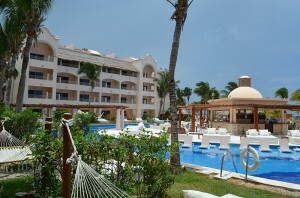 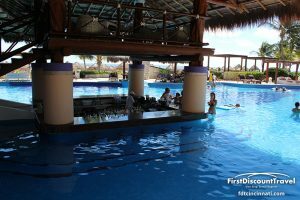 The resort is located next to the Now Sapphire and Dreams Riviera Cancun. 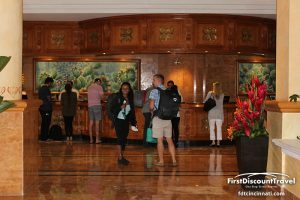 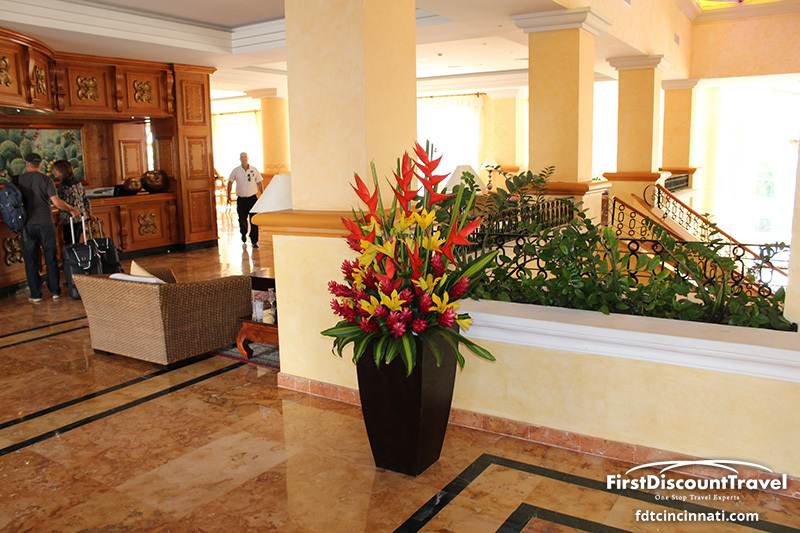 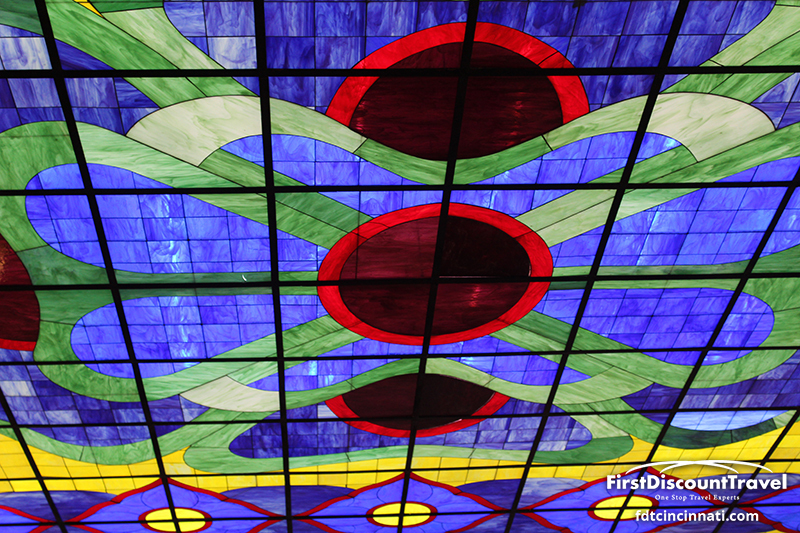 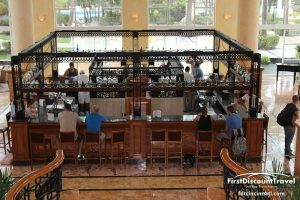 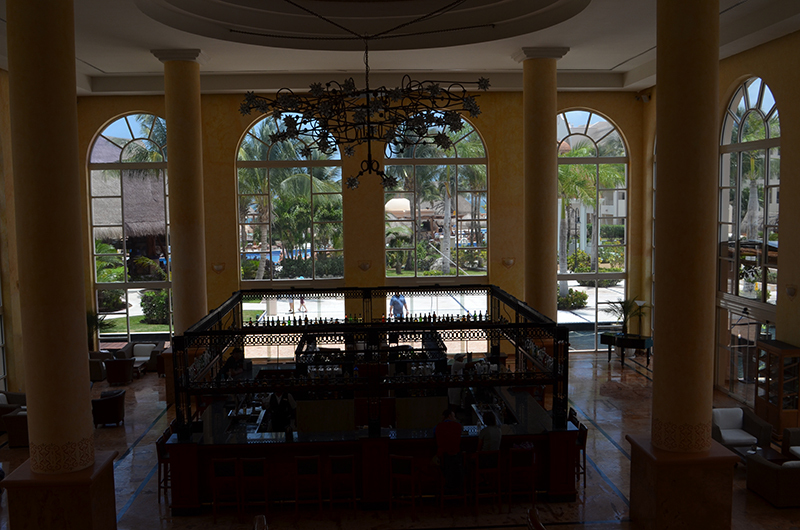 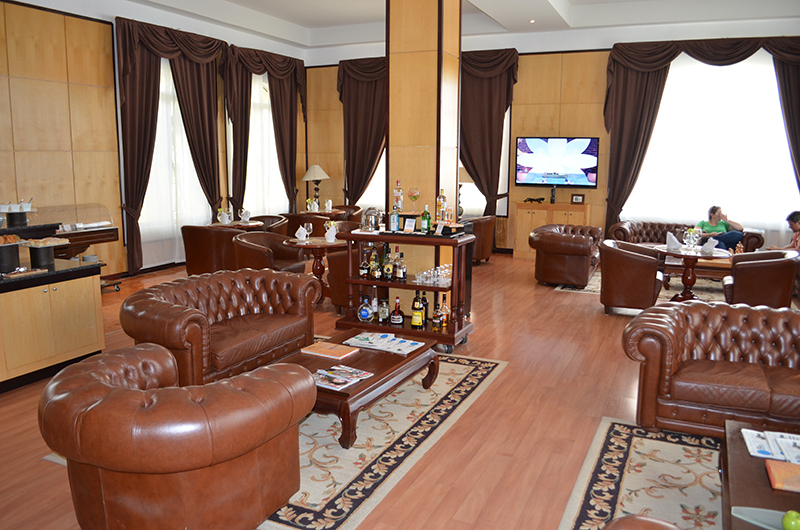 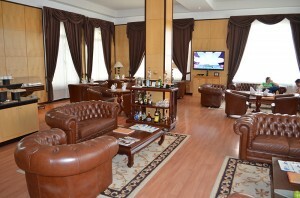 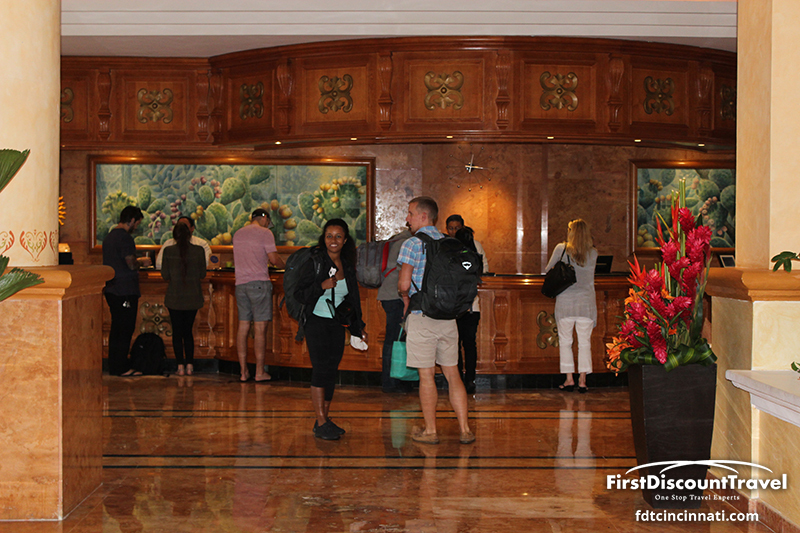 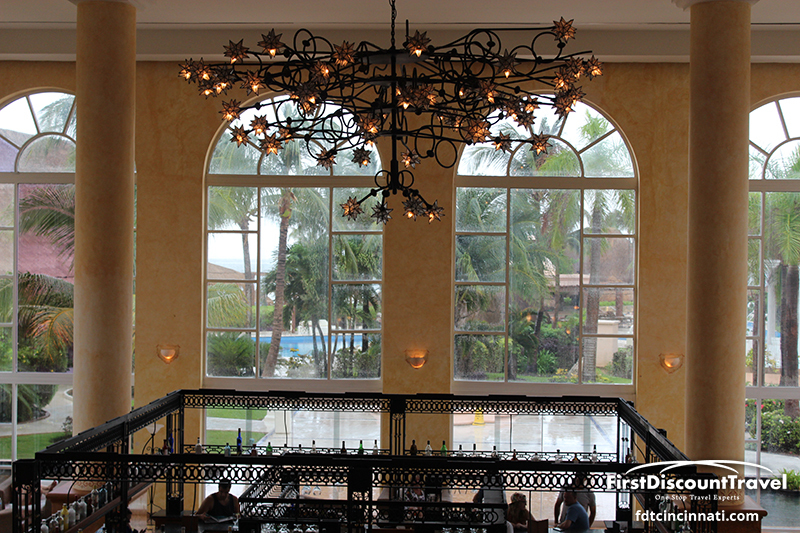 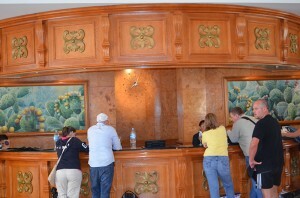 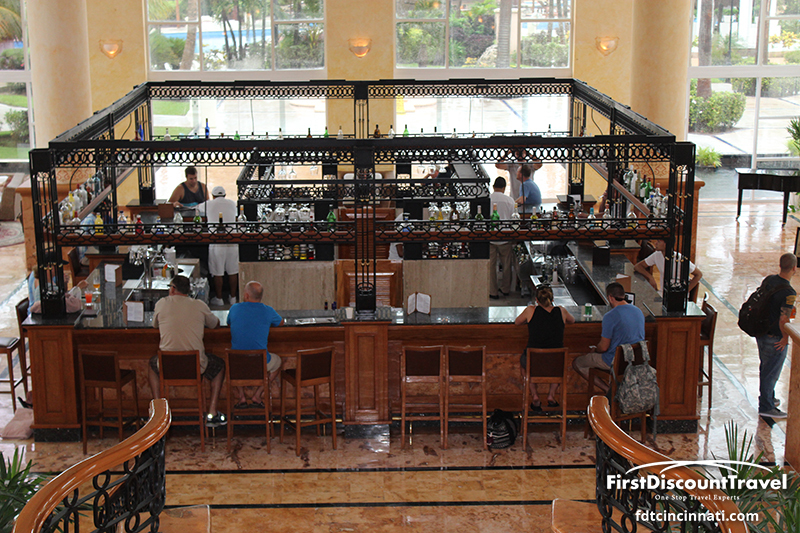 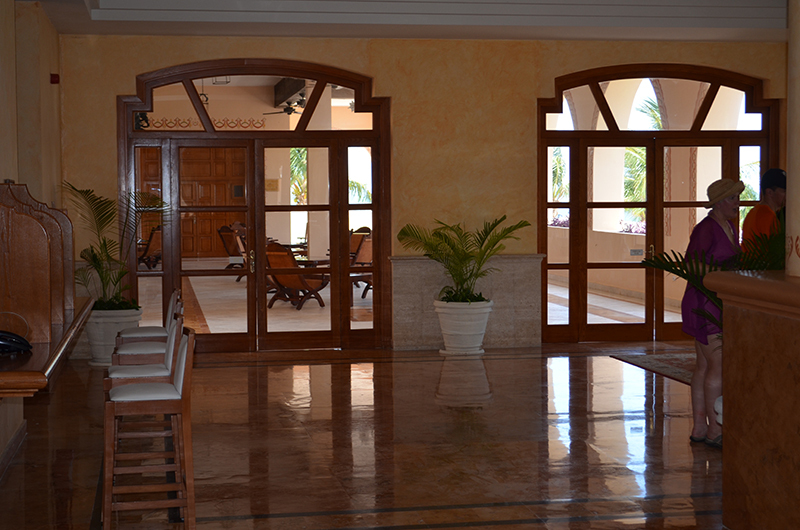 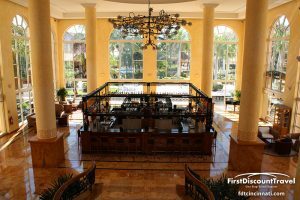 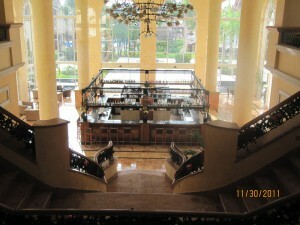 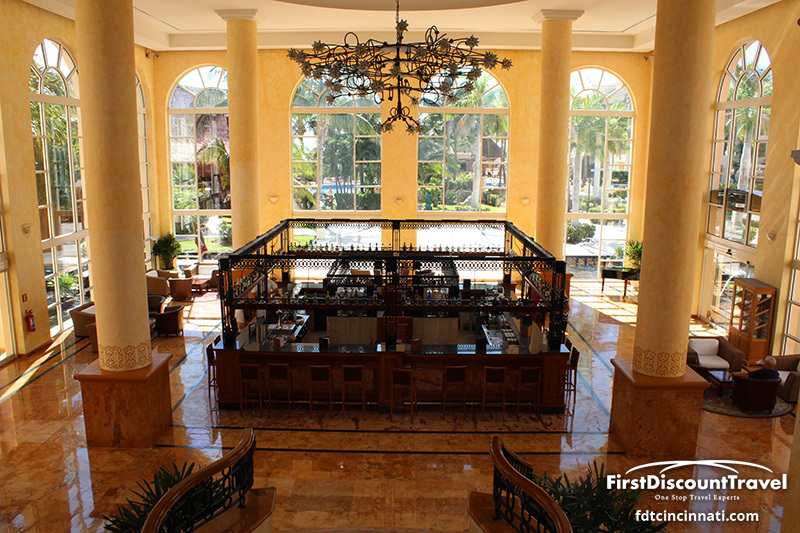 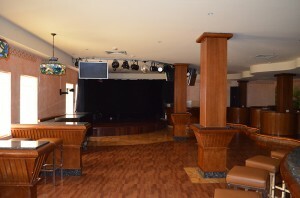 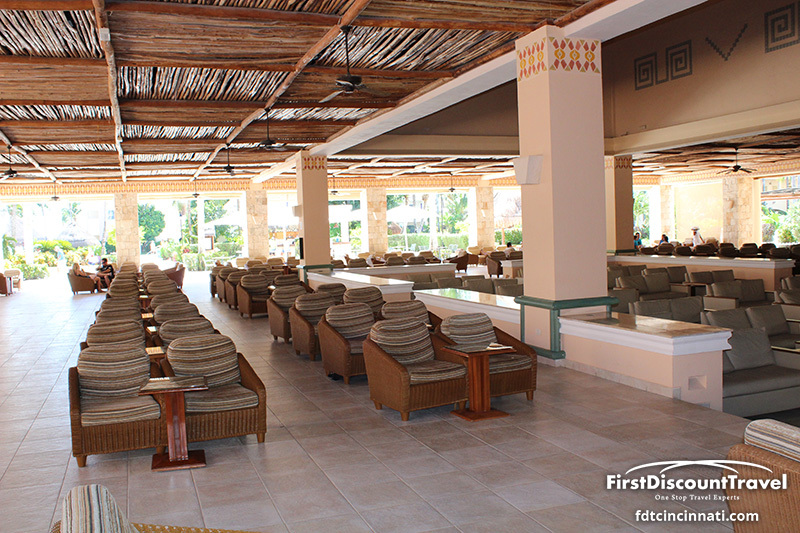 The lobby is beautiful with a social lobby bar stocked with top shelf liquor and American Beer (Bud and Bud Light). 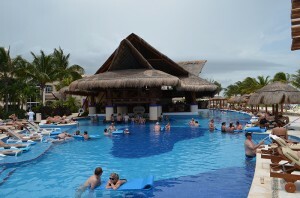 The resort is adult only (18 years or older). 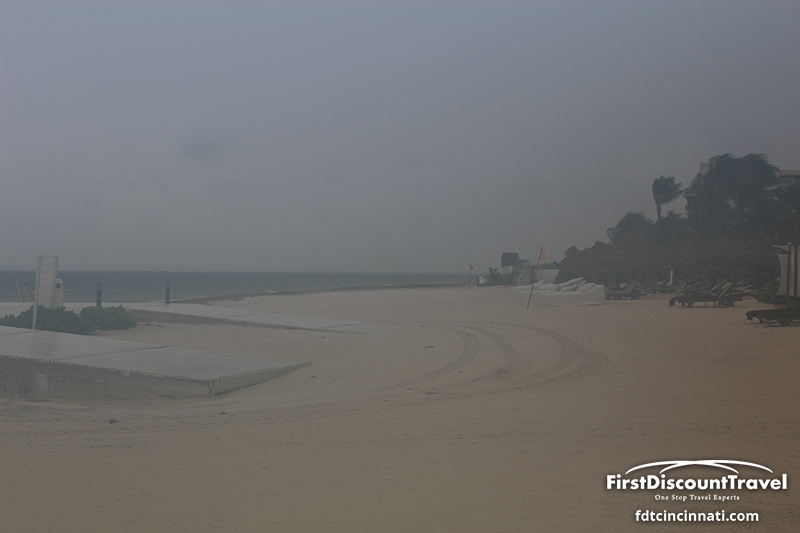 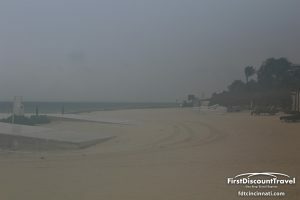 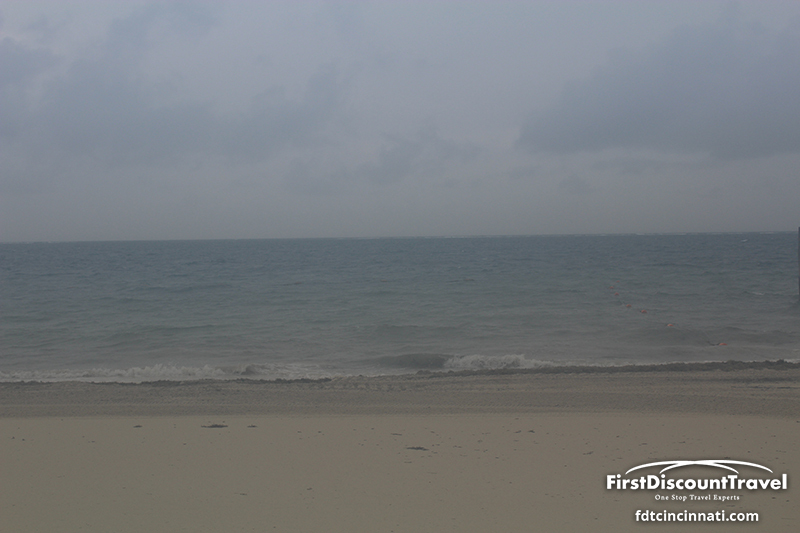 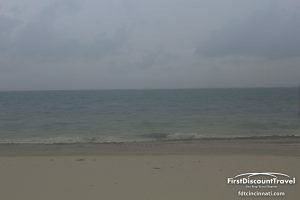 The pool areas are amazing and the beach is walkable, however, the beach can have a seaweed concern. 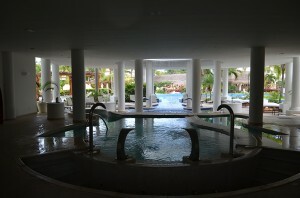 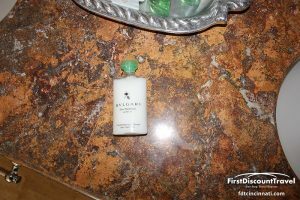 The spa is World Class! The resort also has a very nice fitness center. 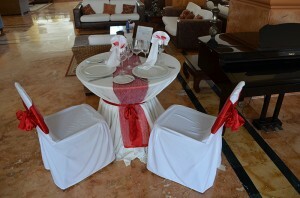 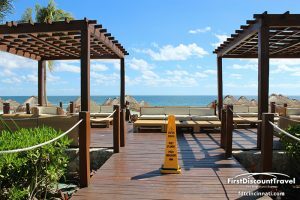 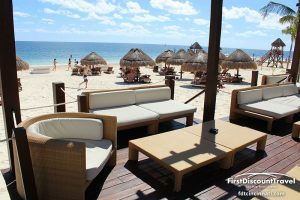 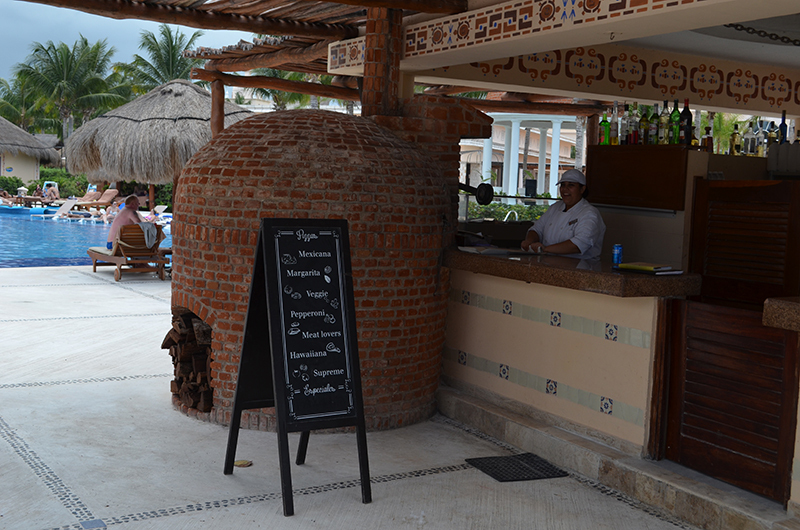 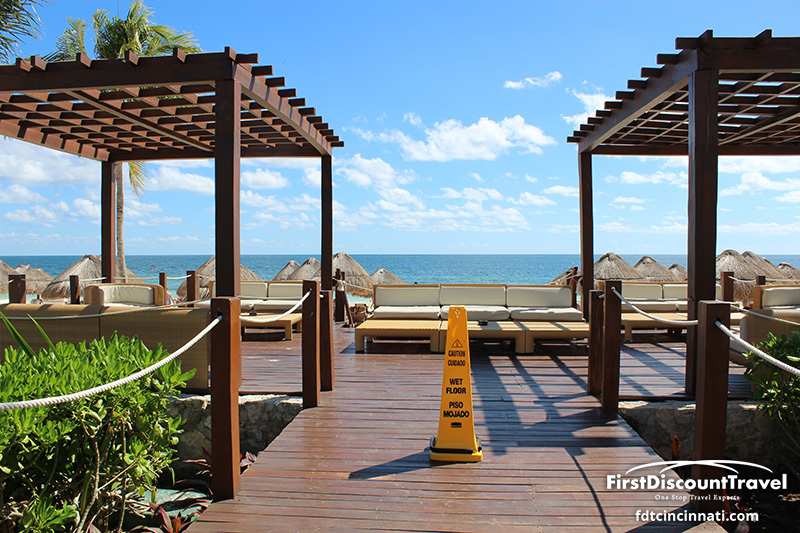 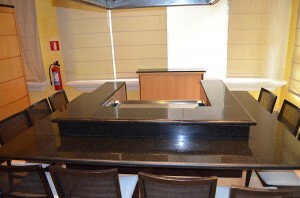 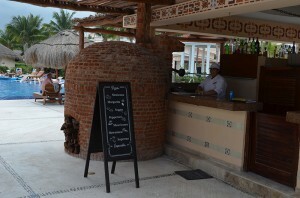 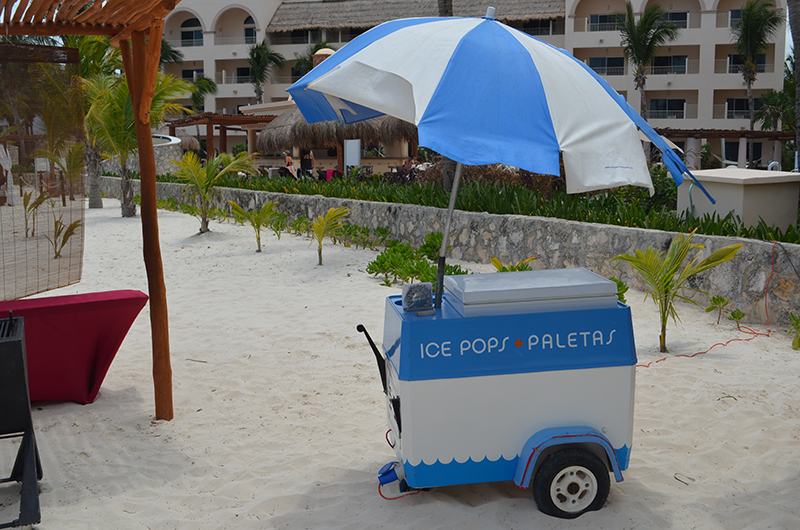 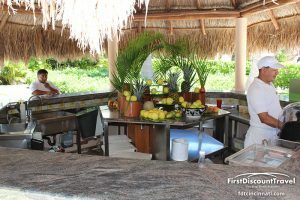 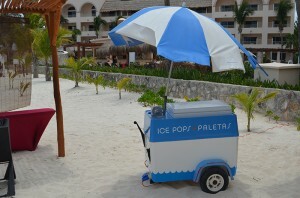 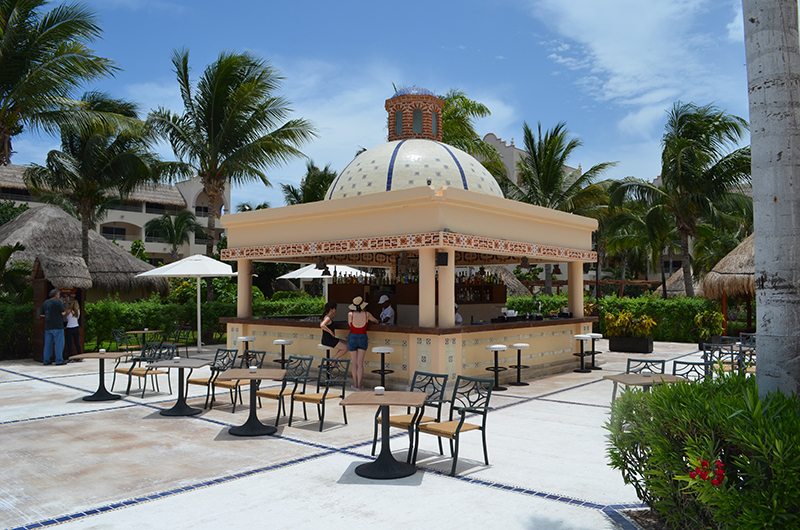 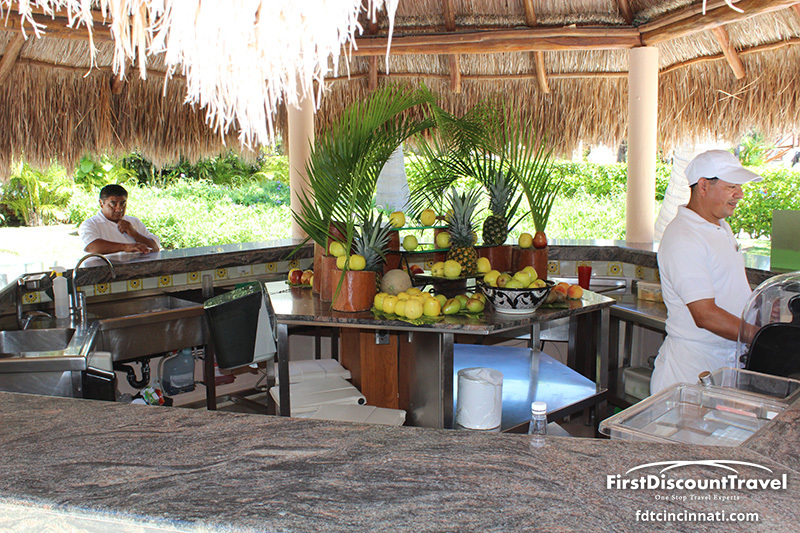 Excellence Riviera Cancun offers beach and pool waiter service. 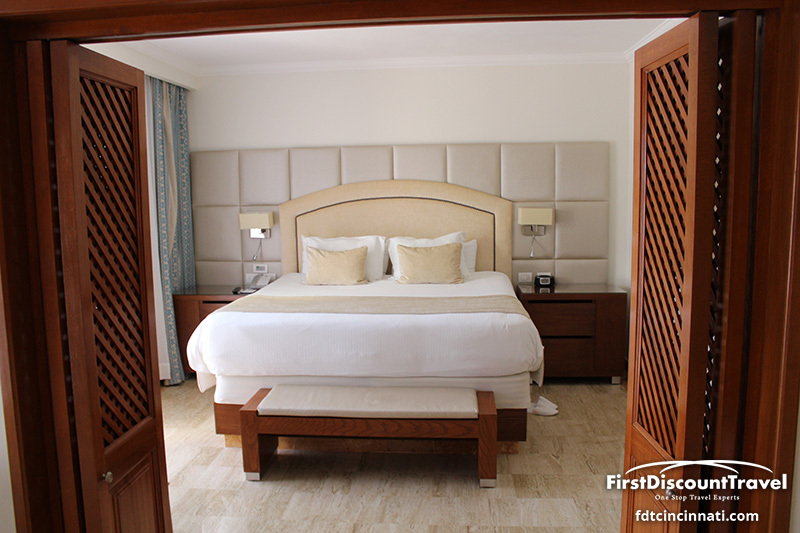 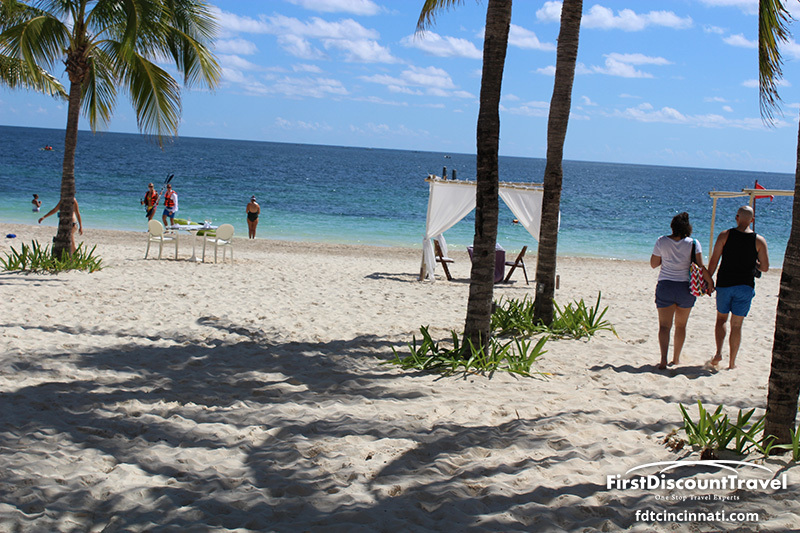 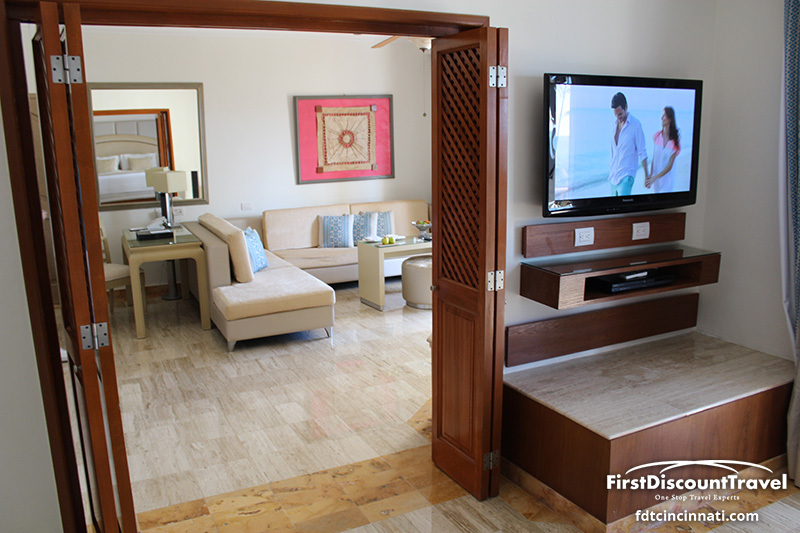 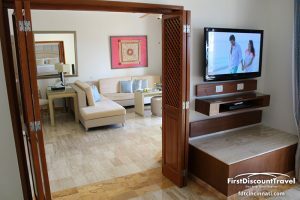 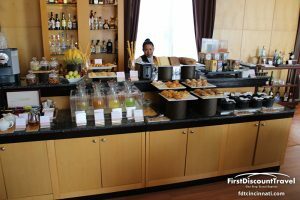 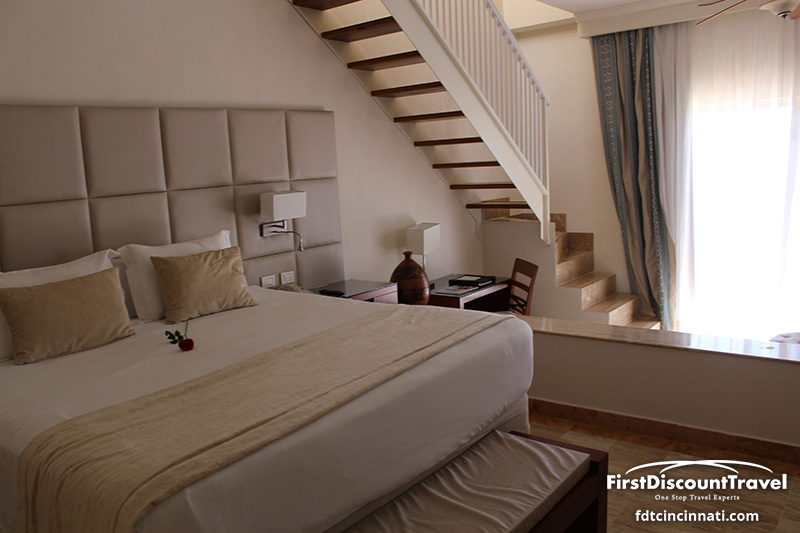 The resort offers free weddings for Excellence Club Junior Suite Ocean View category or higher for a minimum of 7nts stay. 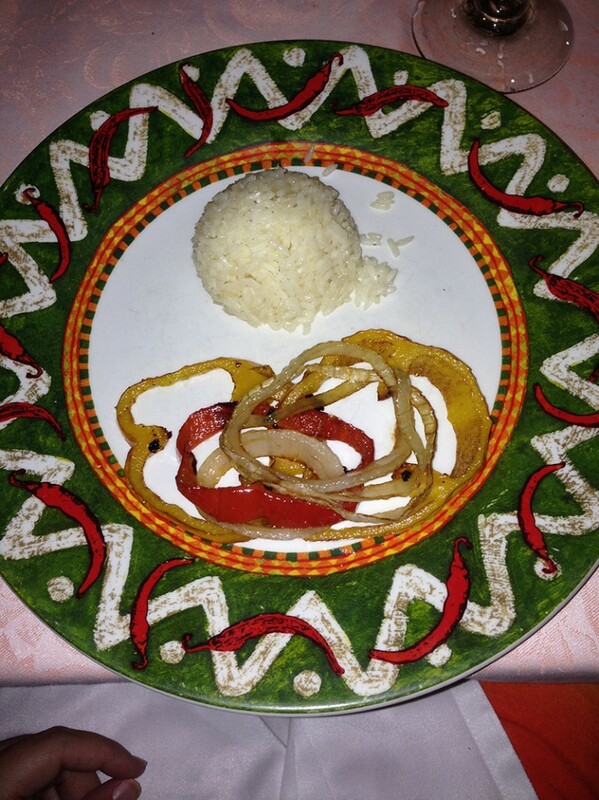 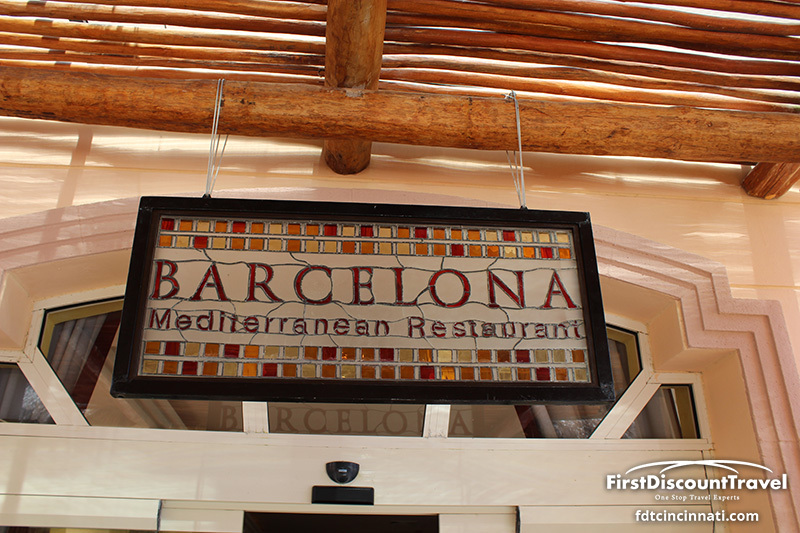 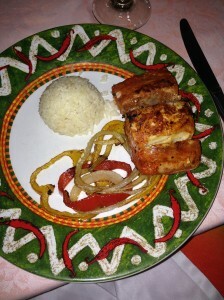 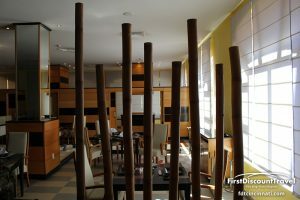 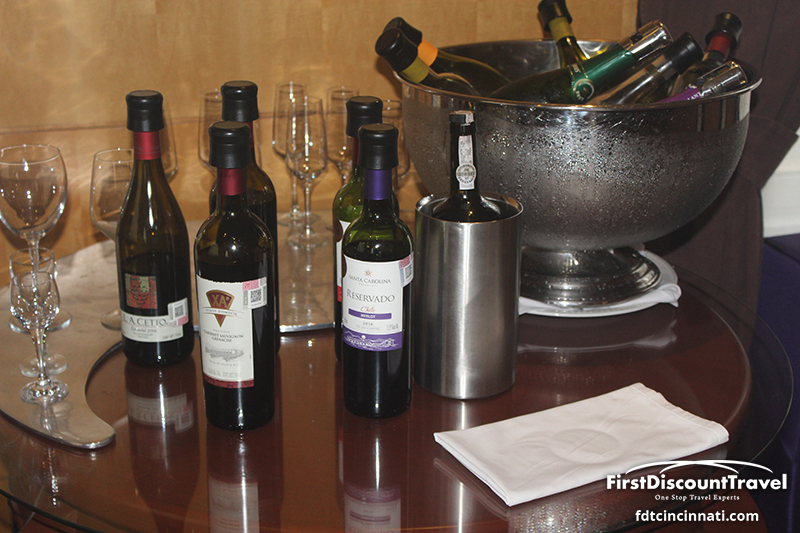 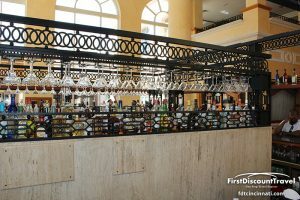 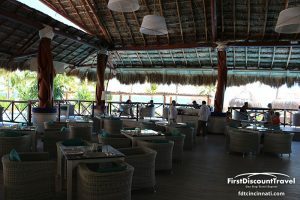 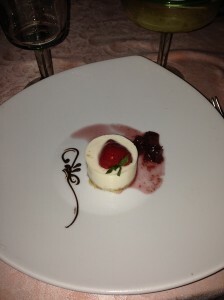 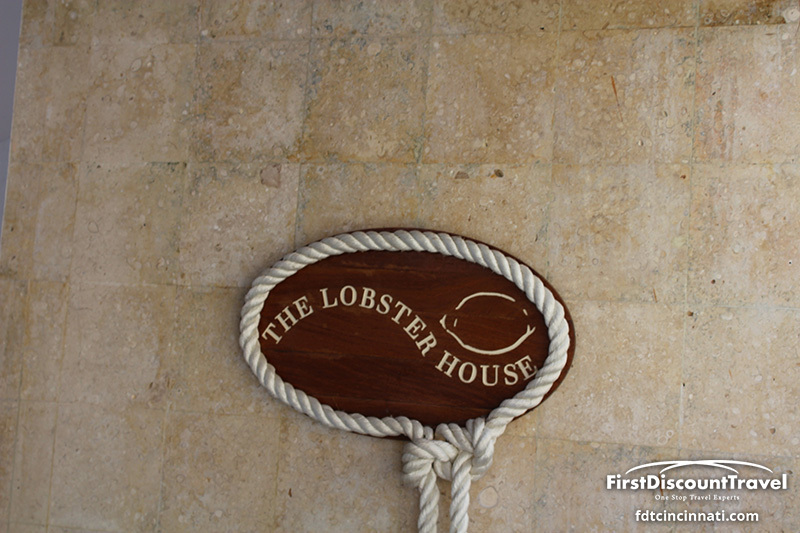 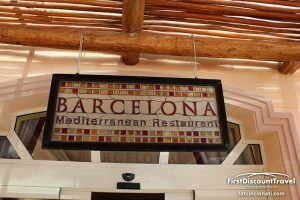 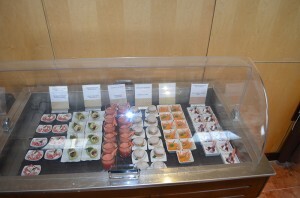 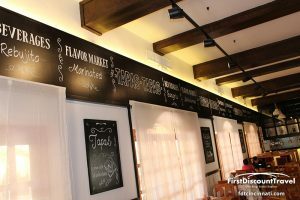 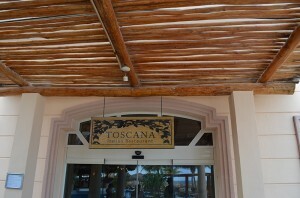 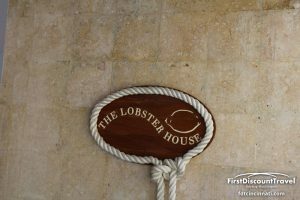 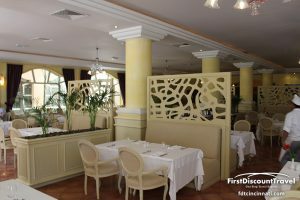 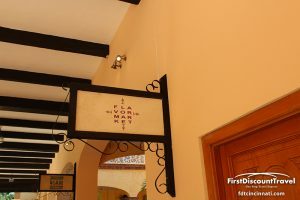 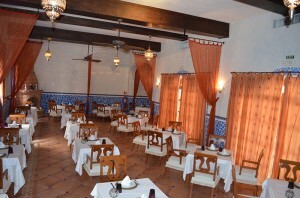 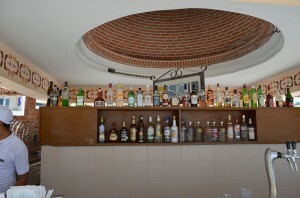 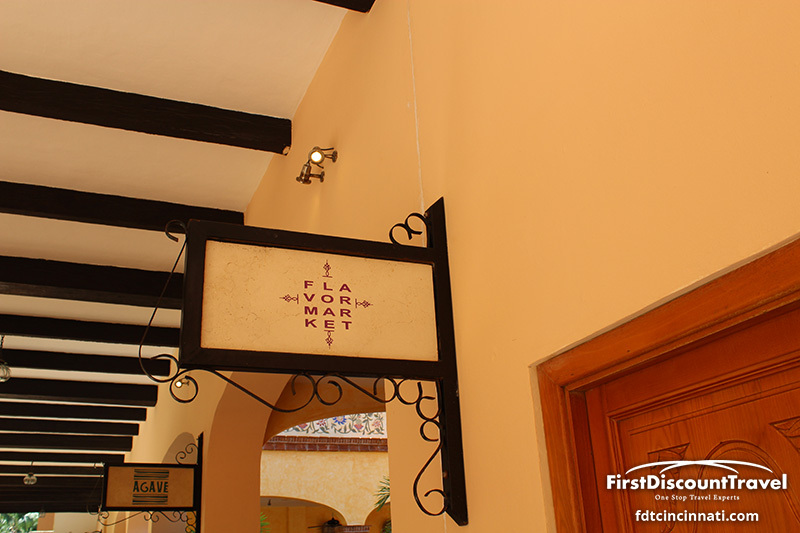 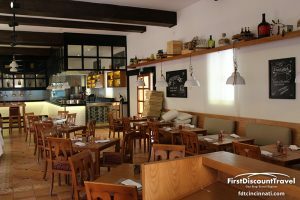 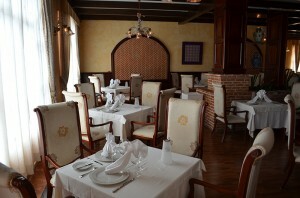 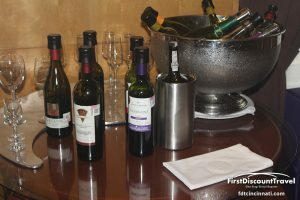 There are seven restaurants with the following cuisine: Agave – Mexican (Friday is Mexican party nights); Barcelona – Mediterranean; Oregano – Casual Italian and pizza; Chez Isabelle – French; Toscana – Italian; Spice – Asian/Japanese Teppanaki; The Lobster House; The Grill – Steakhouse; 24 hour room service. 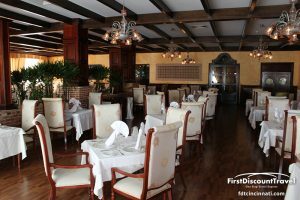 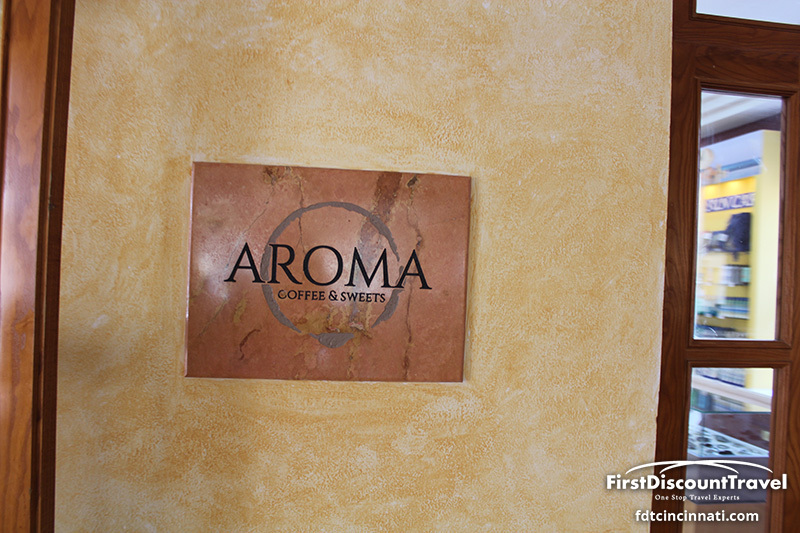 There are no reservations or restrictions for dining! 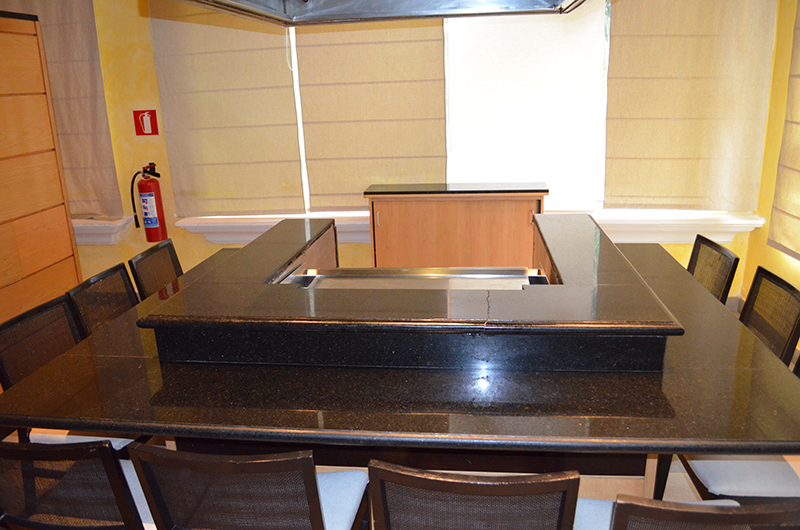 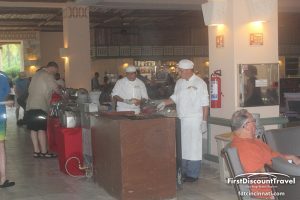 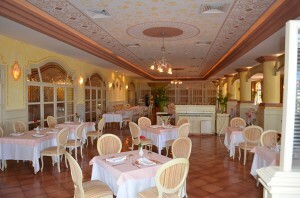 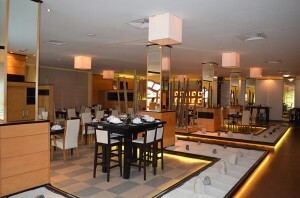 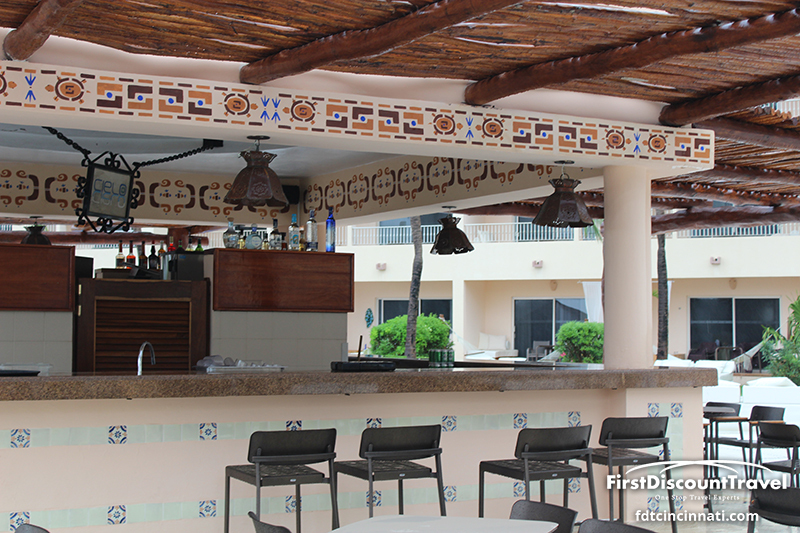 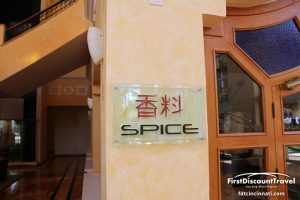 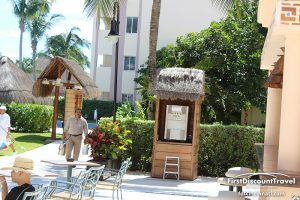 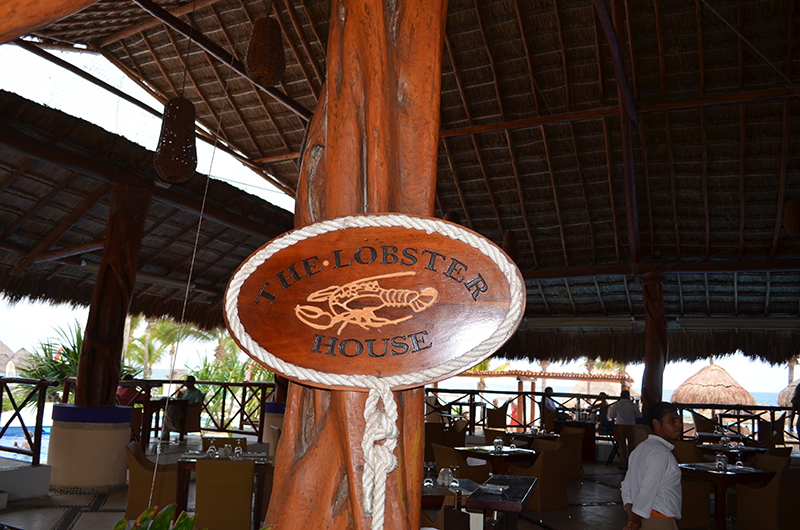 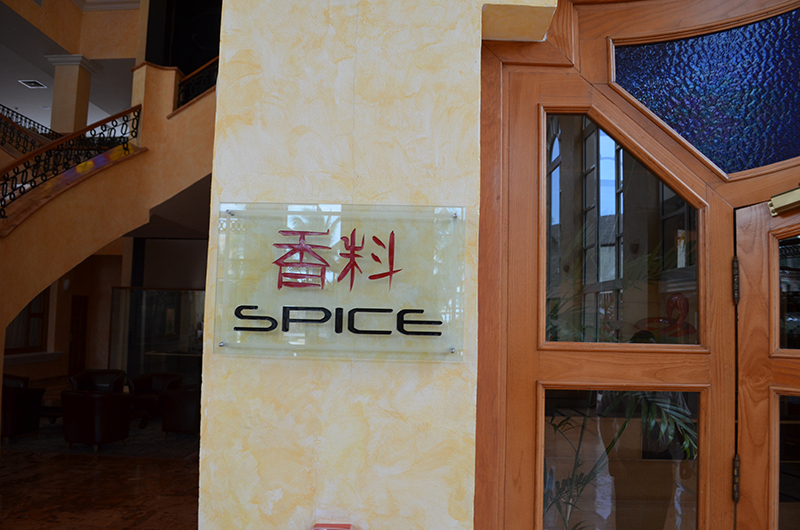 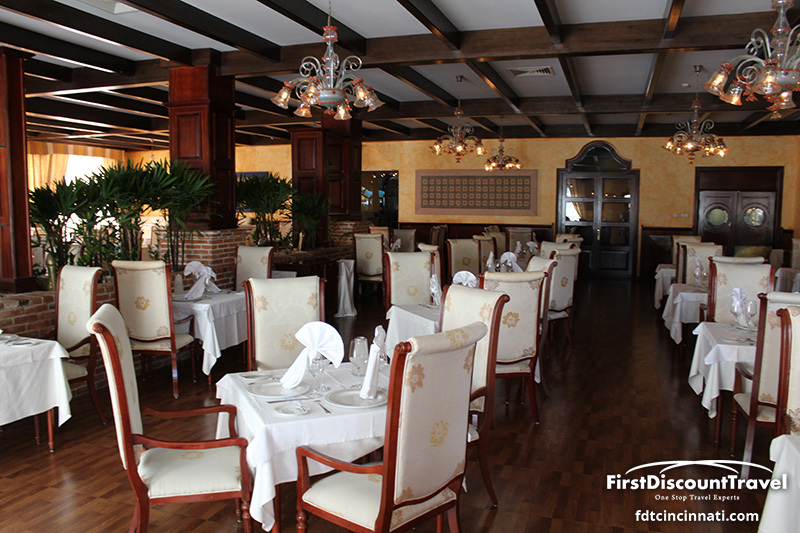 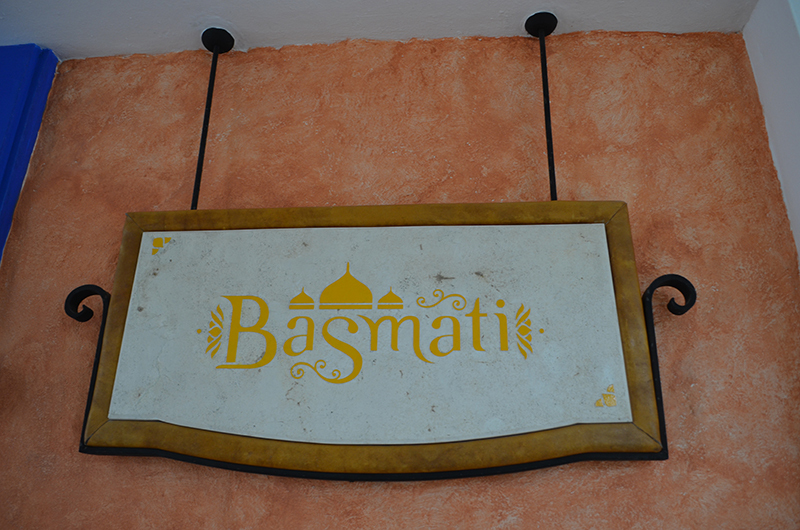 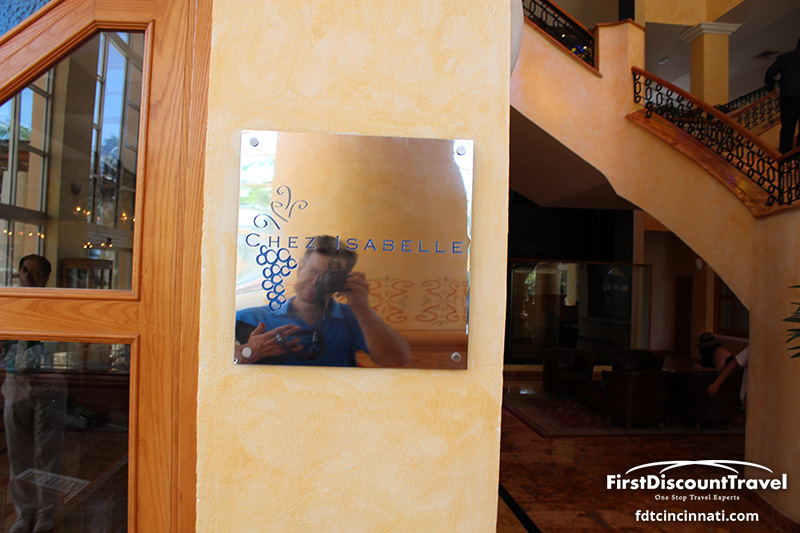 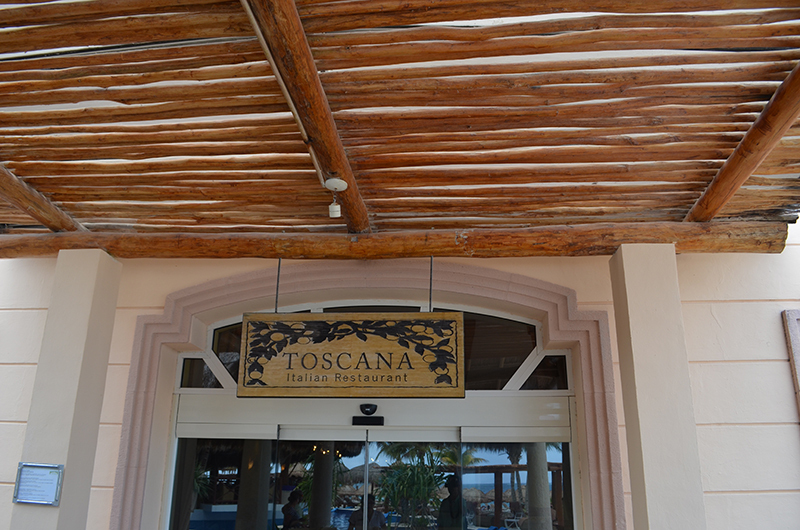 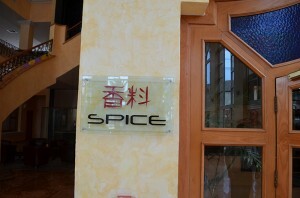 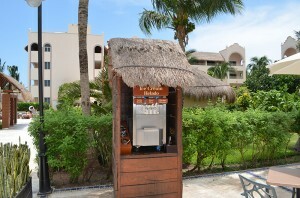 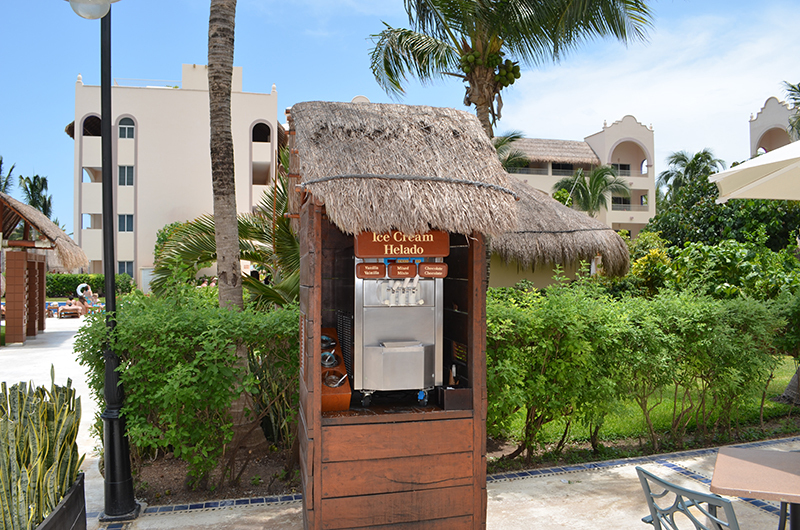 The restaurant will give you a beeper which has reception throughout the resort. 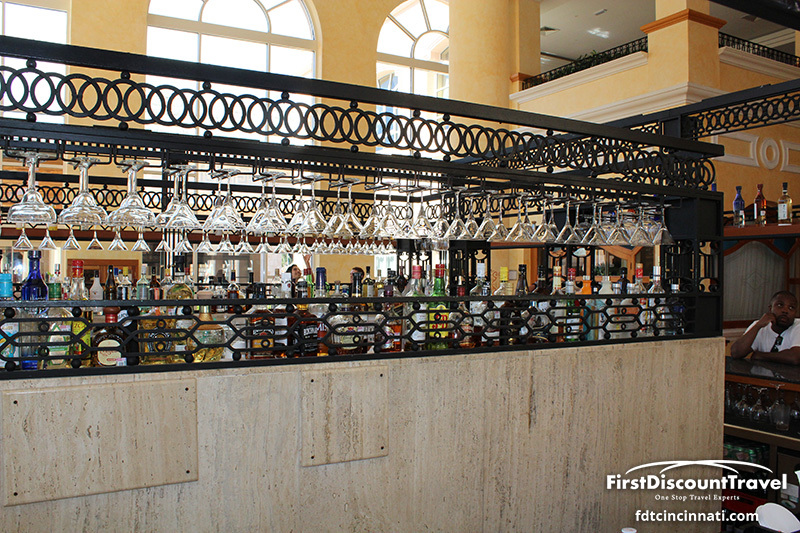 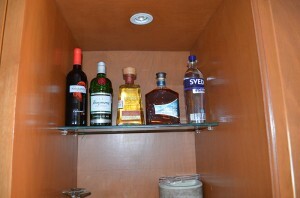 Excellence Riviera Cancun serves top shelf liquor (Bombay, Crown Royal, Absolute, Bacardi, Jack Daniels and Grey Goose in the Excellence Club) and the resort offers American Beer (Bud and Bud Light). 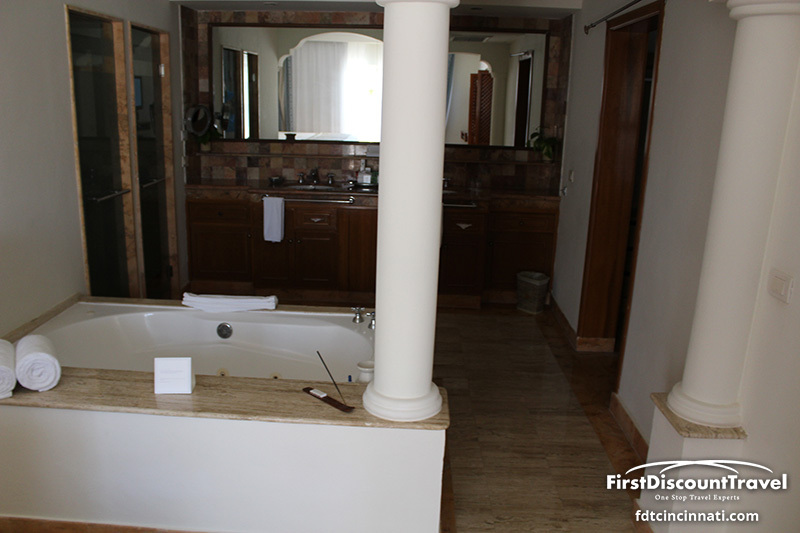 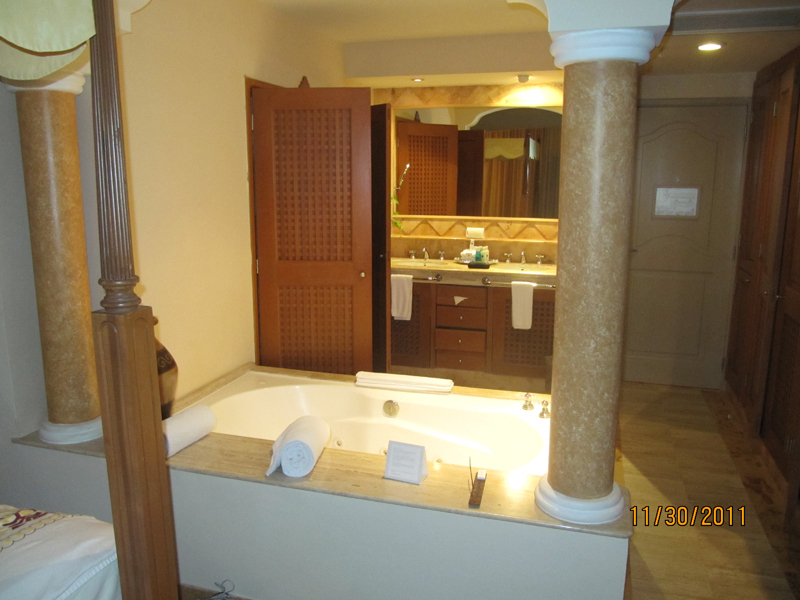 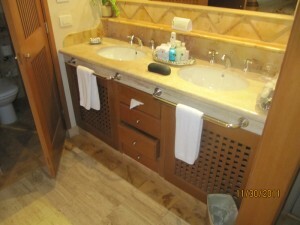 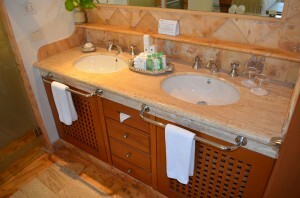 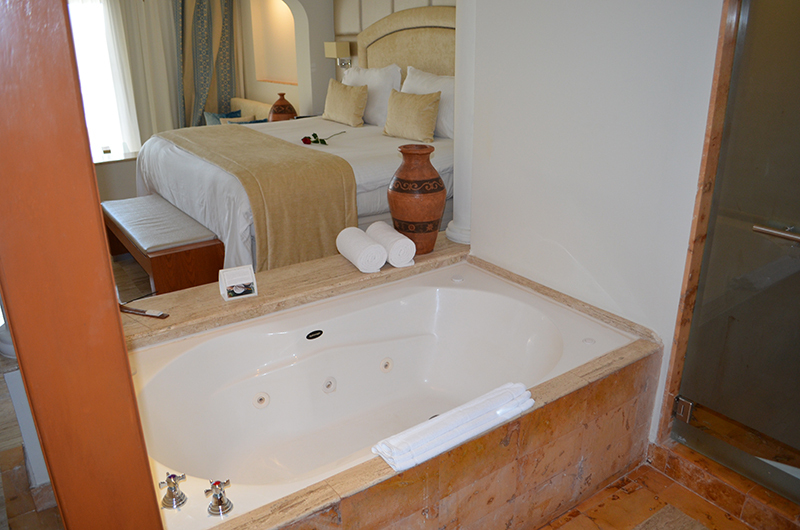 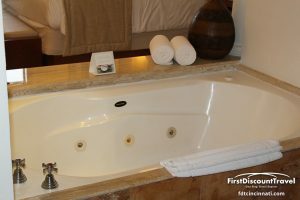 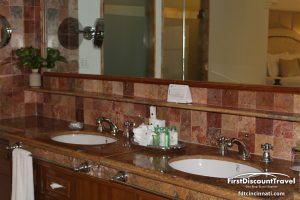 All of the rooms at Excellence are junior suites and have 2 person Jacuzzis. 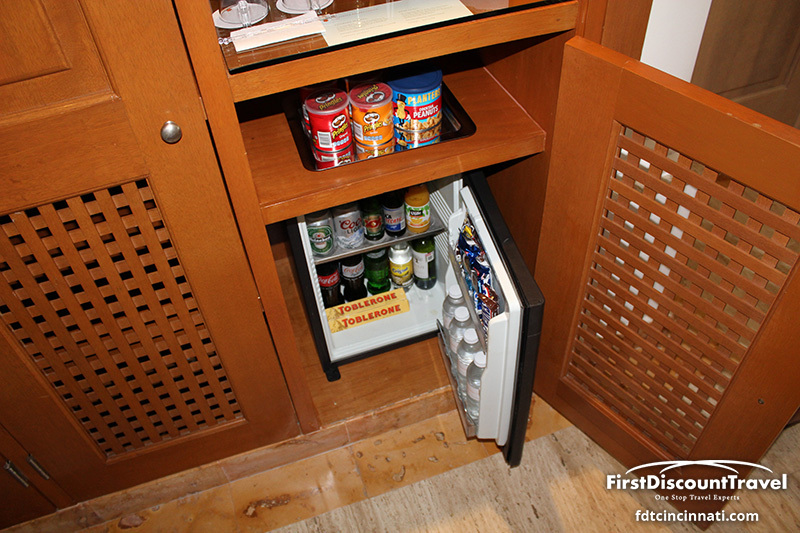 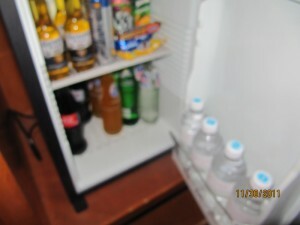 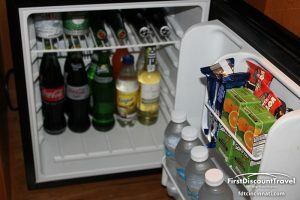 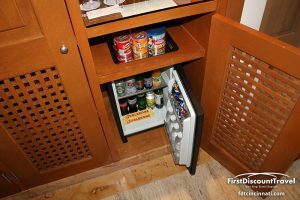 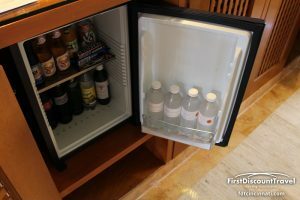 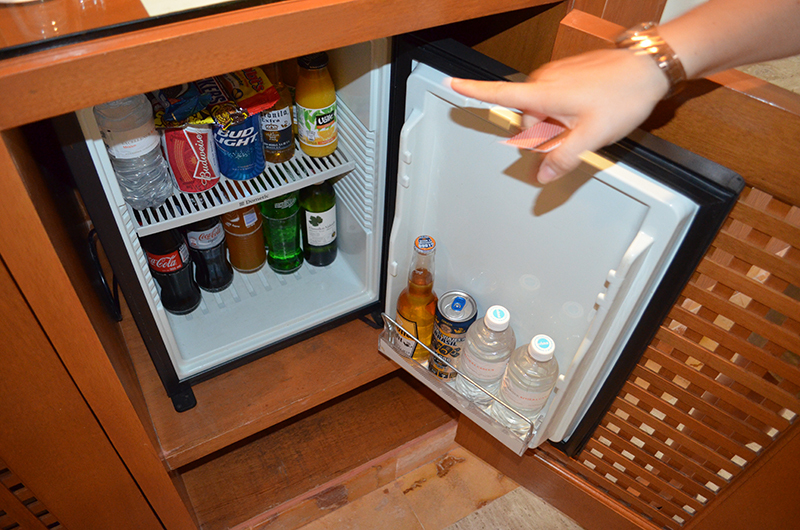 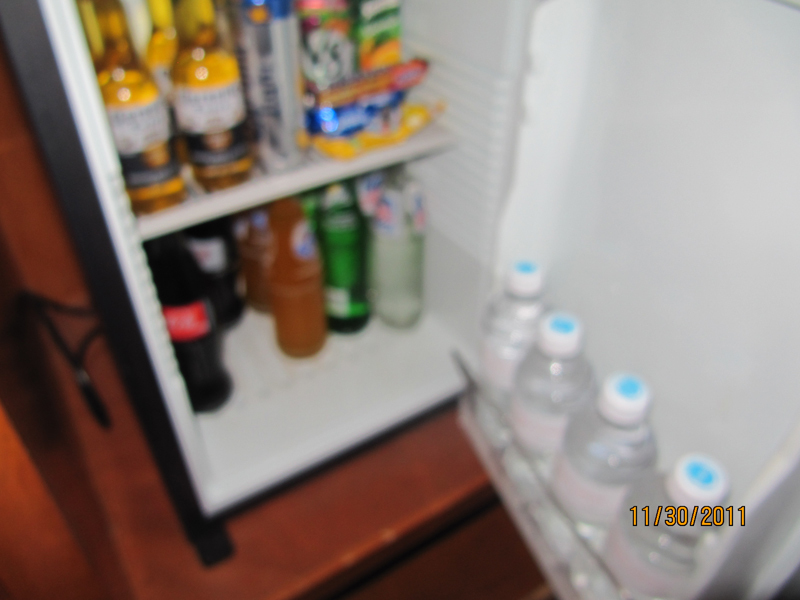 The minibar is restocked daily with beer, soda, Gator Aid, Red Bull and waters. 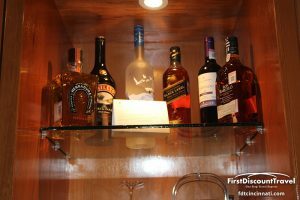 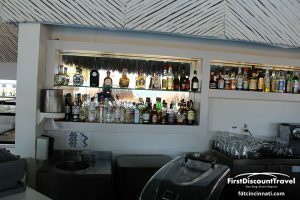 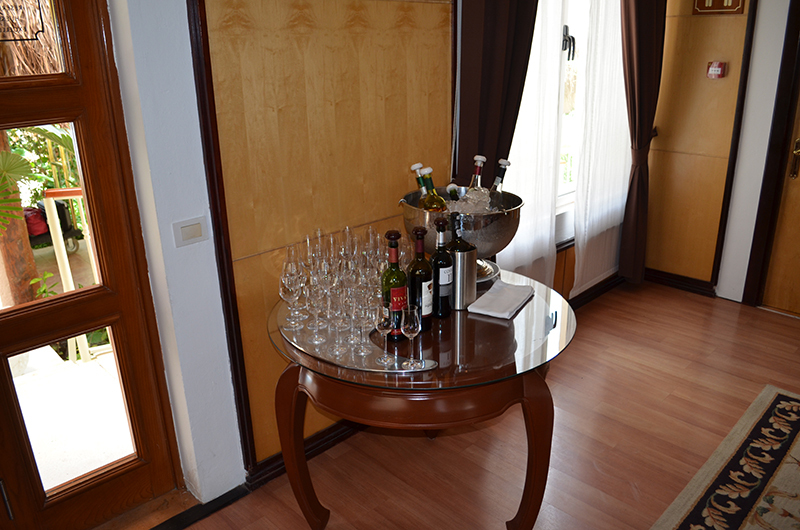 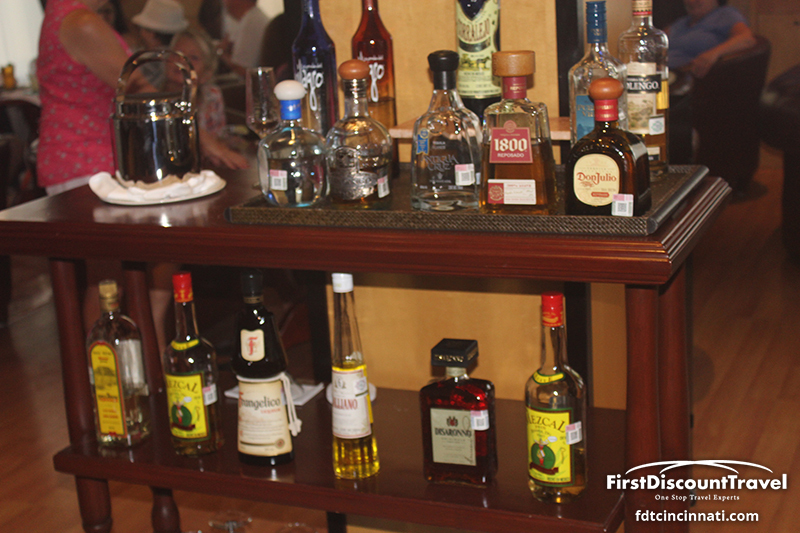 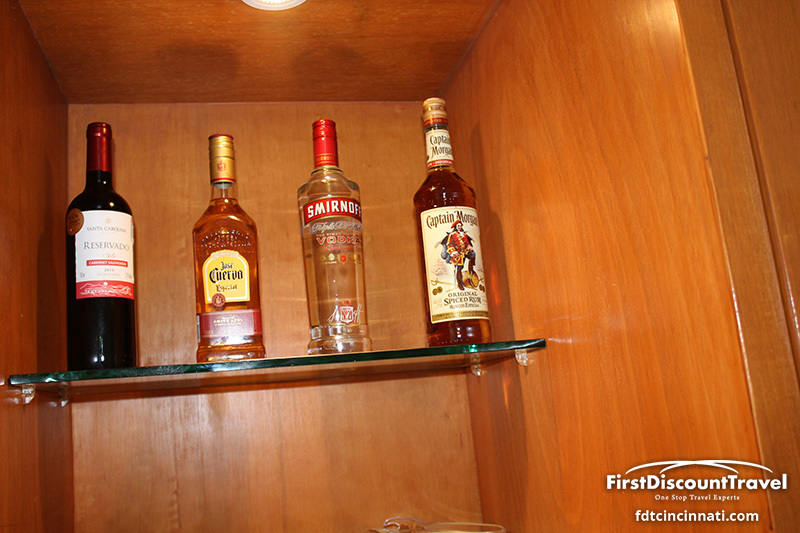 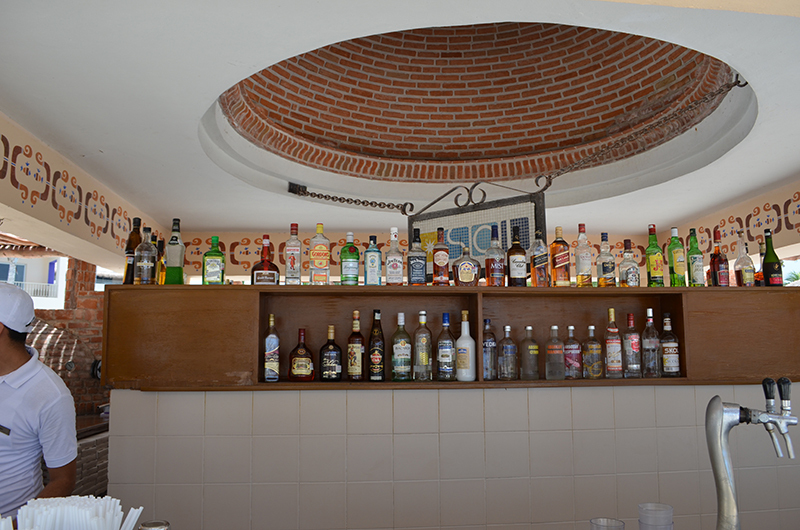 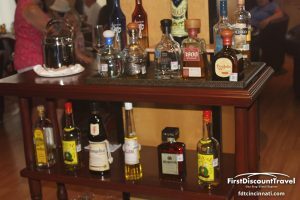 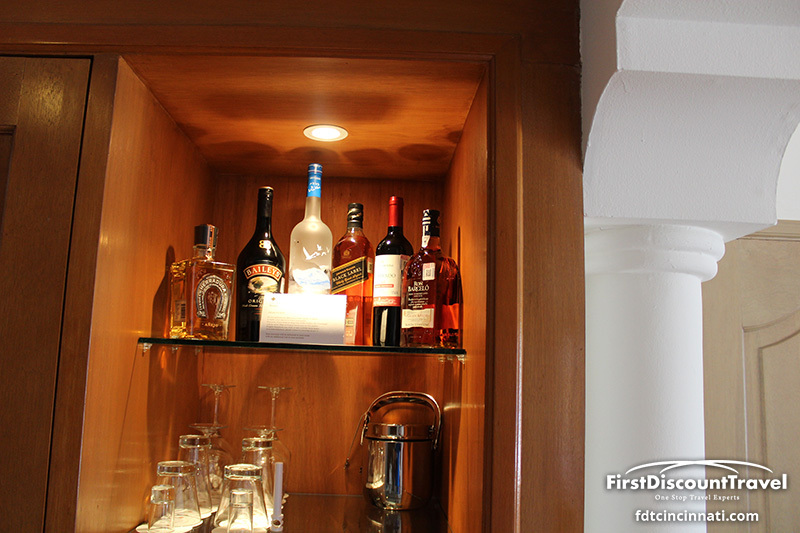 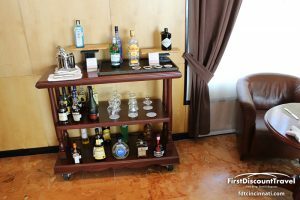 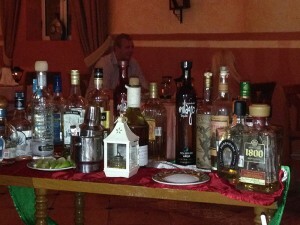 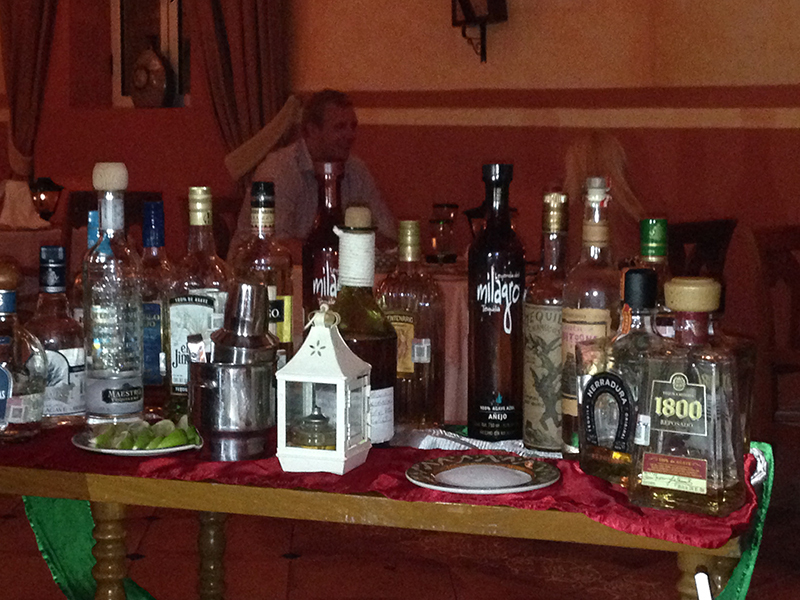 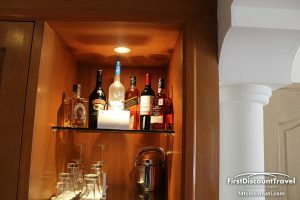 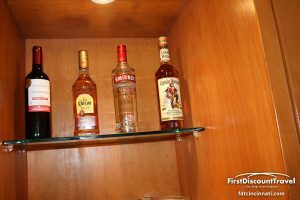 The room also has a liquor dispenser with Jose Cuervo, Johnny Walker Black Label, Absolute, and Beefeater Gin. 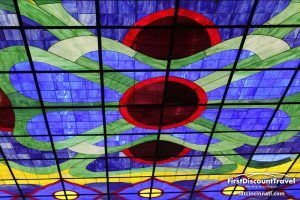 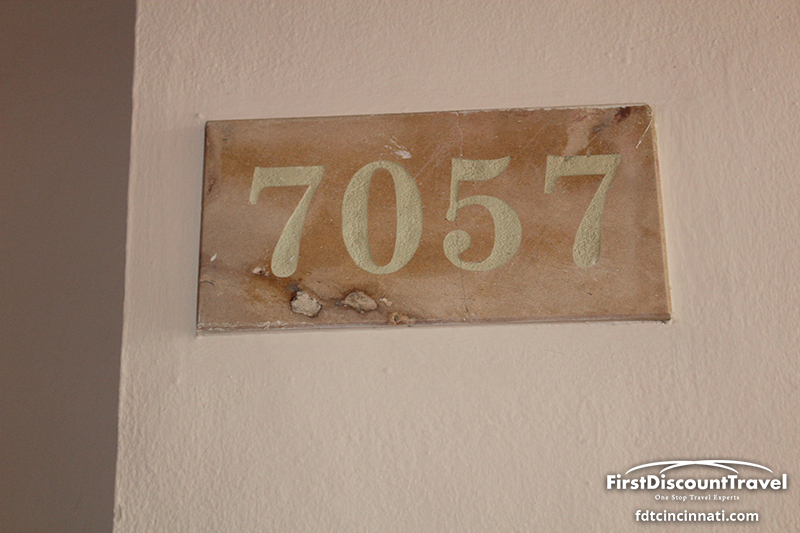 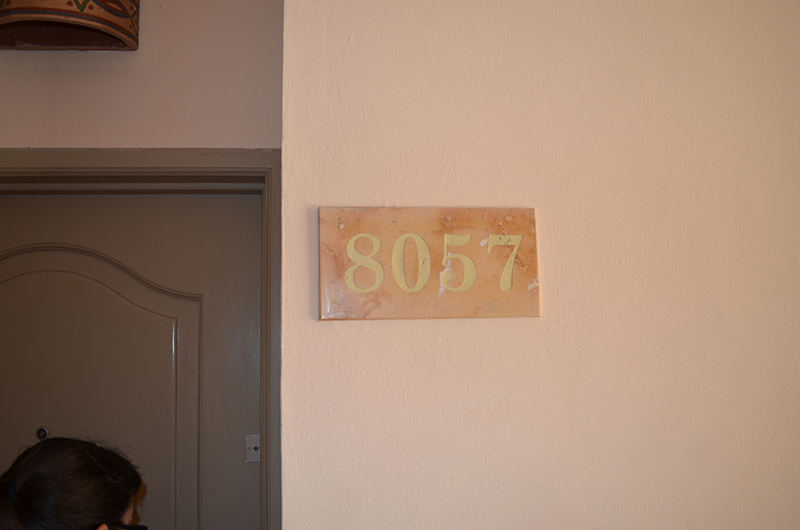 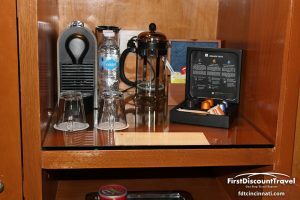 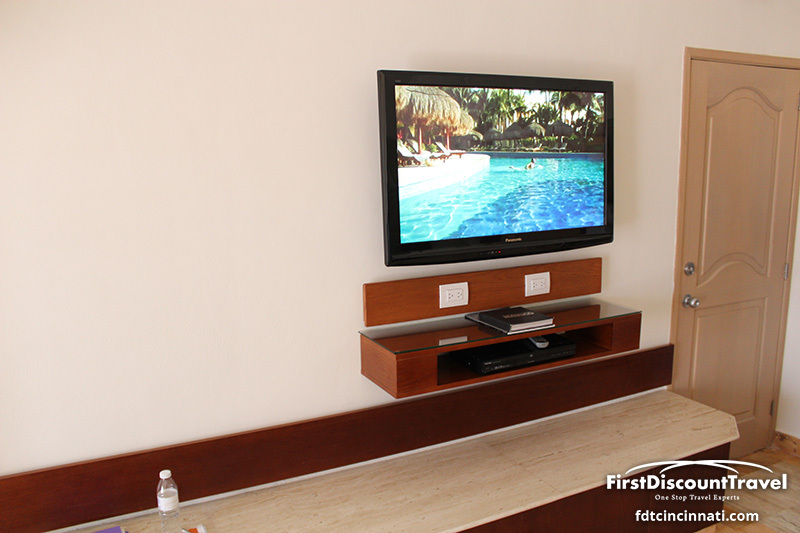 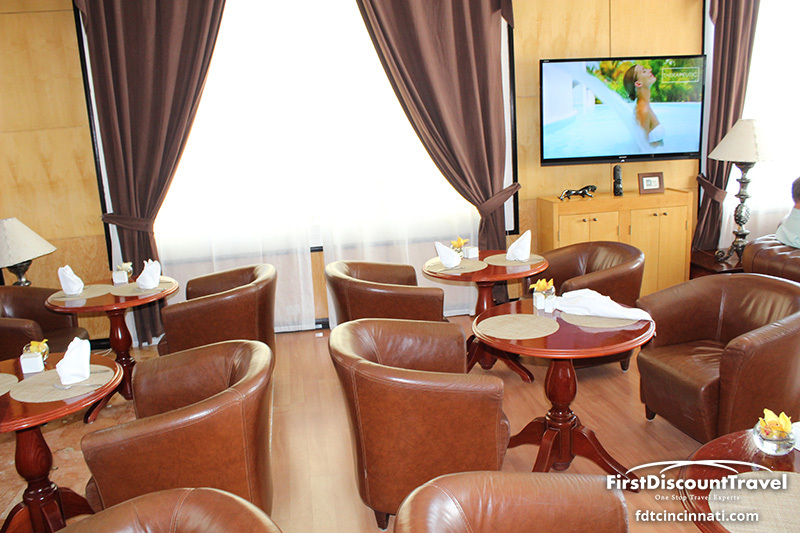 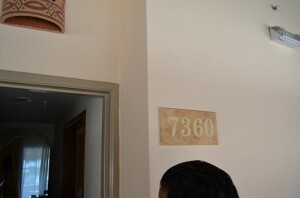 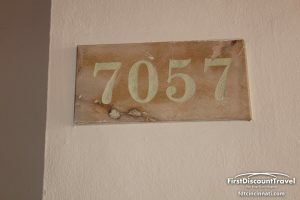 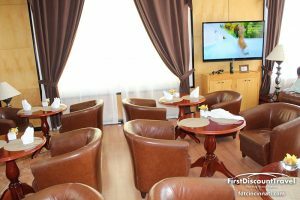 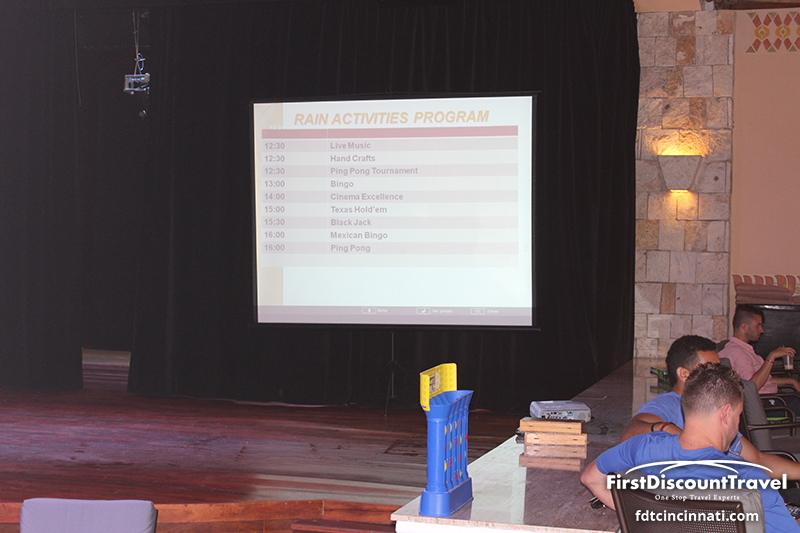 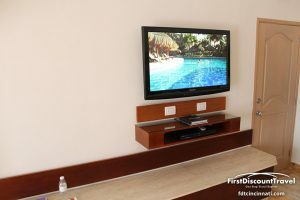 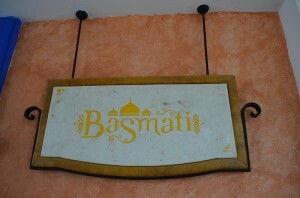 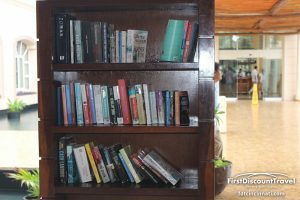 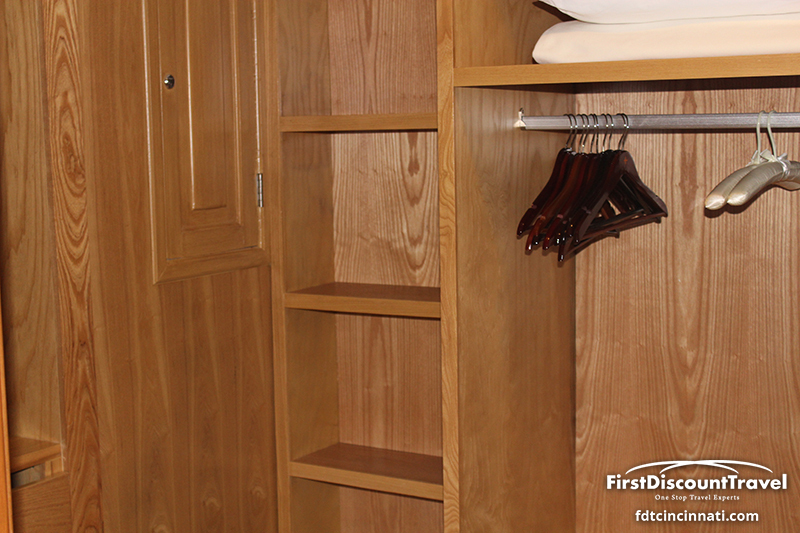 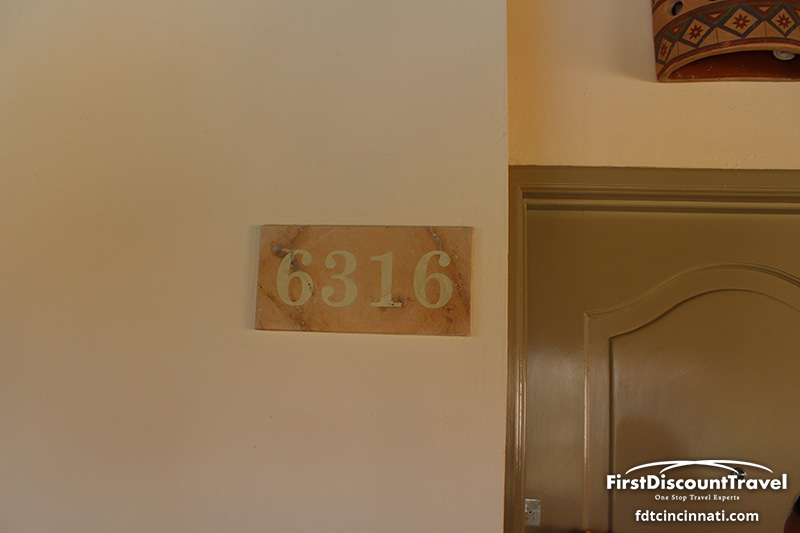 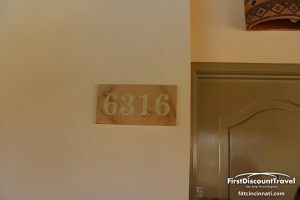 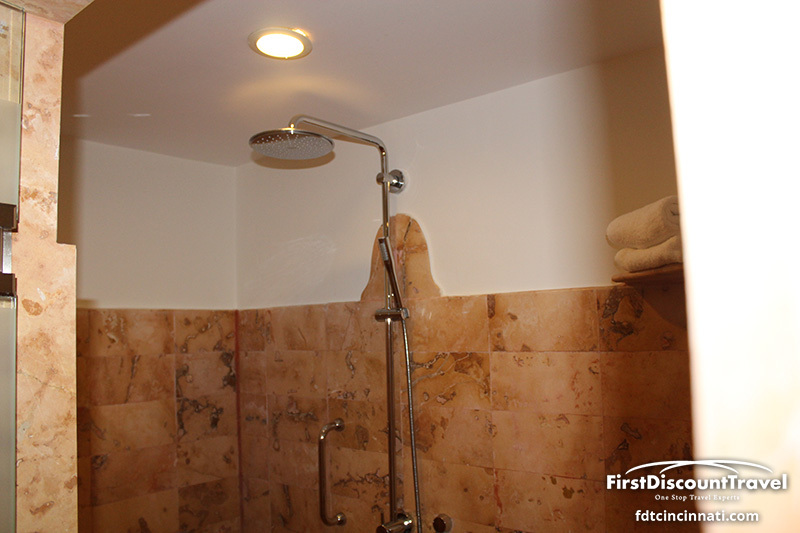 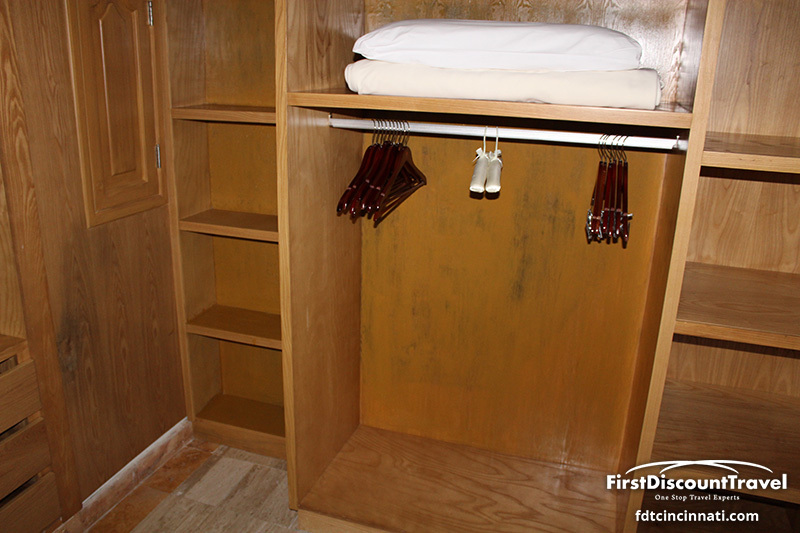 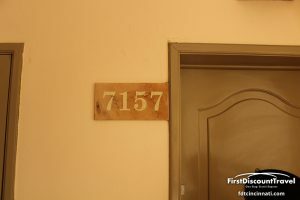 All of the rooms have 27″ televisions, cd and dvd players, and a pillow menu. 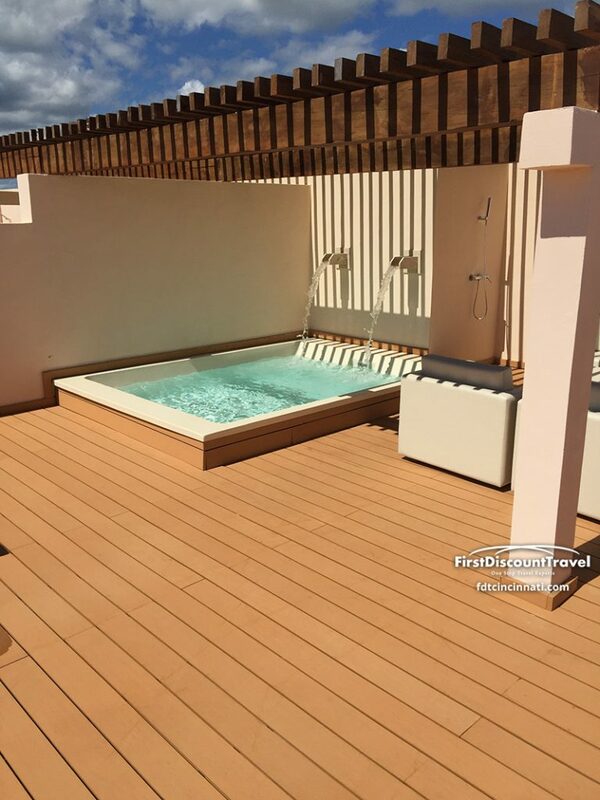 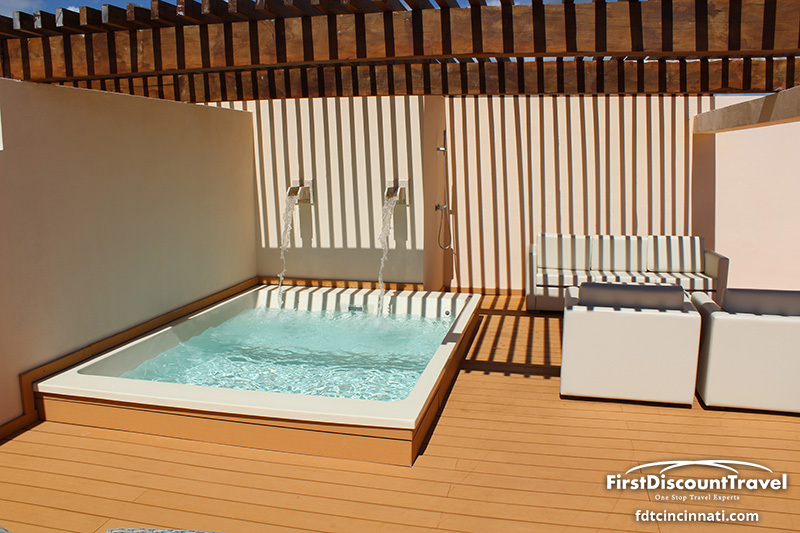 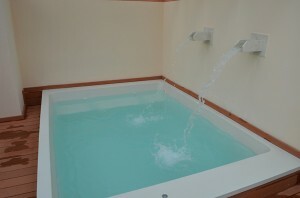 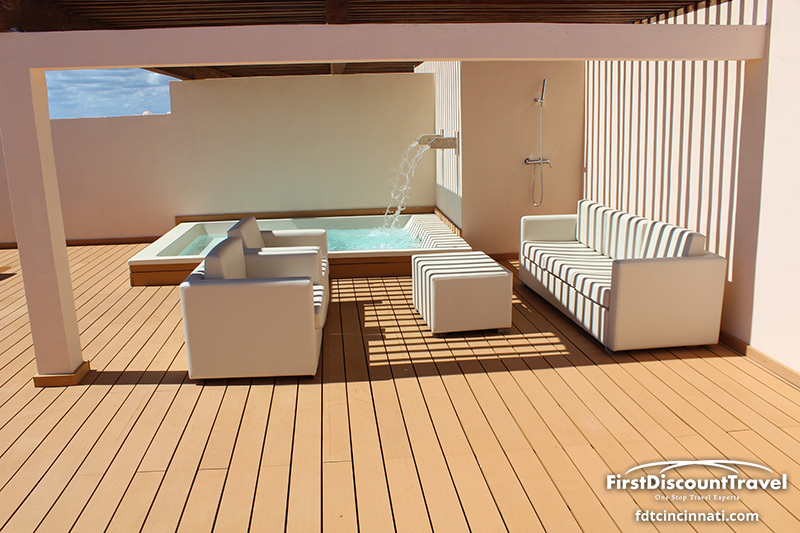 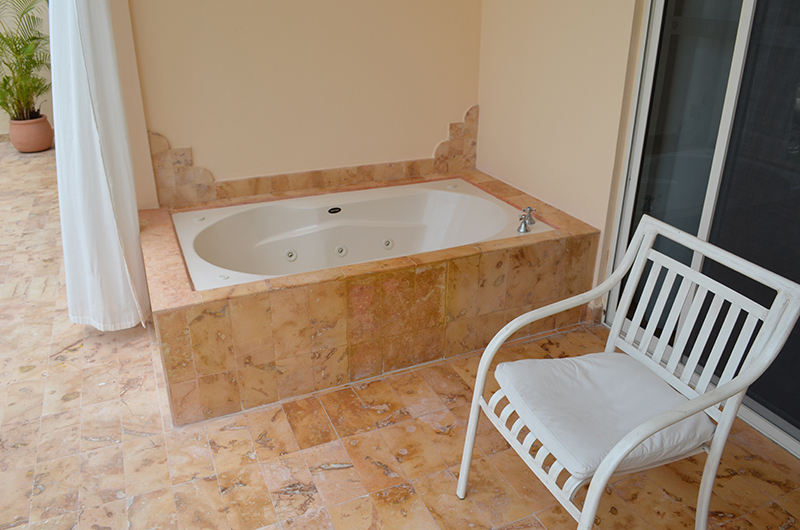 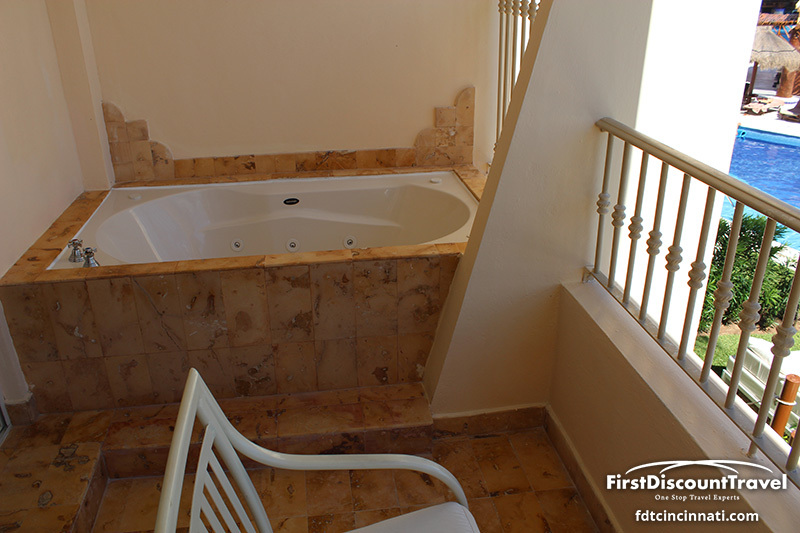 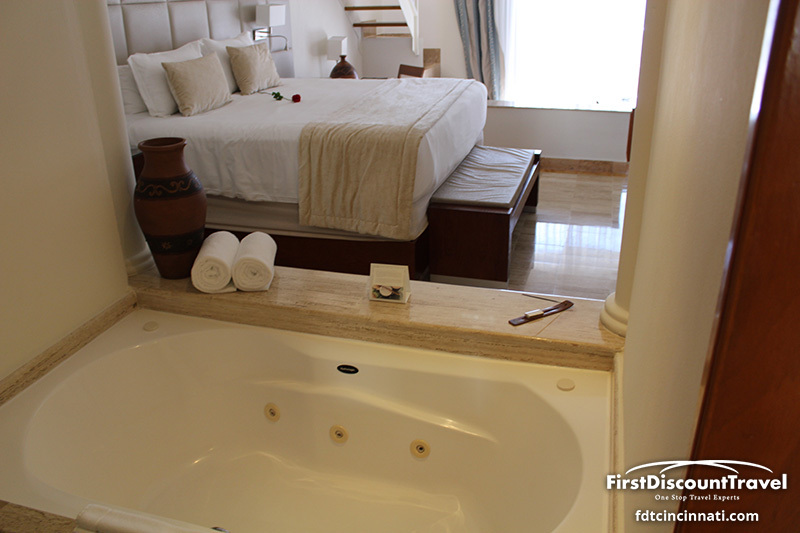 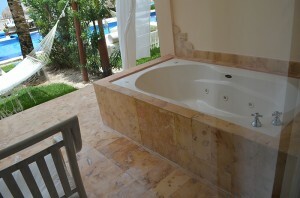 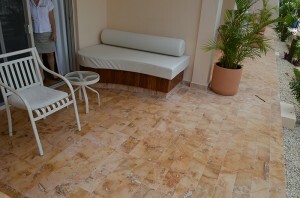 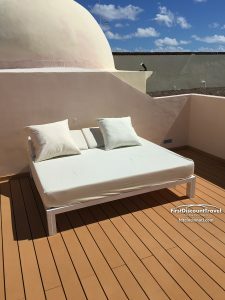 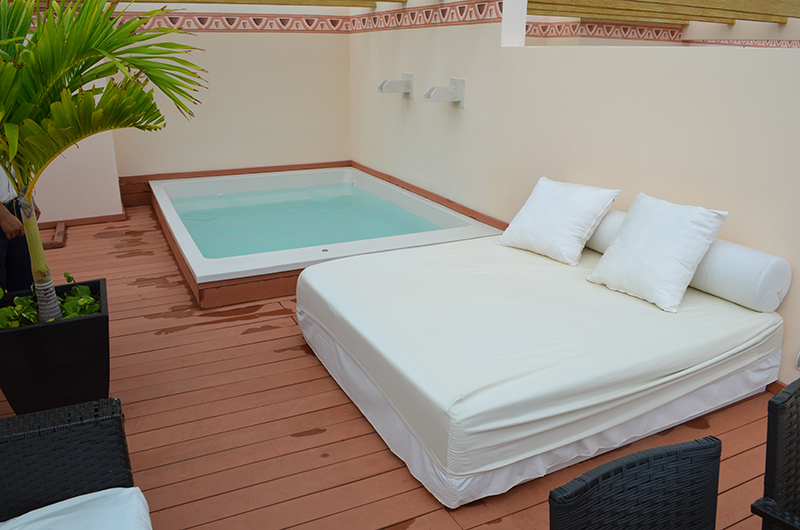 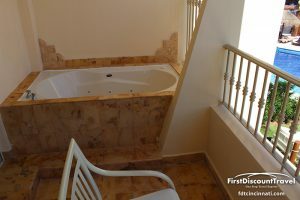 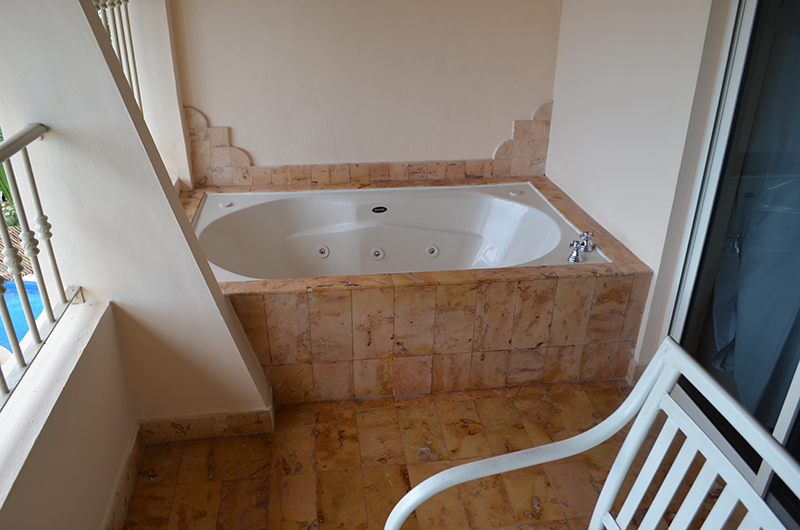 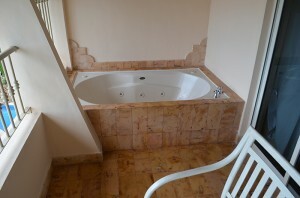 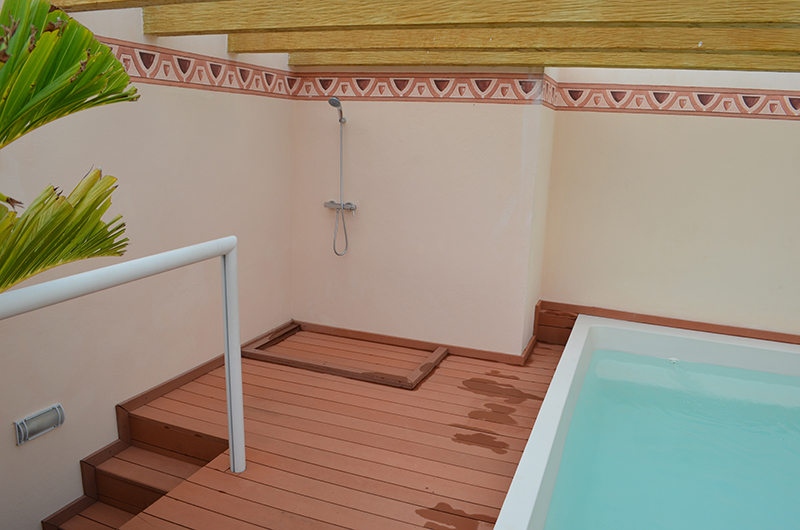 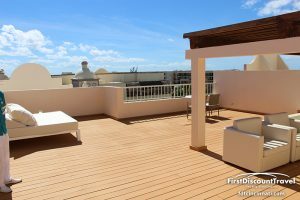 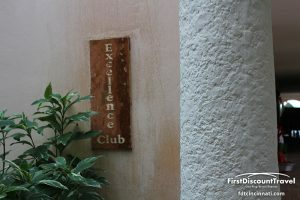 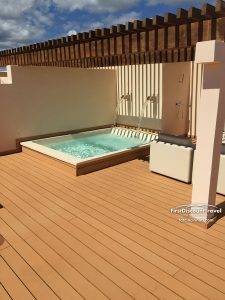 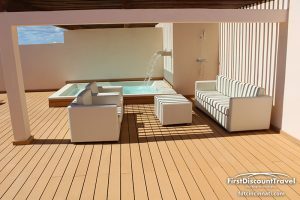 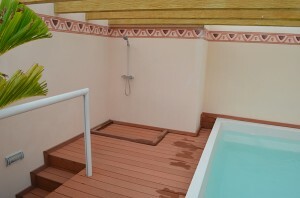 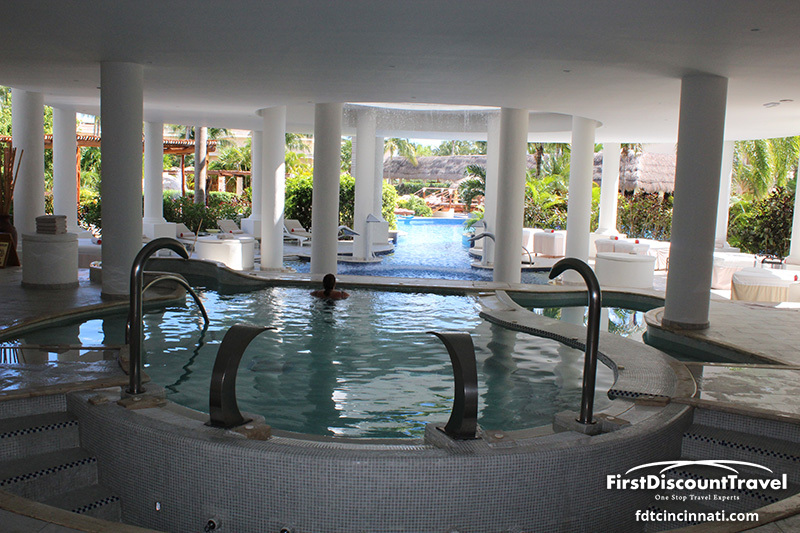 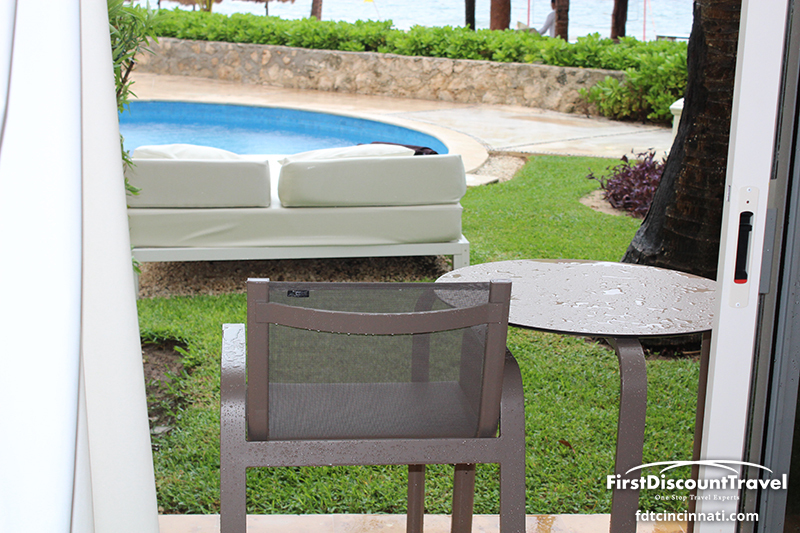 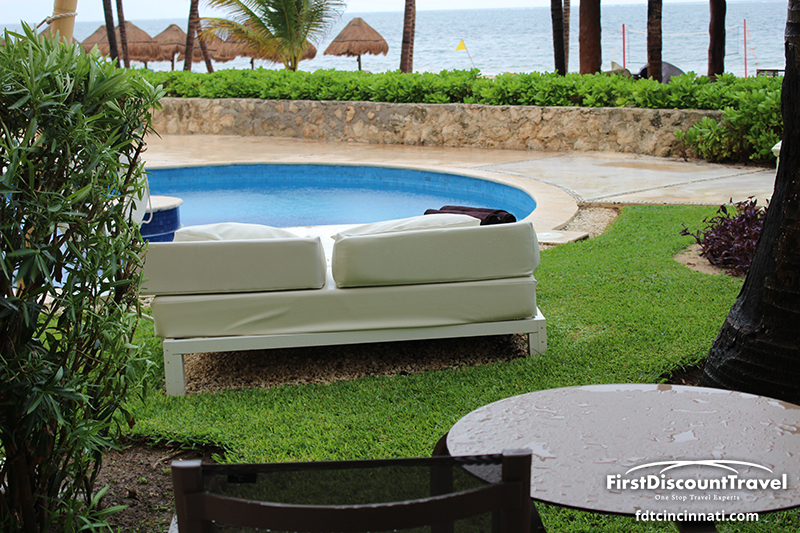 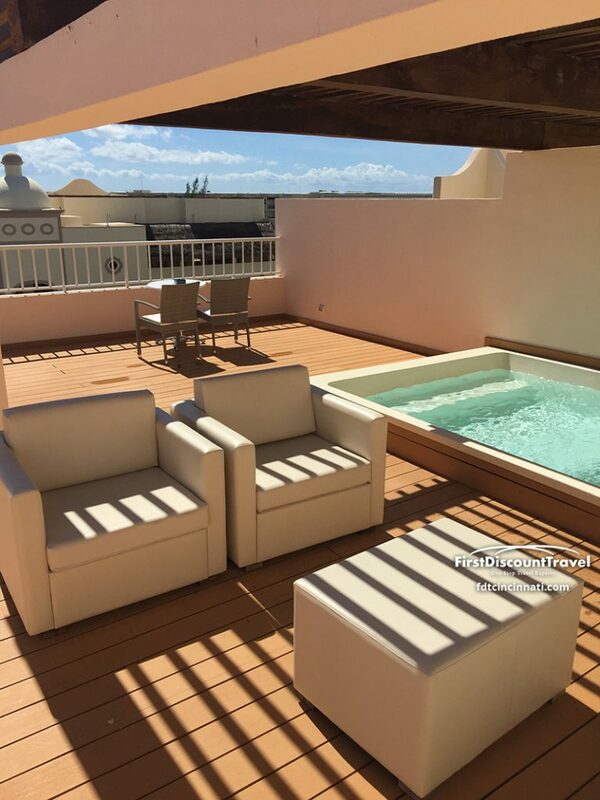 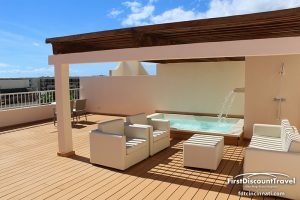 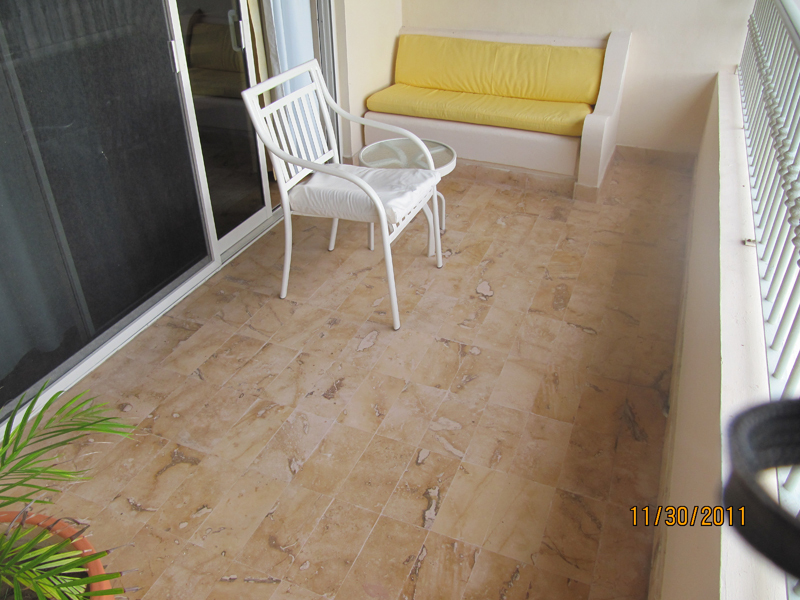 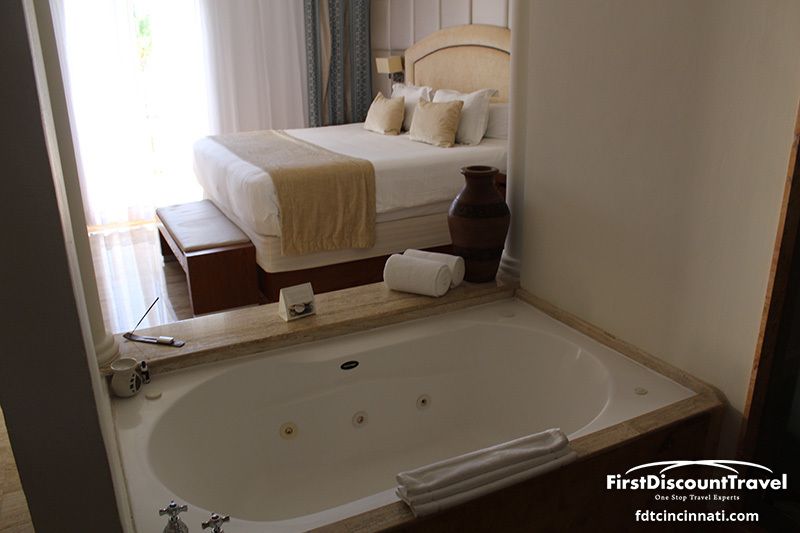 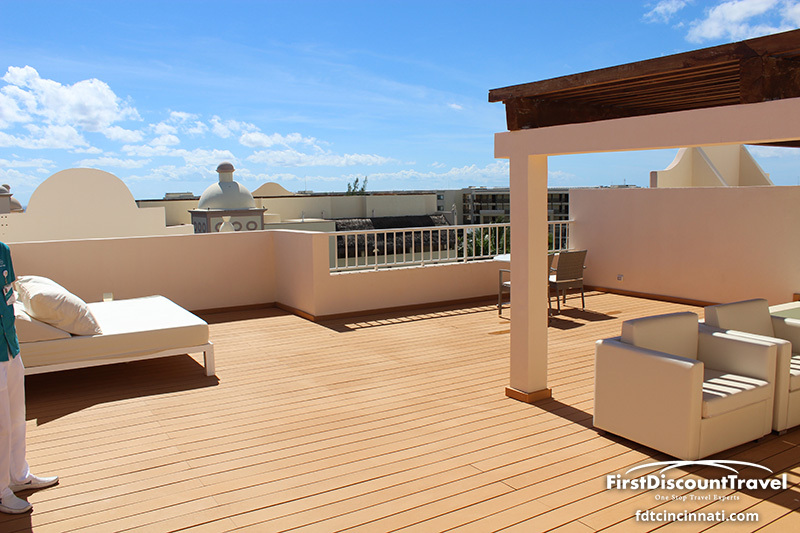 The Excellence club junior suites also have a Jacuzzi on the patio. 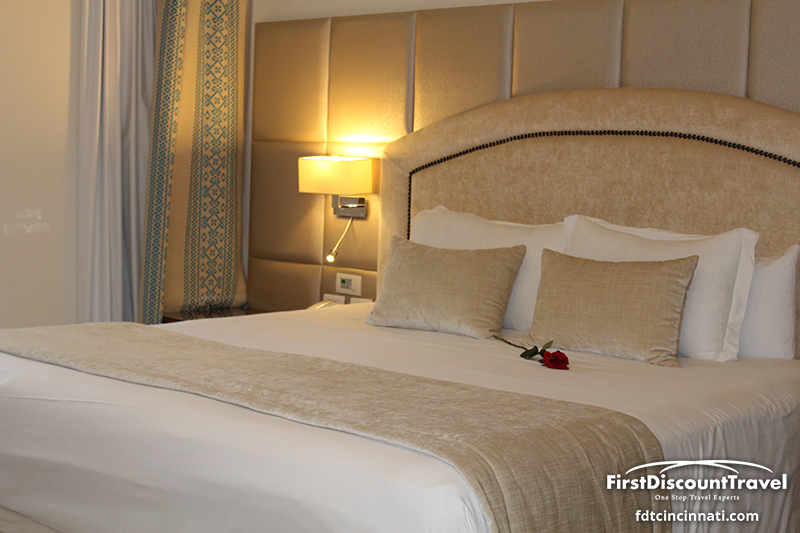 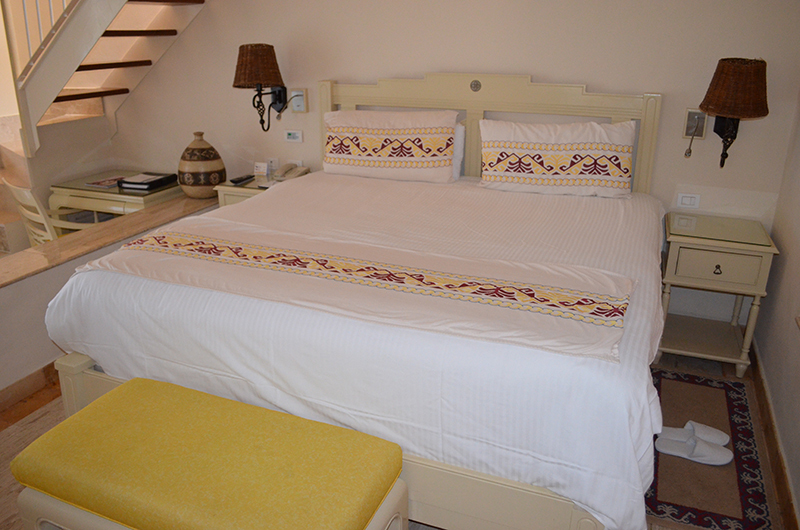 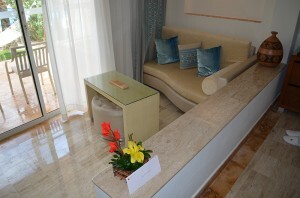 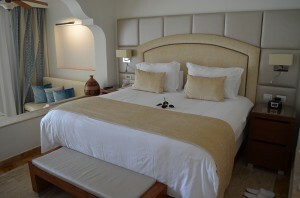 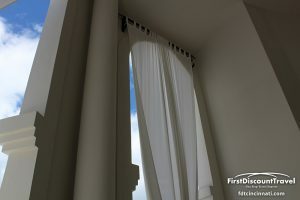 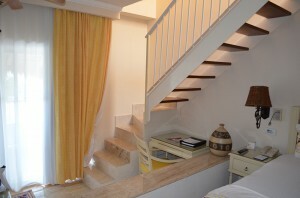 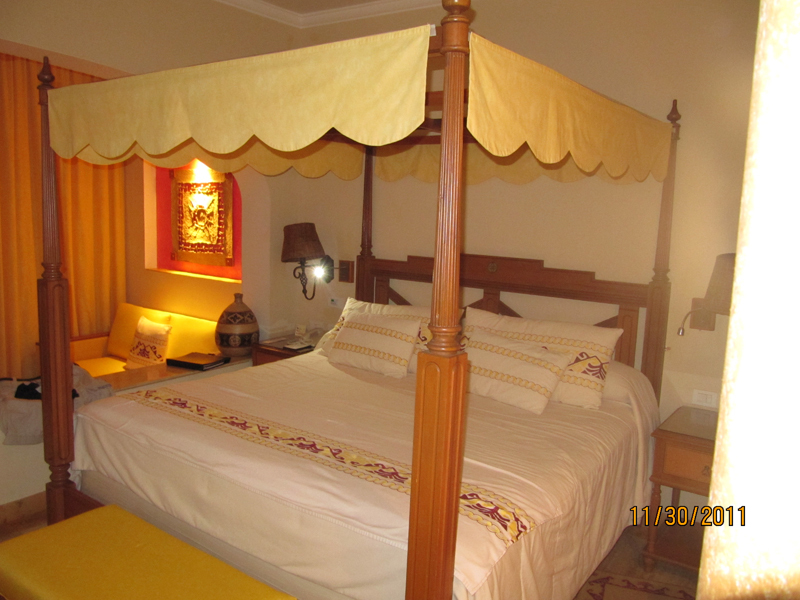 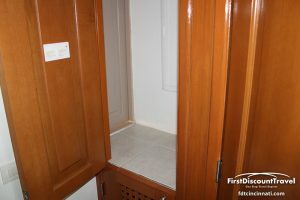 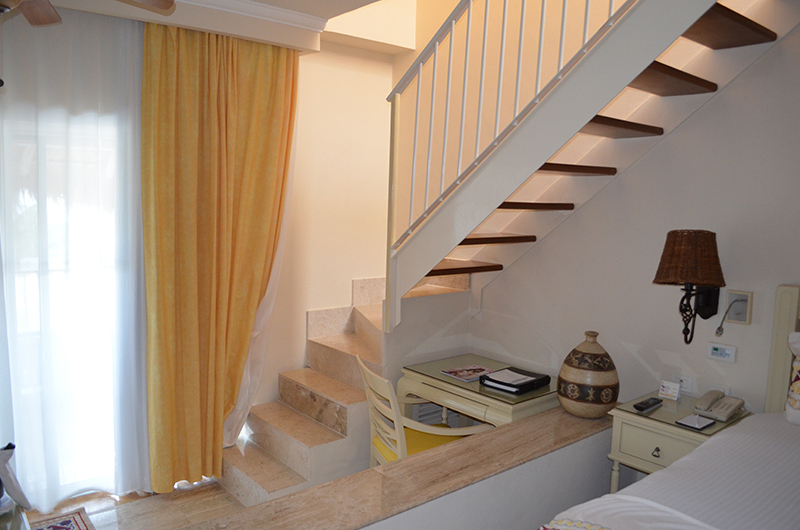 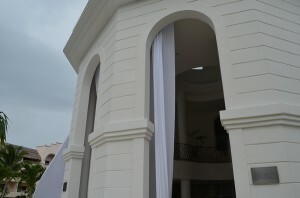 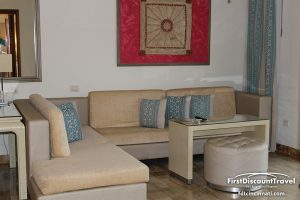 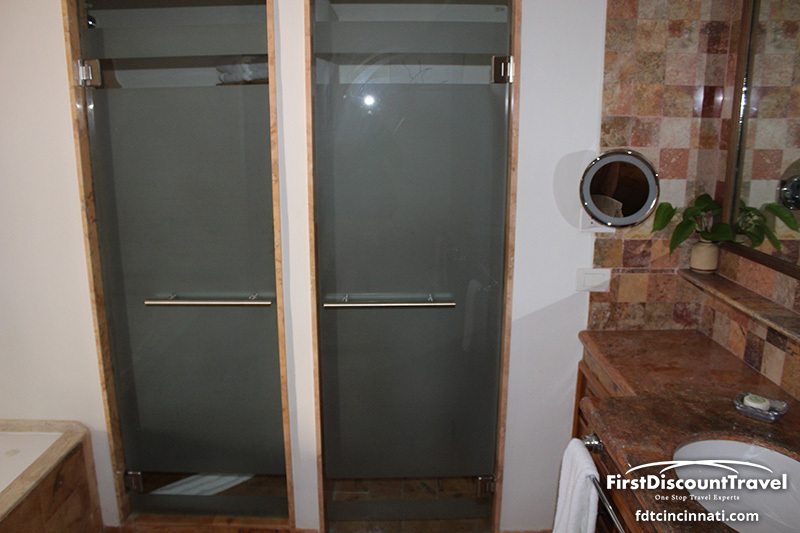 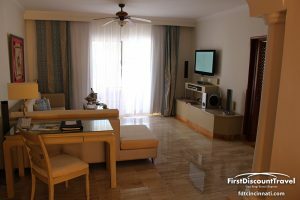 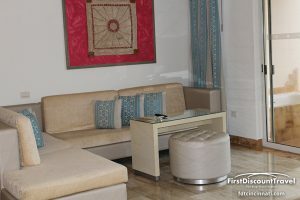 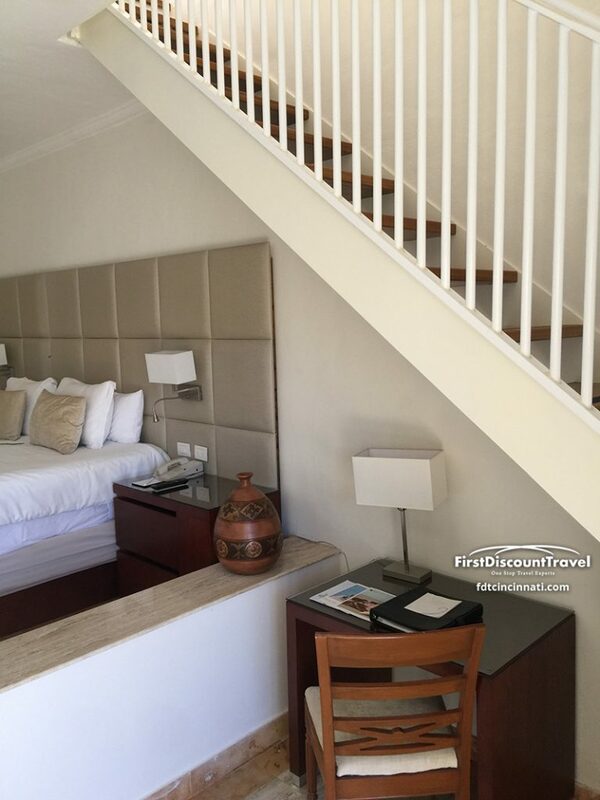 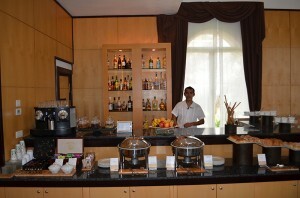 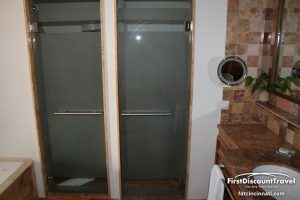 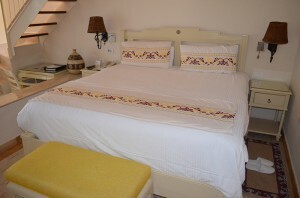 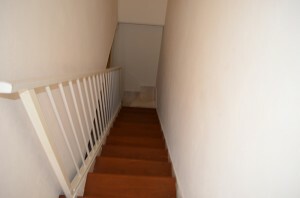 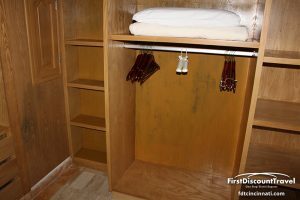 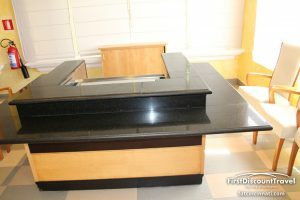 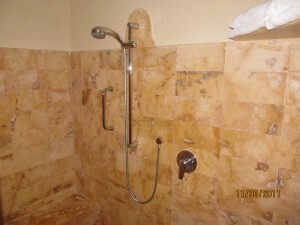 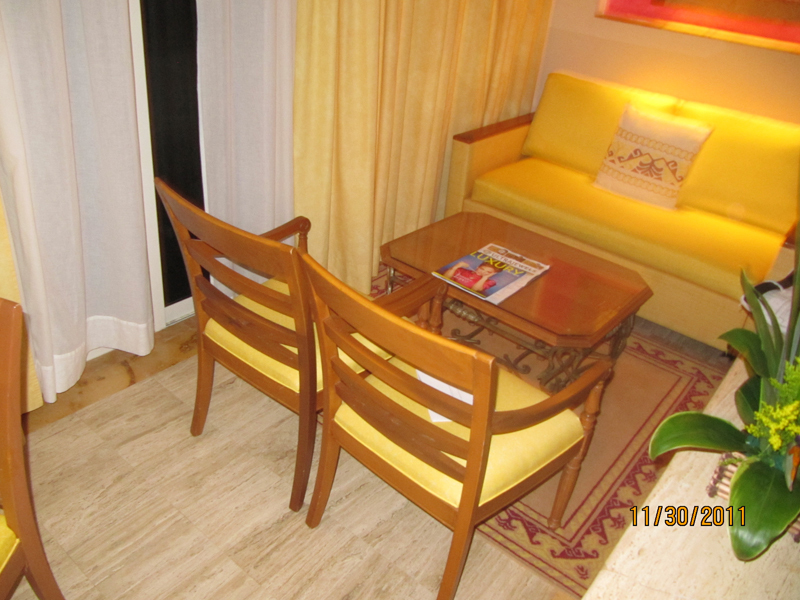 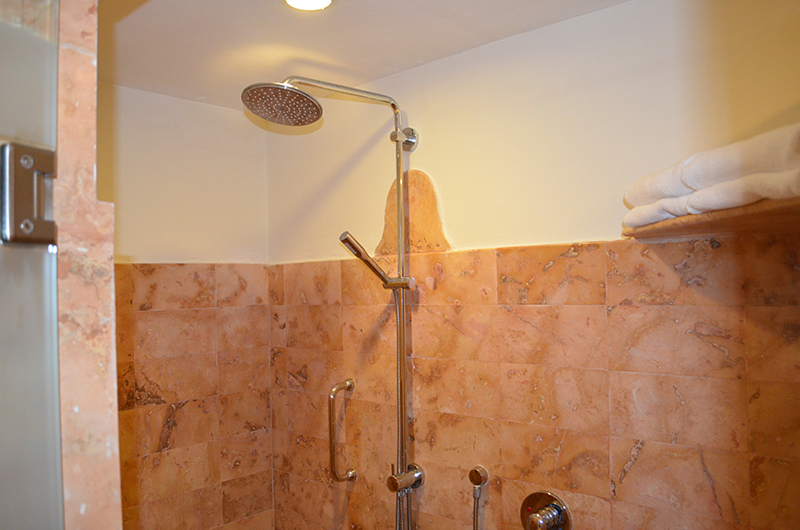 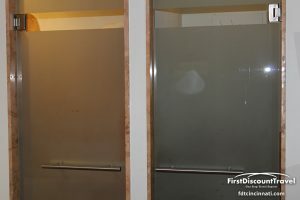 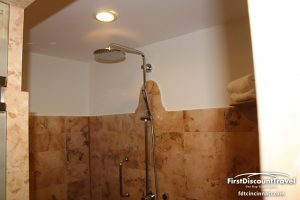 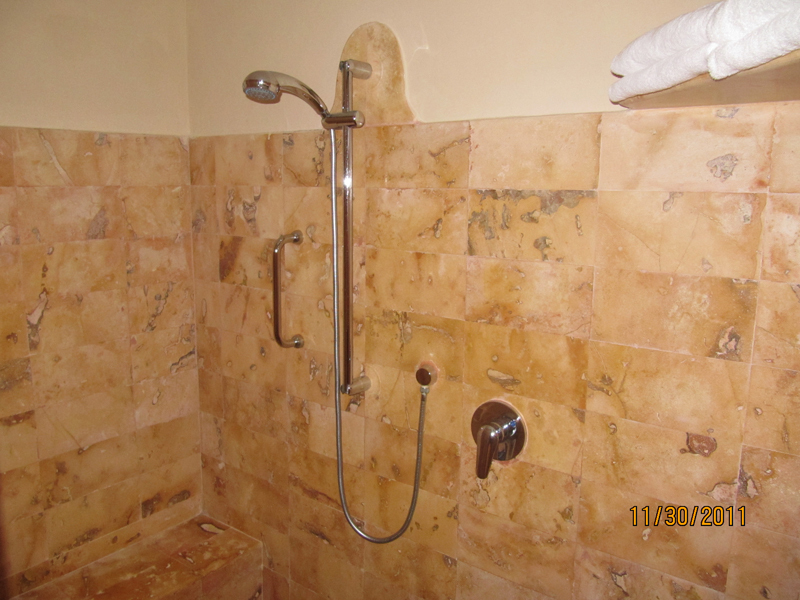 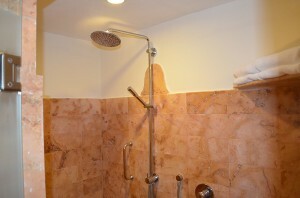 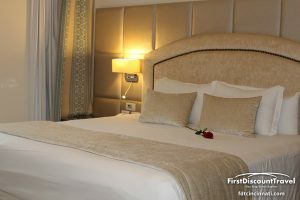 Overall the rooms are very nice and have all of the bells and whistles that honeymoon clients want. 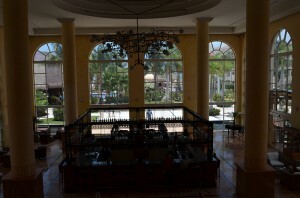 Overall I was very impressed by the resort. Other than the seaweed on the beach, the resort has very few flaws. The food and service was great, the liquor is top shelf, the pools are phenomenal, the accommodations are very nice, and the spa is world class! 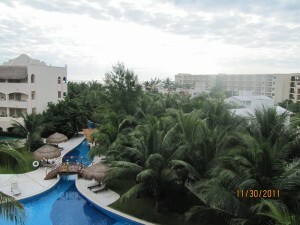 The Entertainment and the Roof Top Terrace Suites are unique amenities that separate Excellence from the many similar resorts in the area.